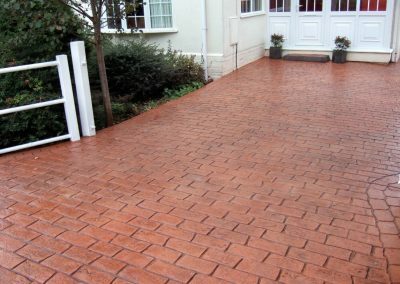 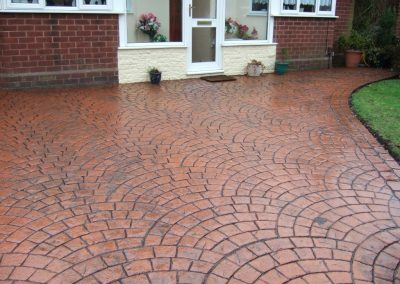 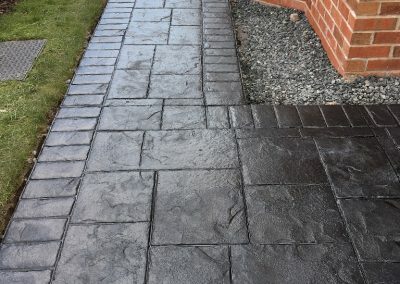 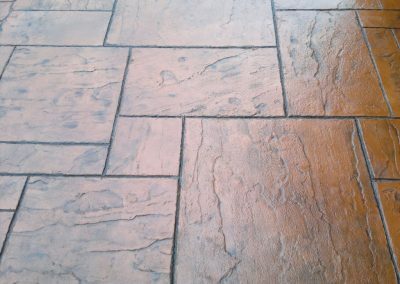 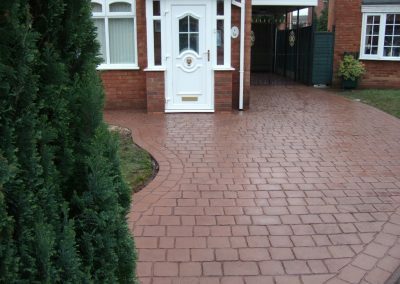 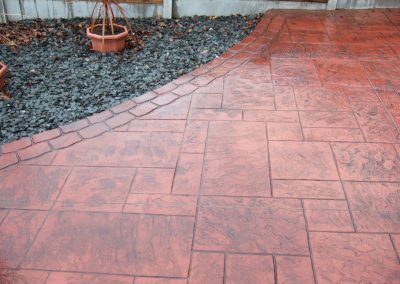 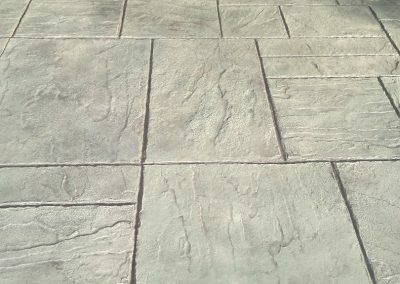 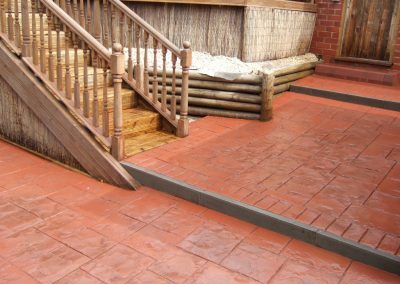 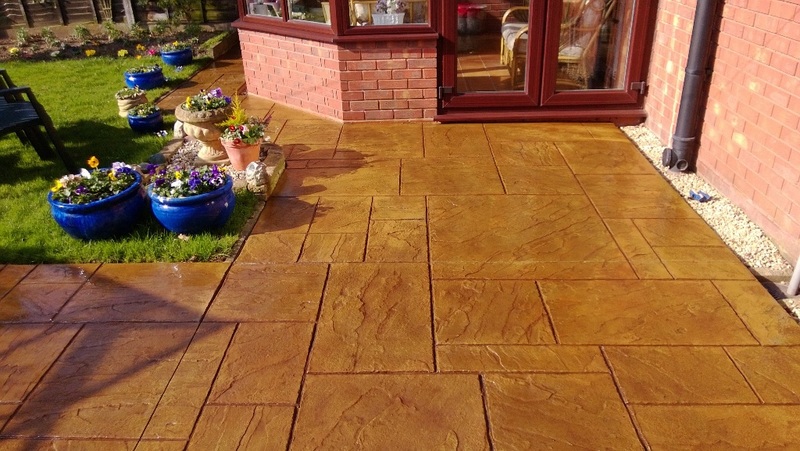 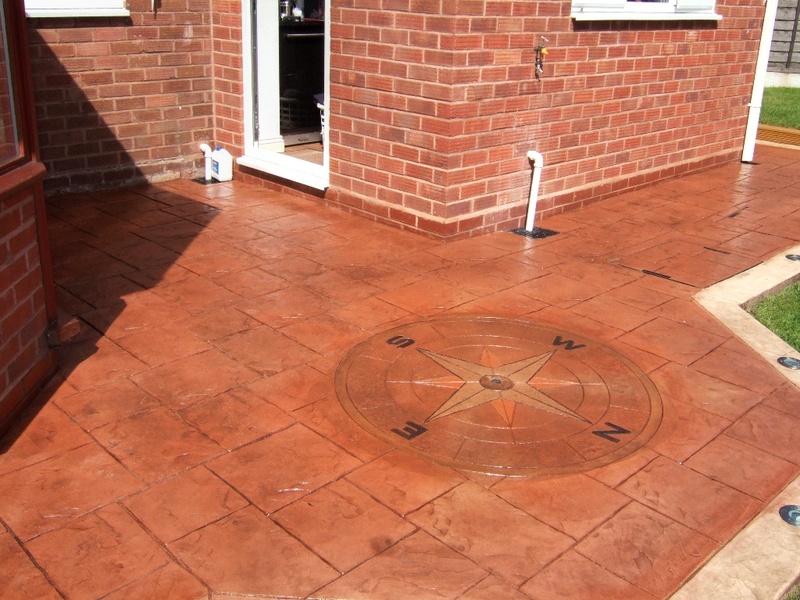 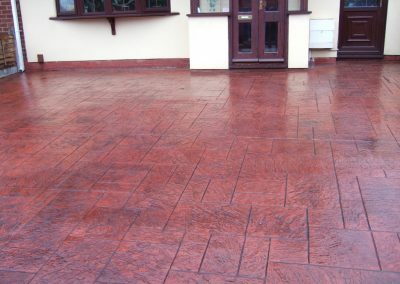 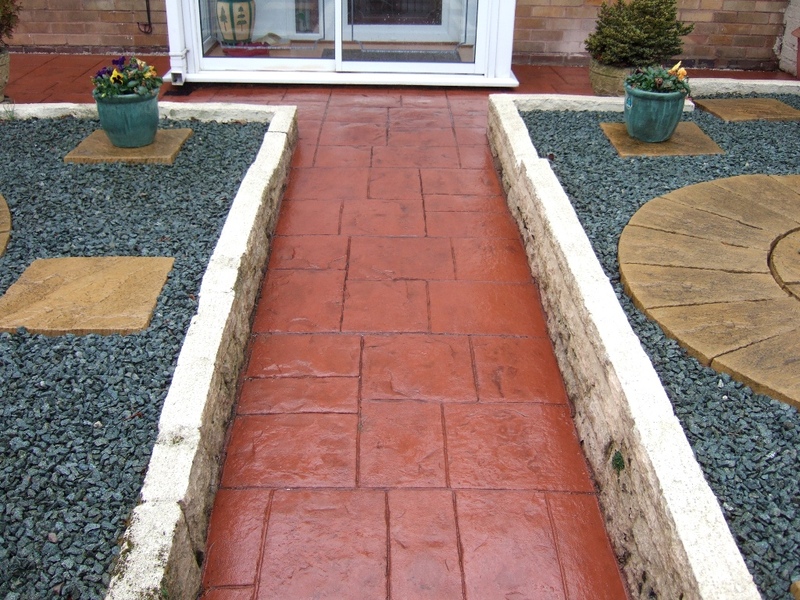 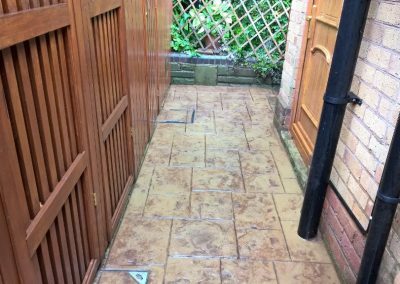 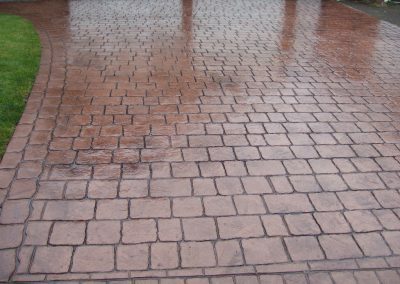 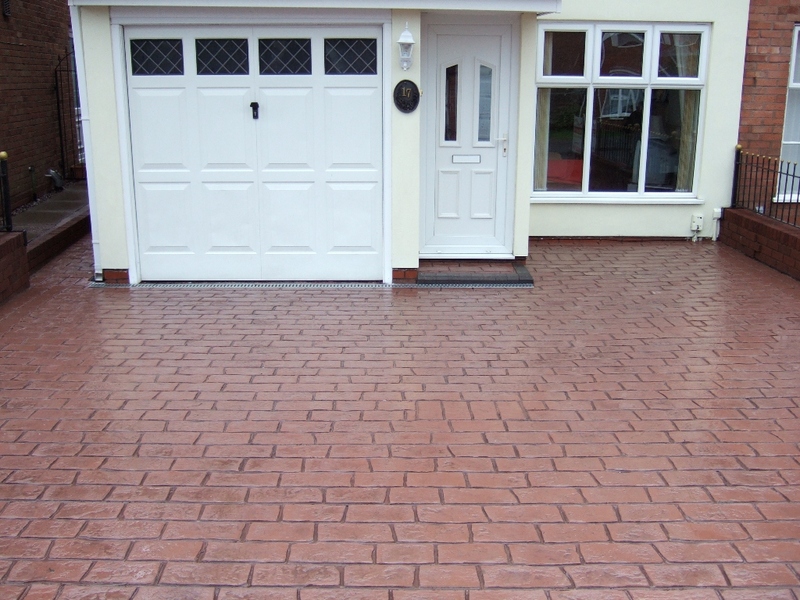 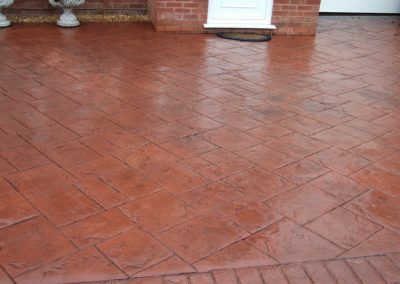 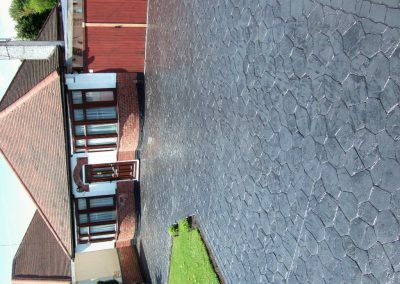 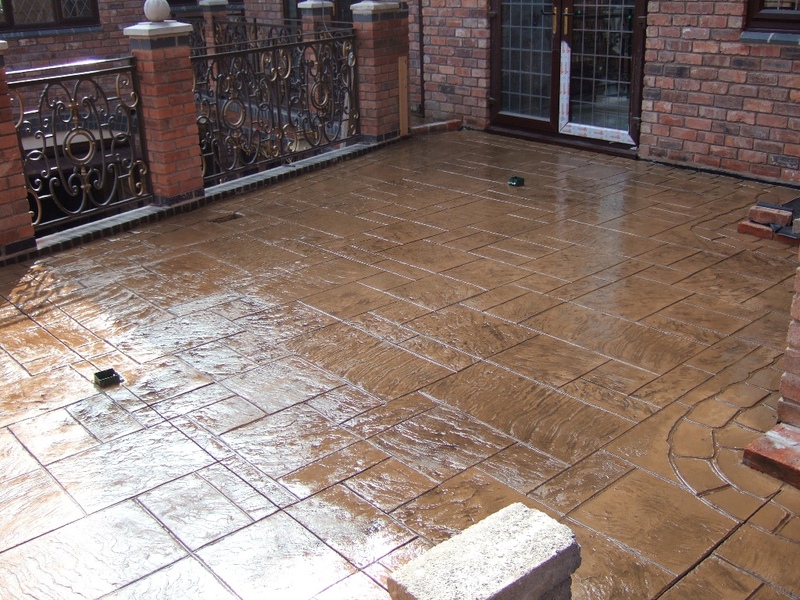 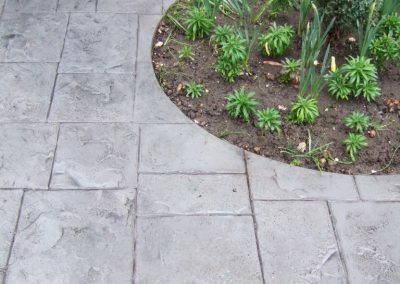 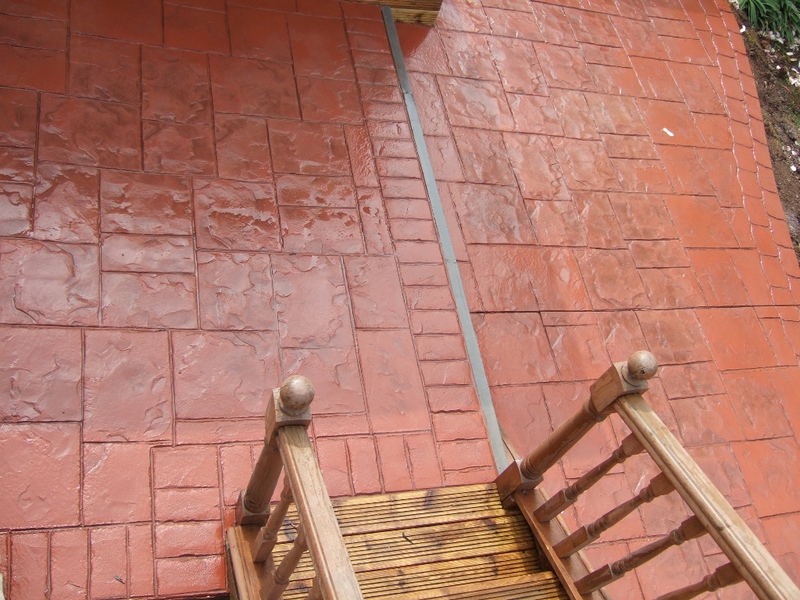 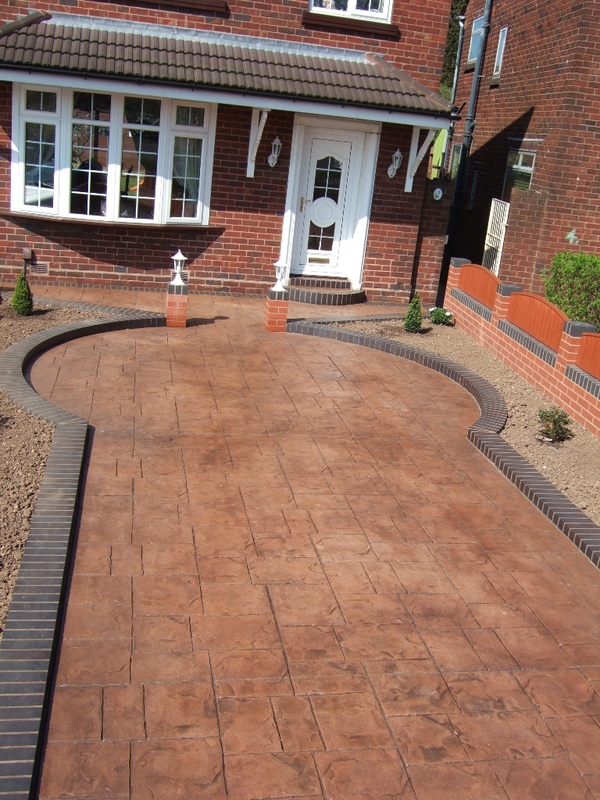 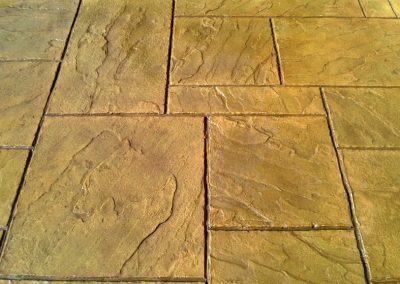 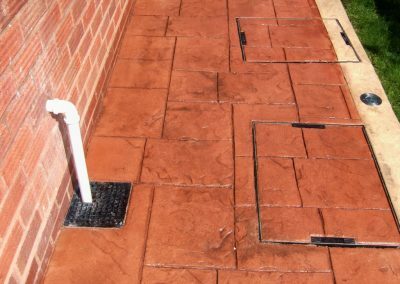 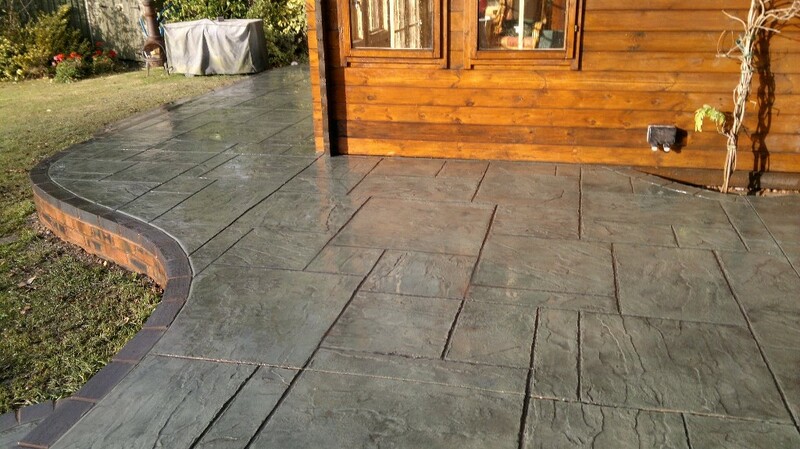 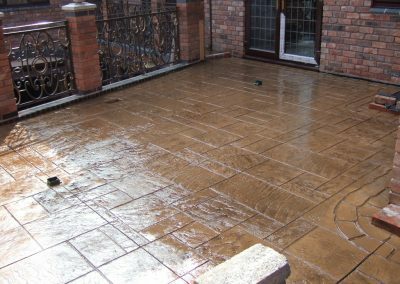 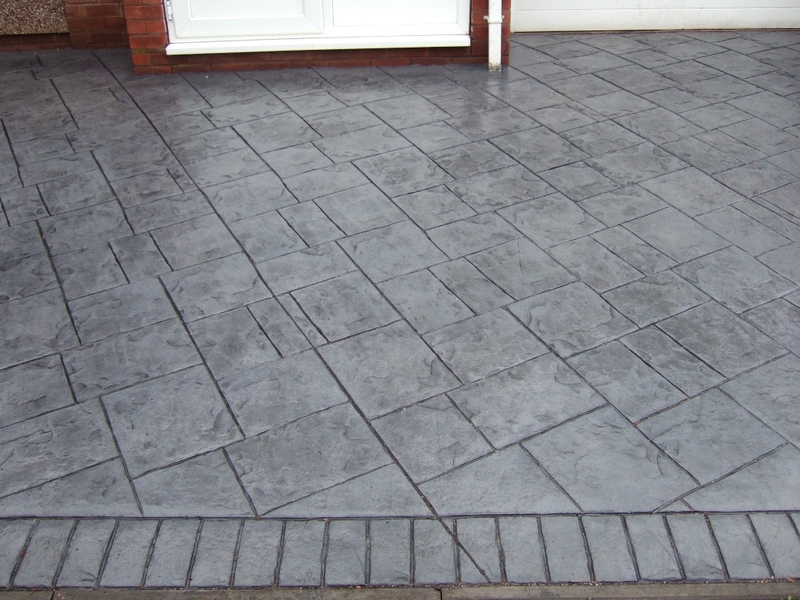 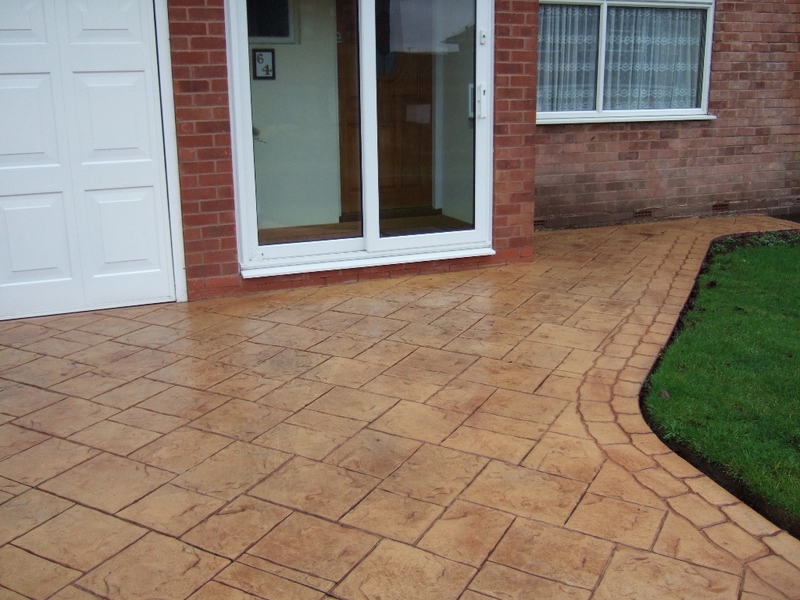 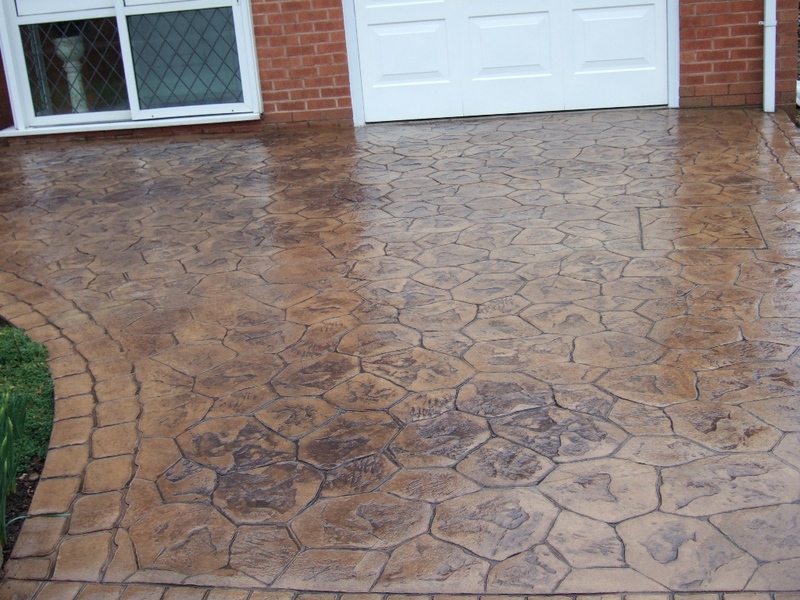 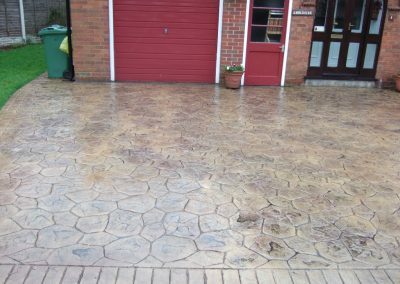 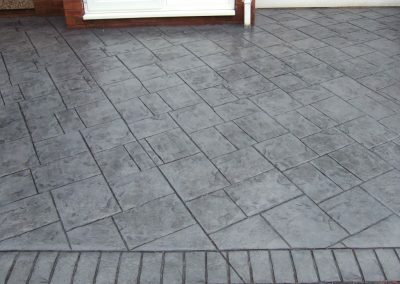 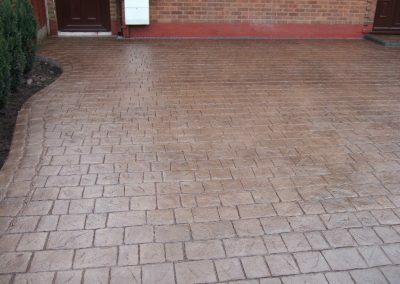 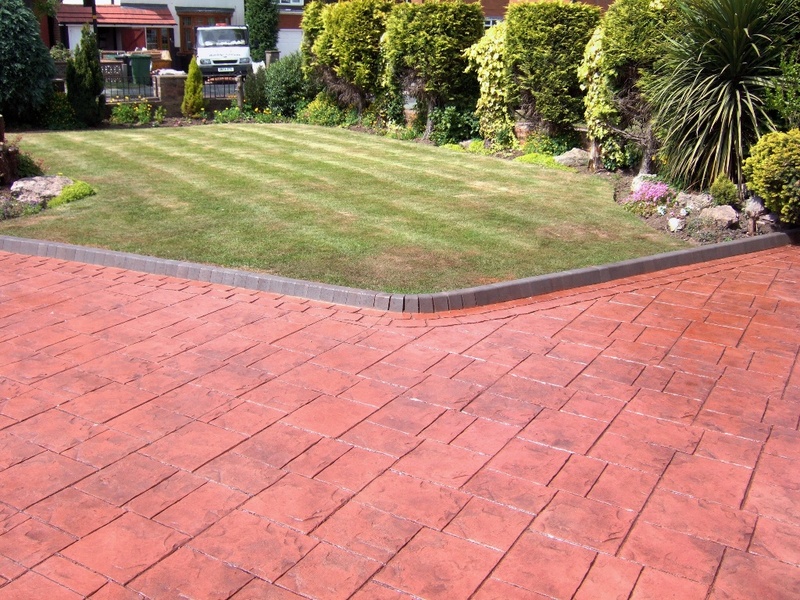 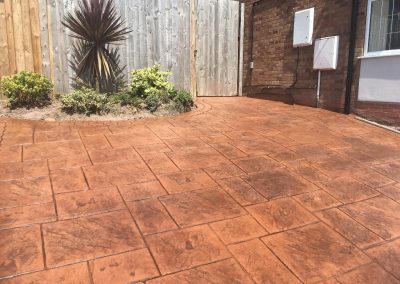 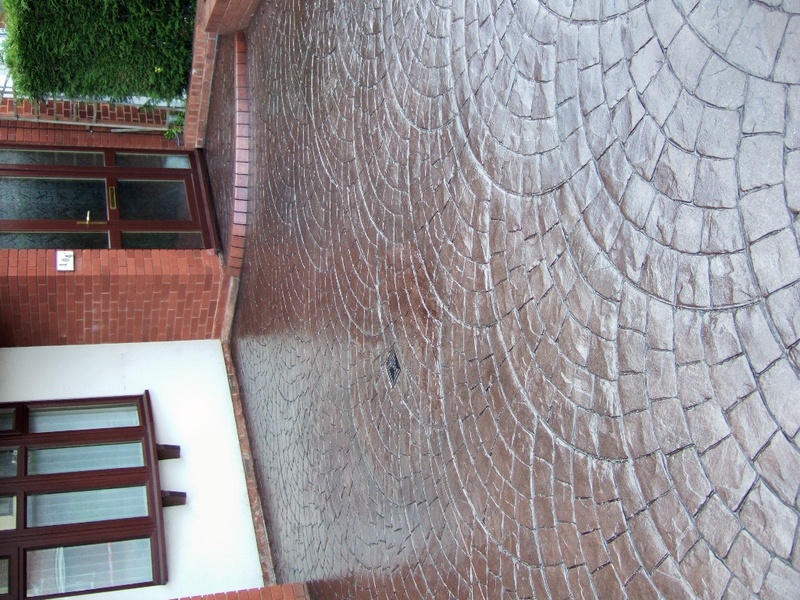 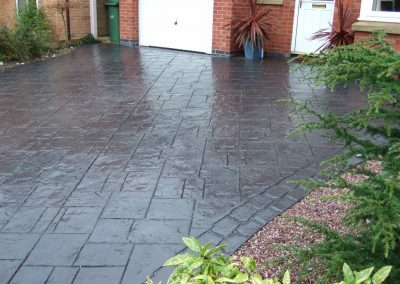 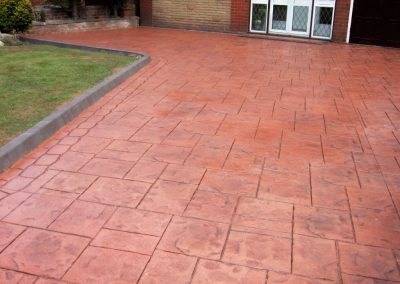 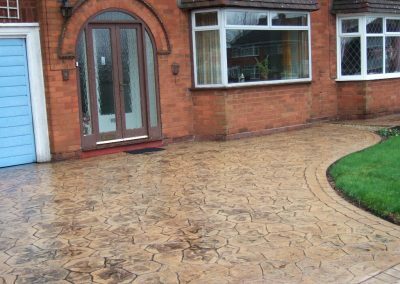 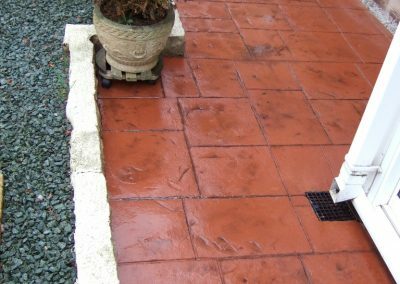 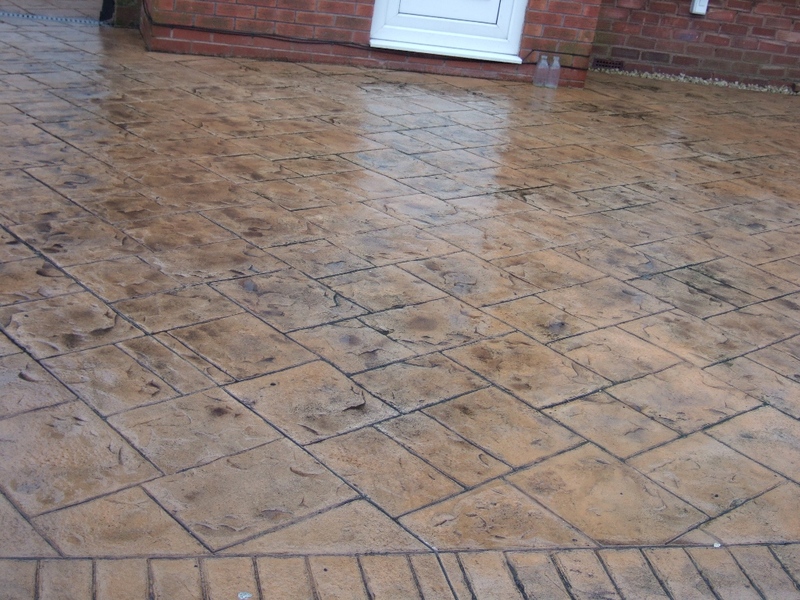 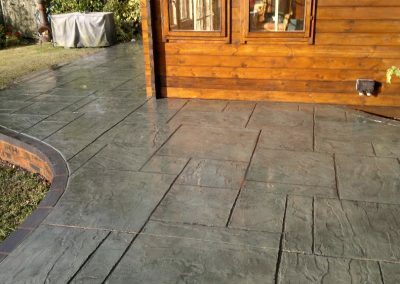 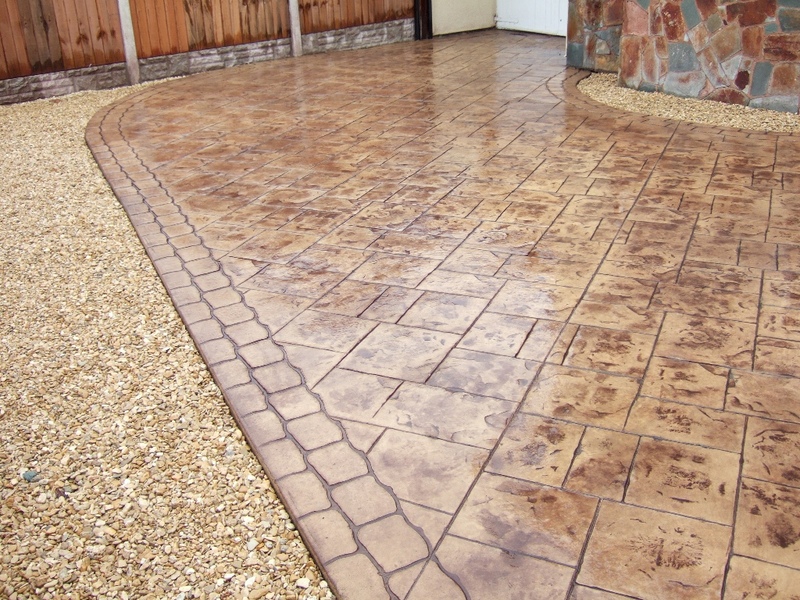 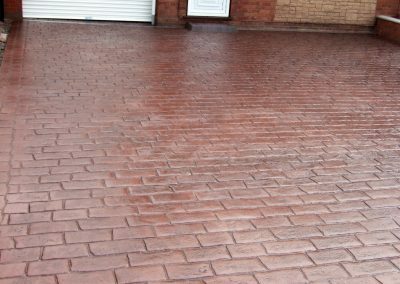 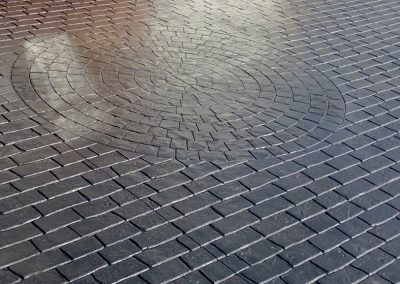 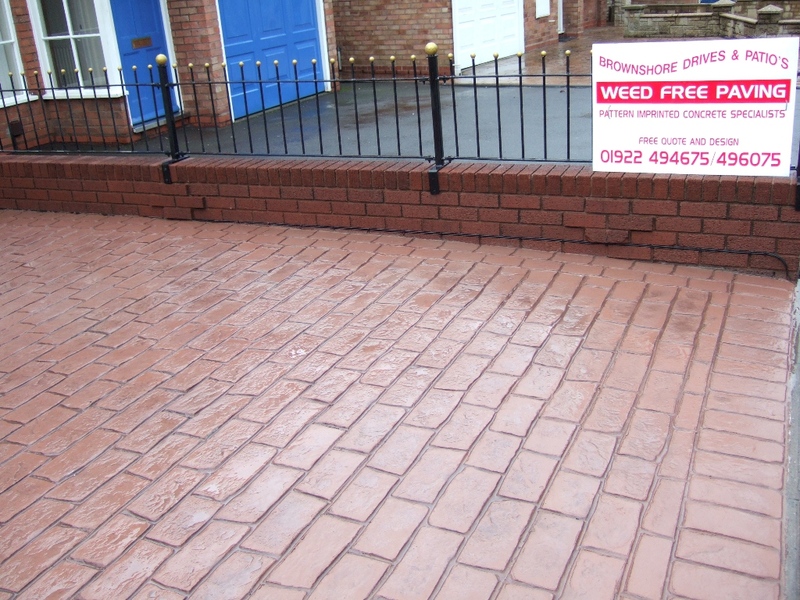 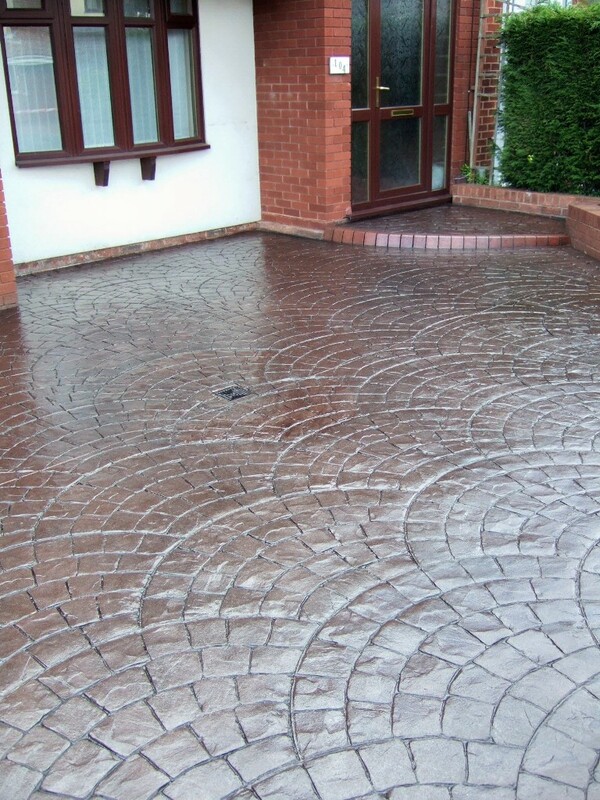 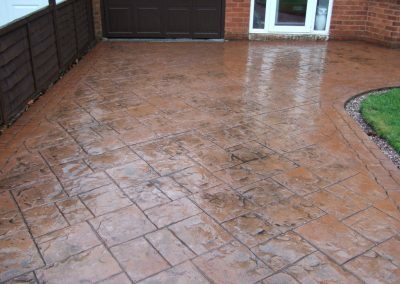 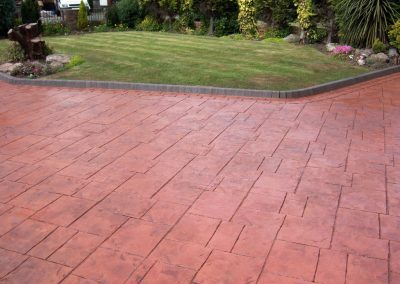 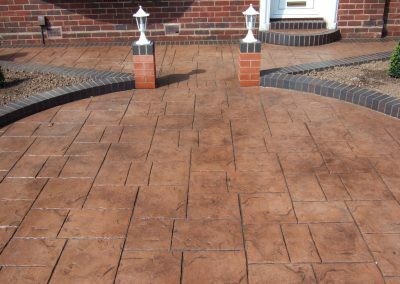 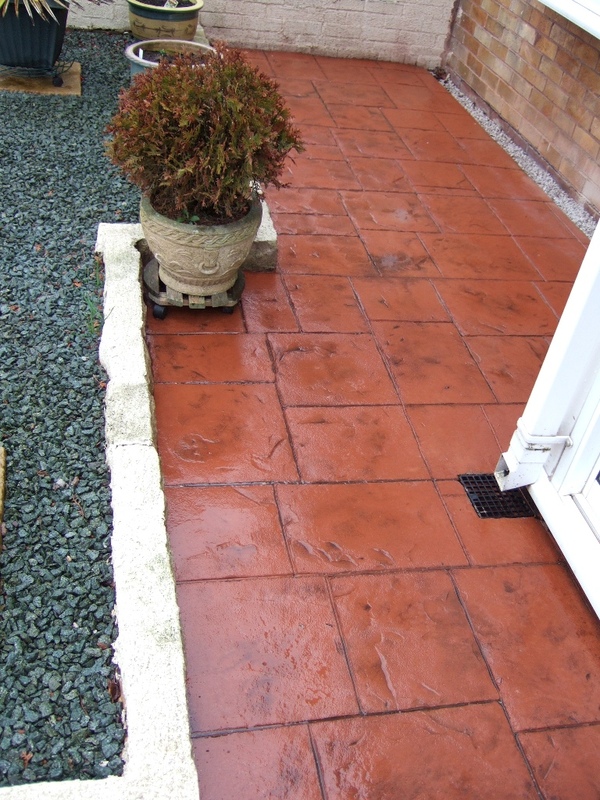 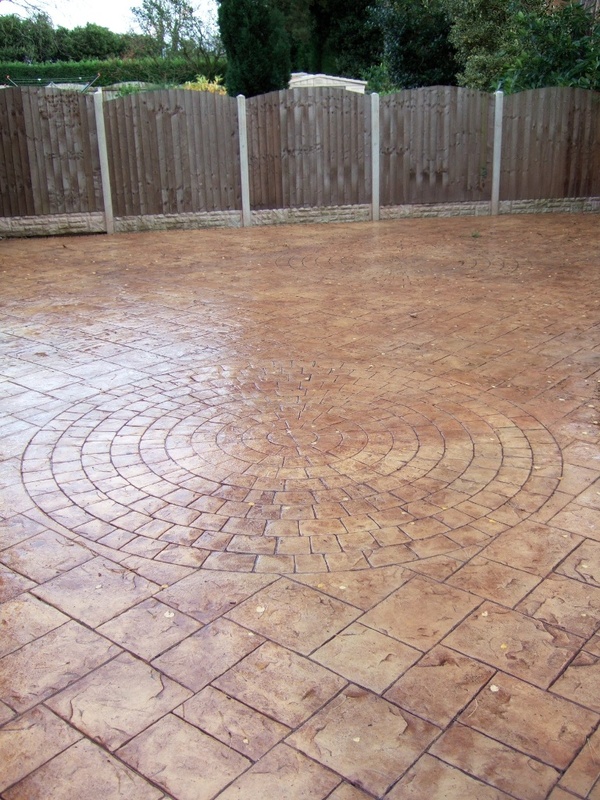 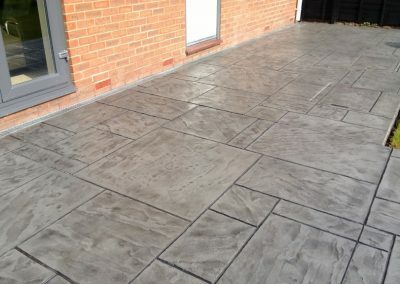 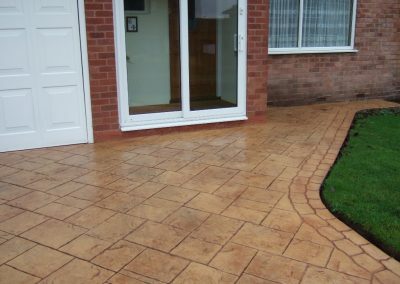 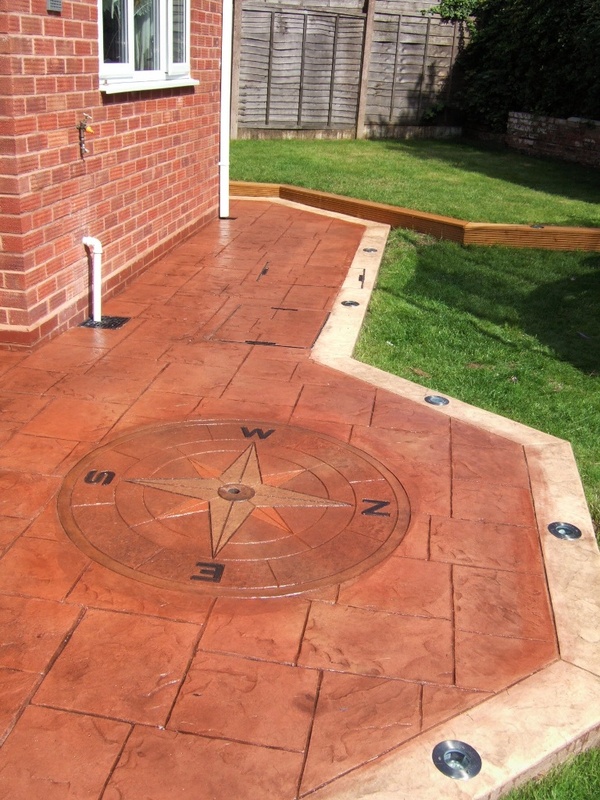 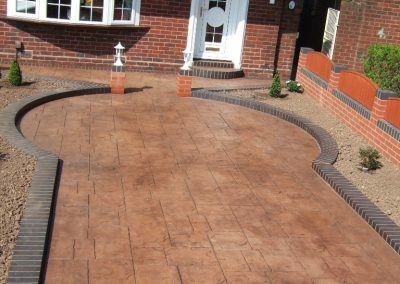 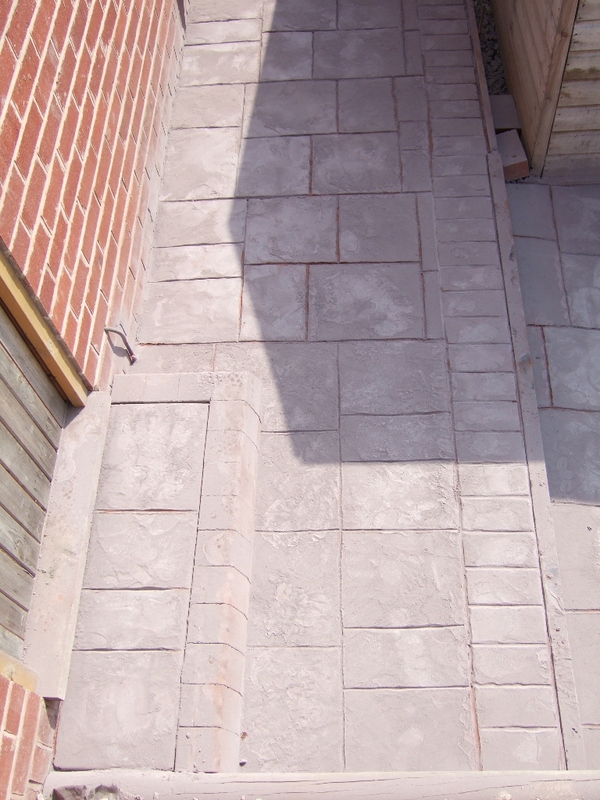 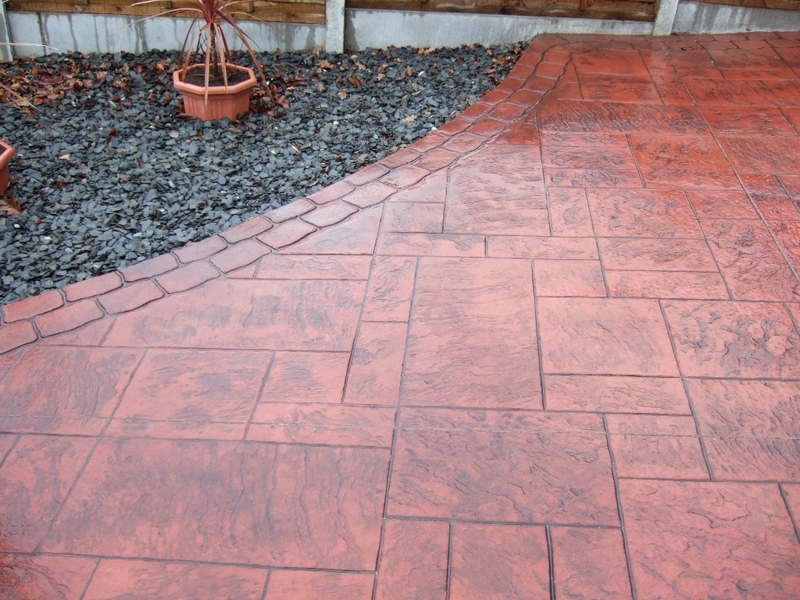 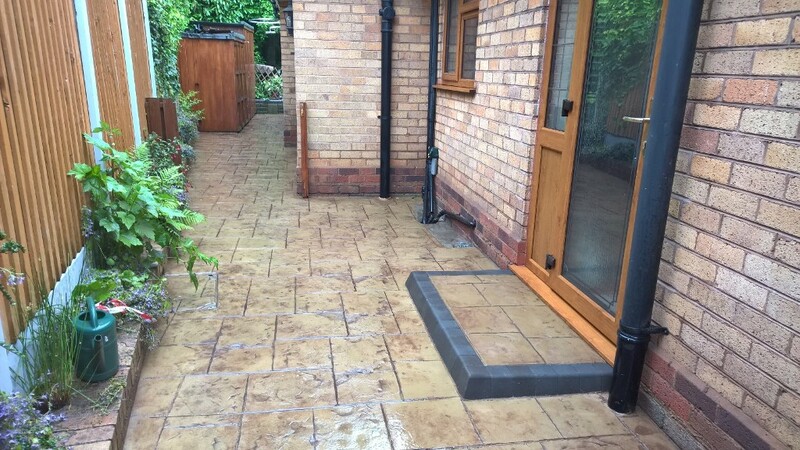 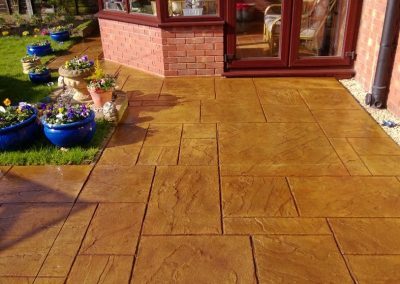 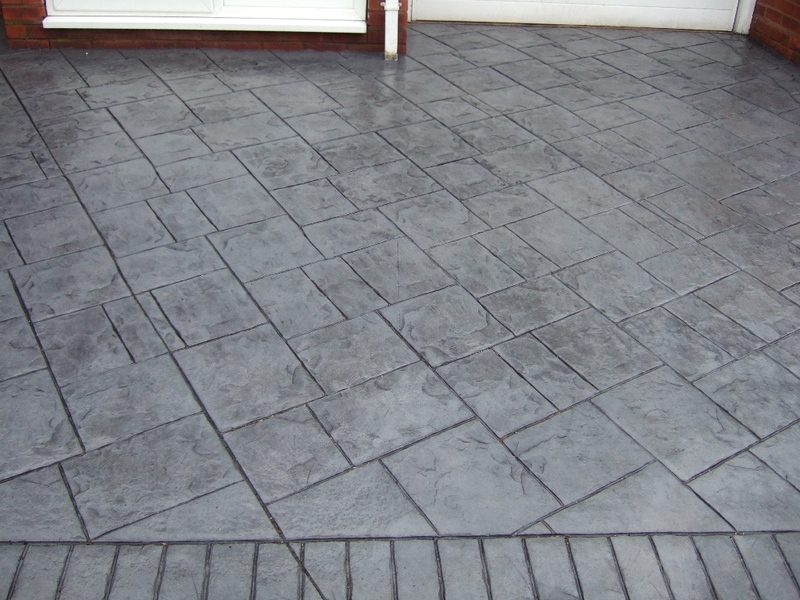 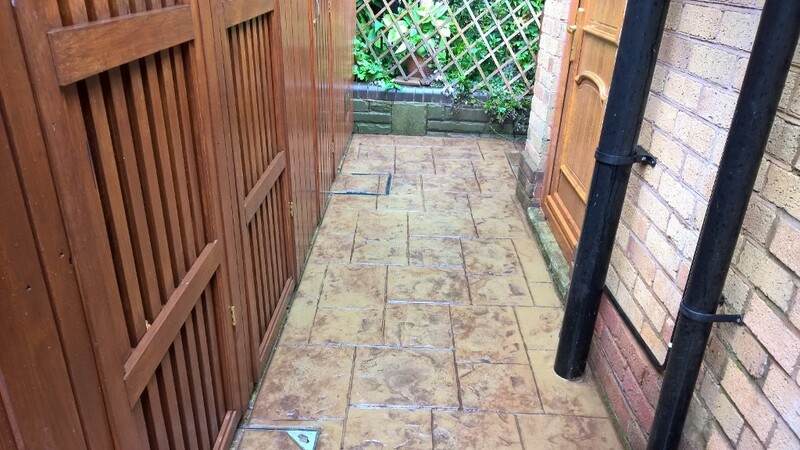 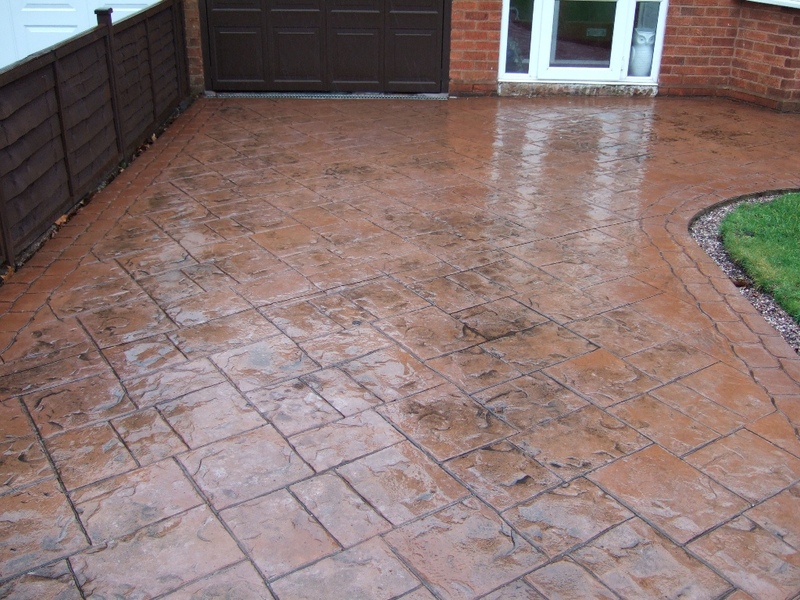 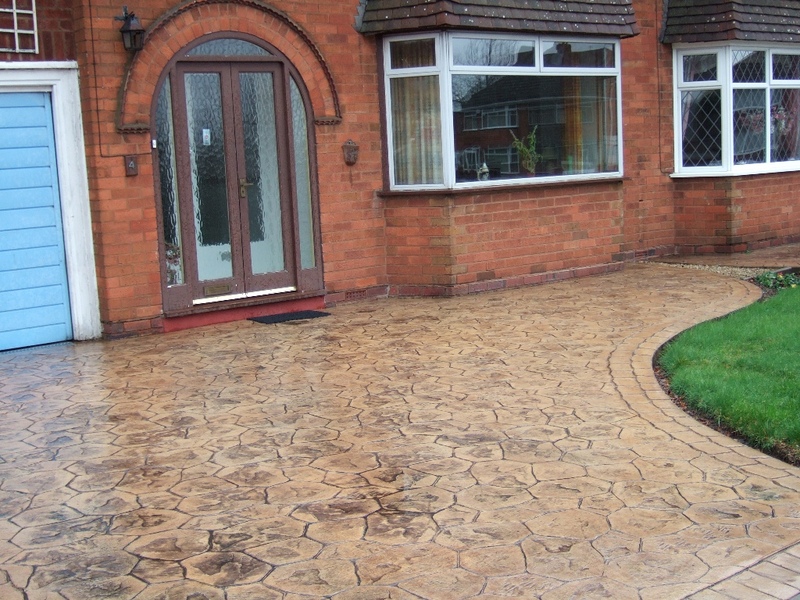 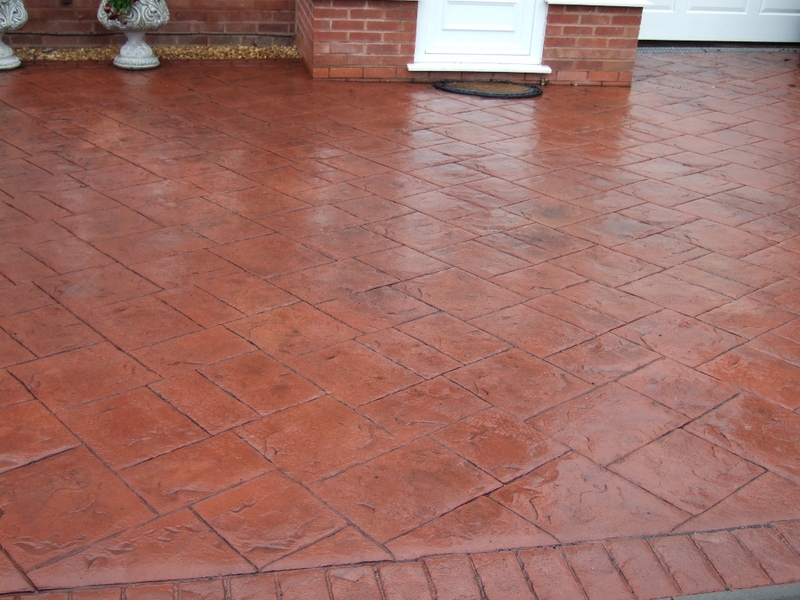 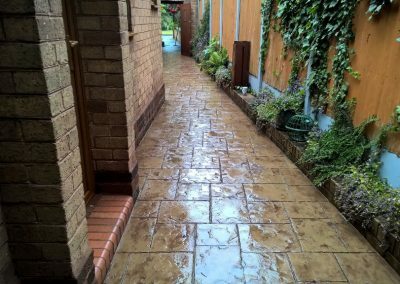 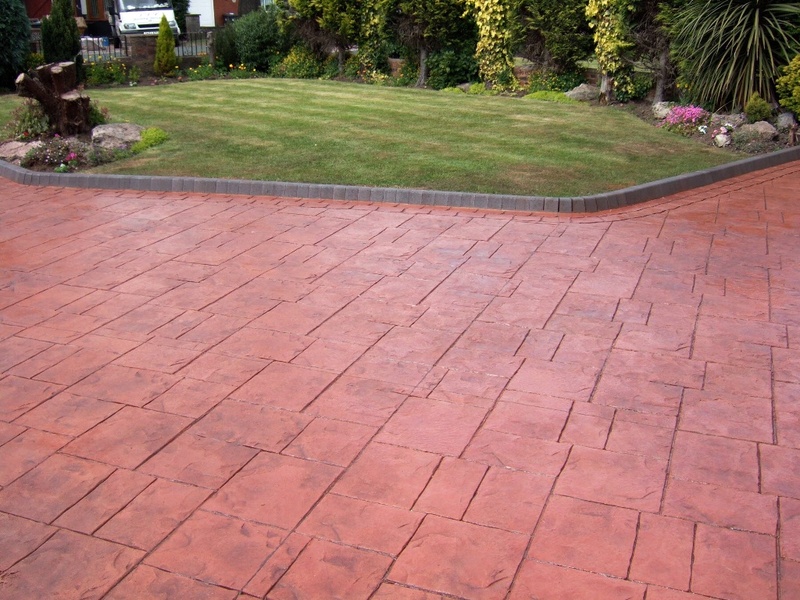 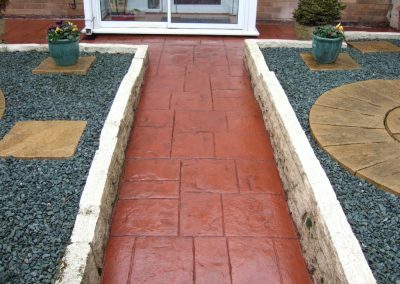 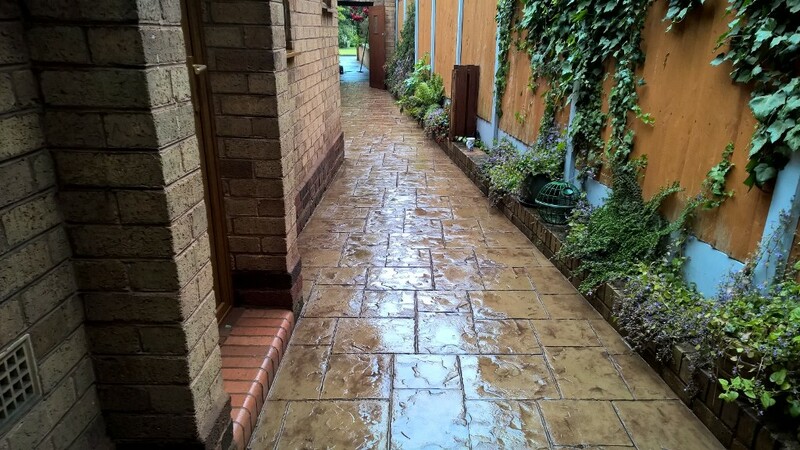 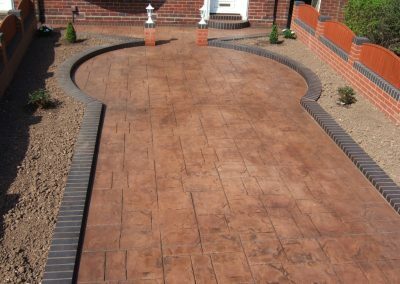 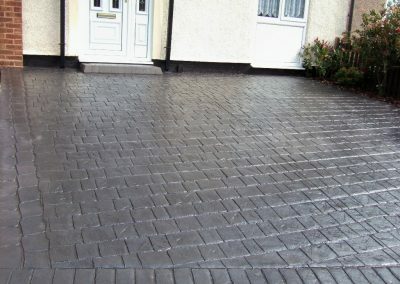 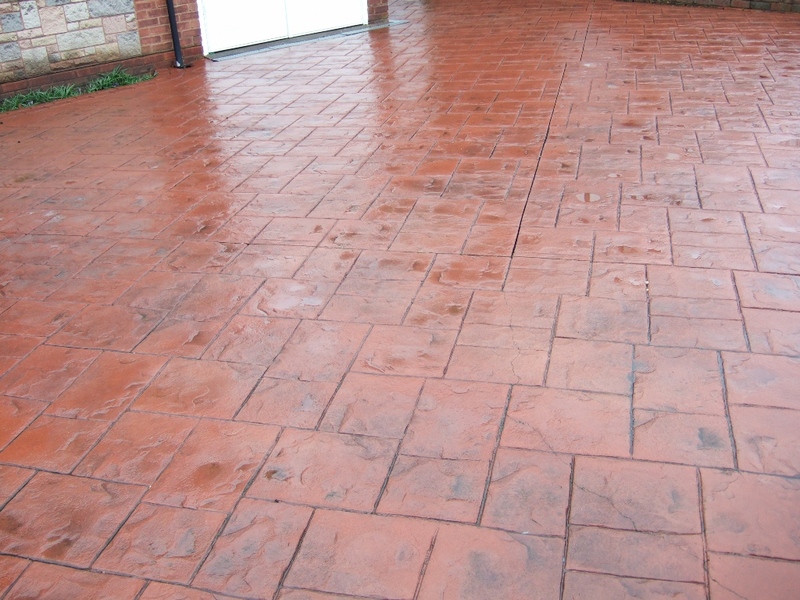 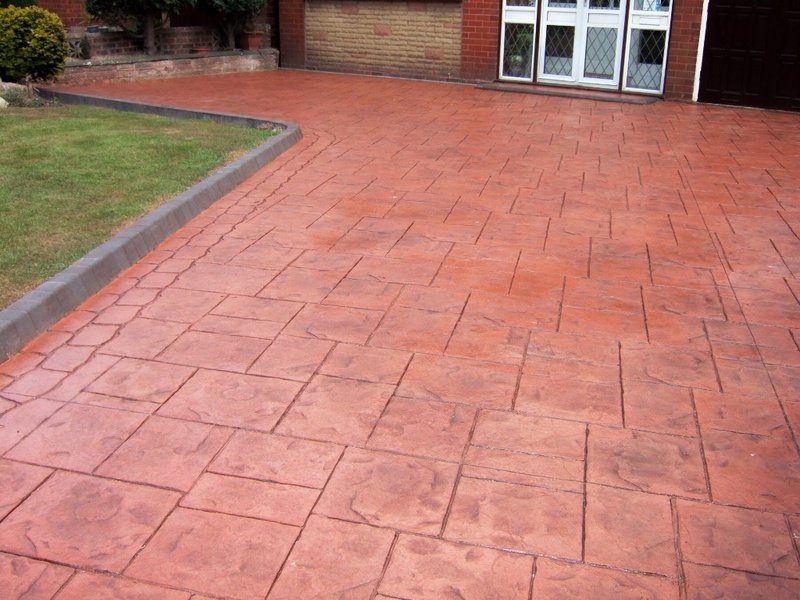 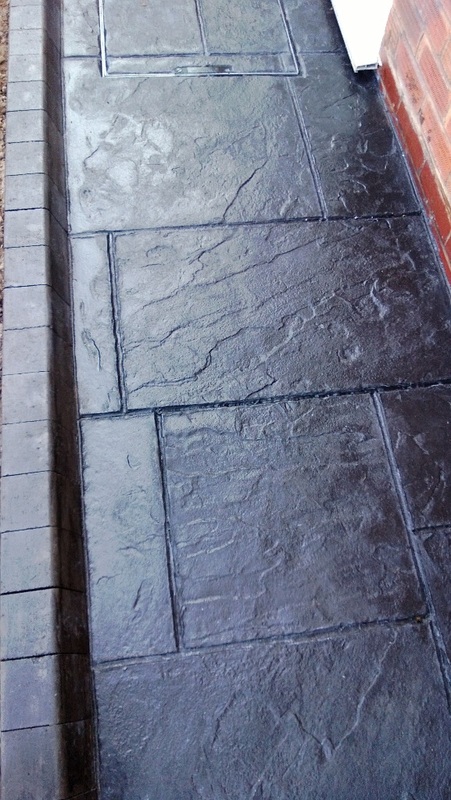 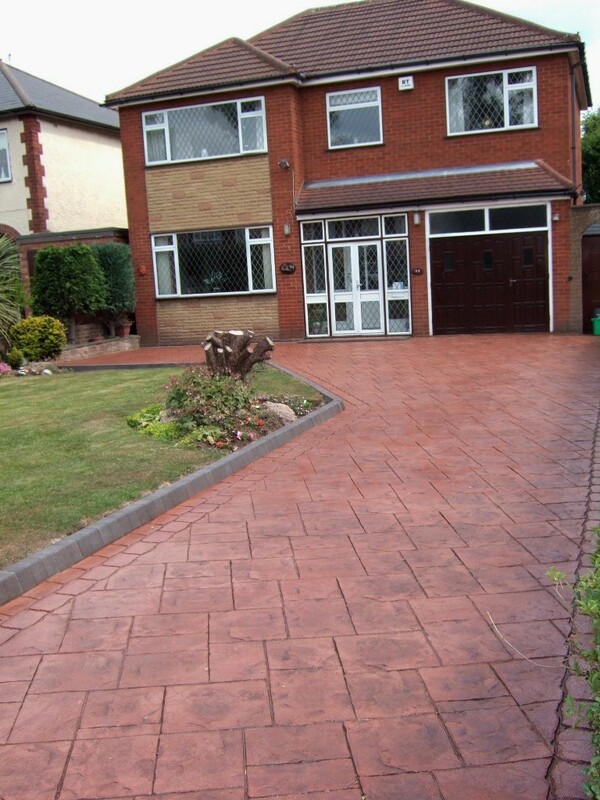 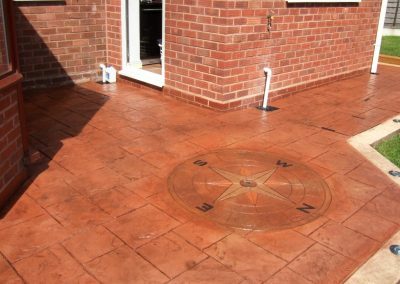 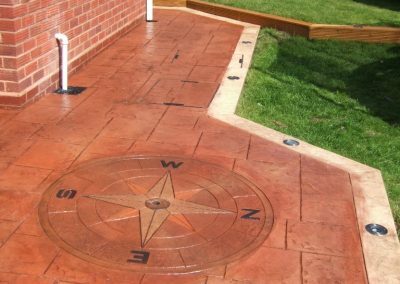 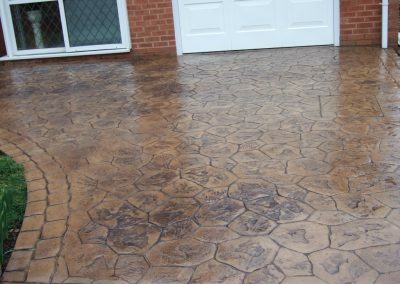 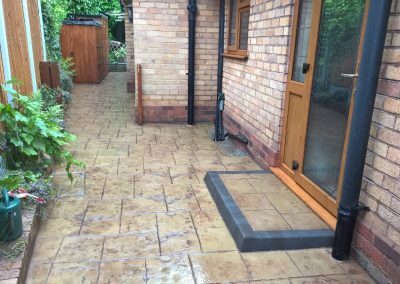 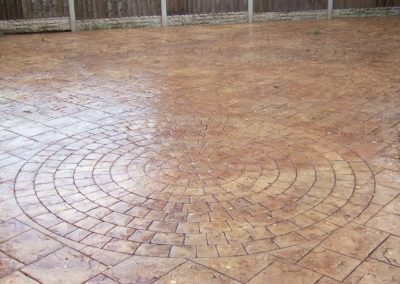 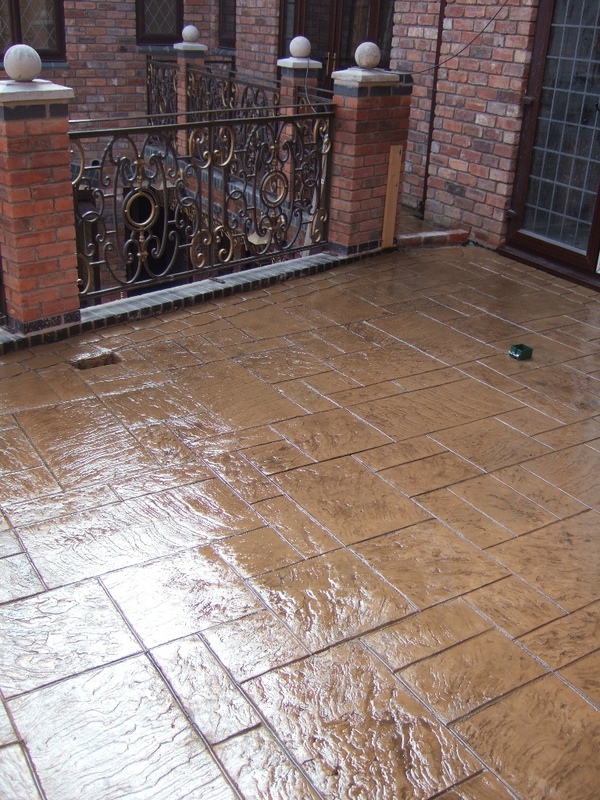 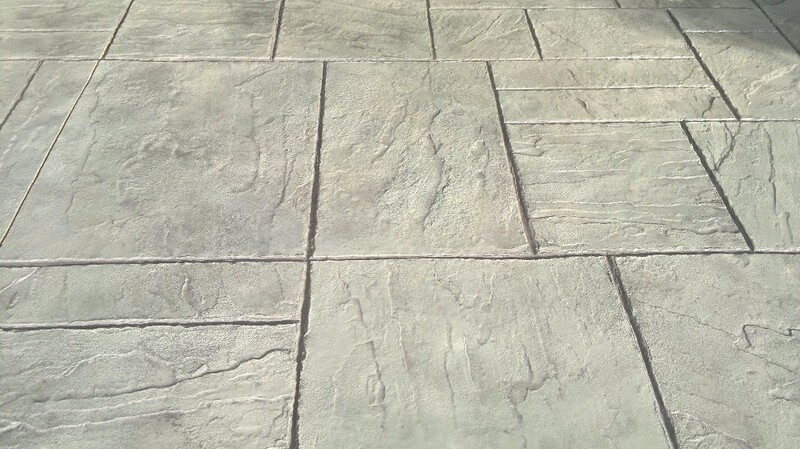 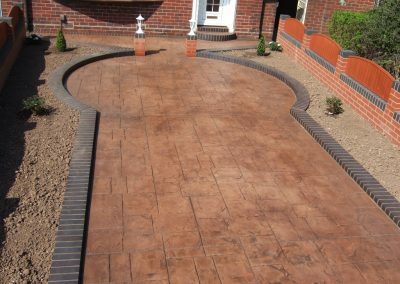 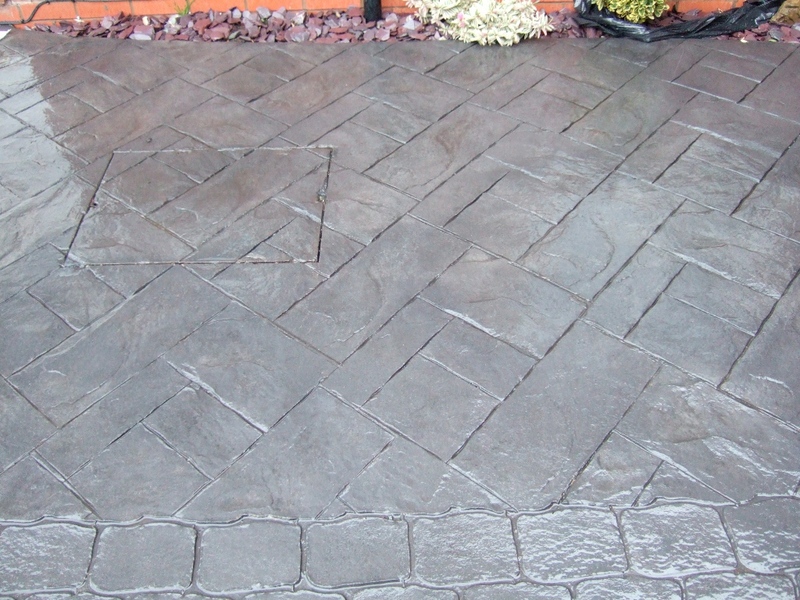 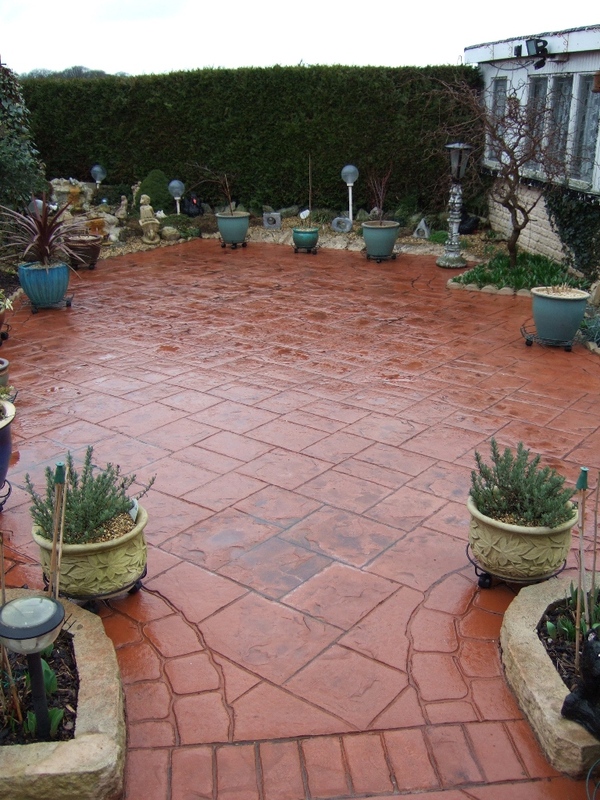 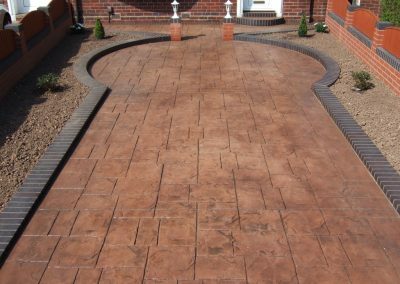 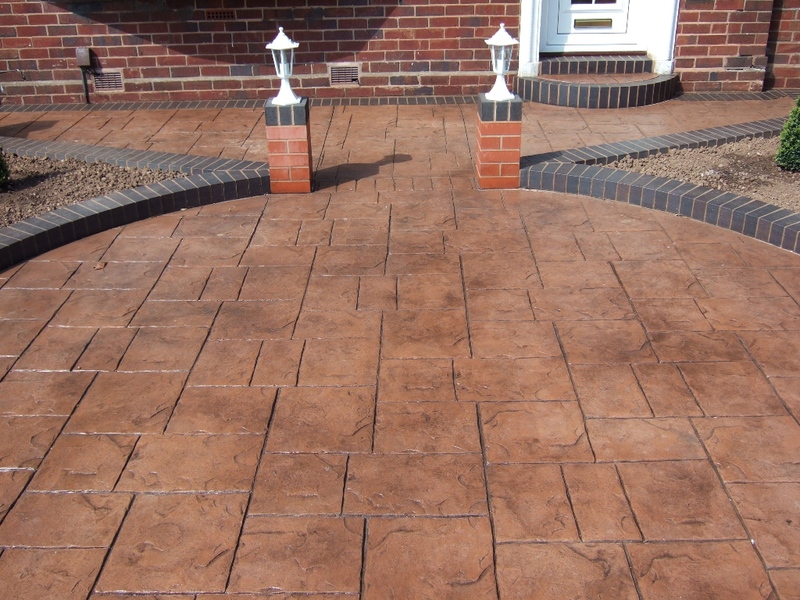 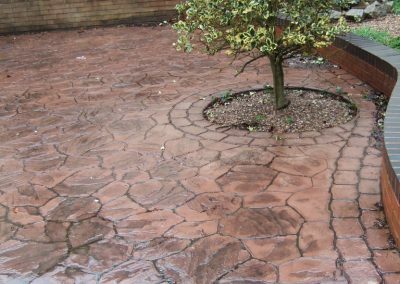 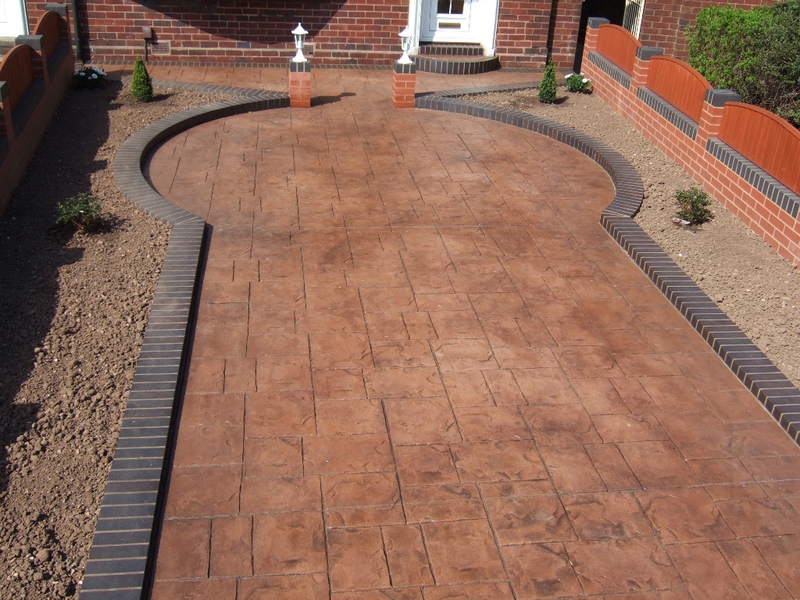 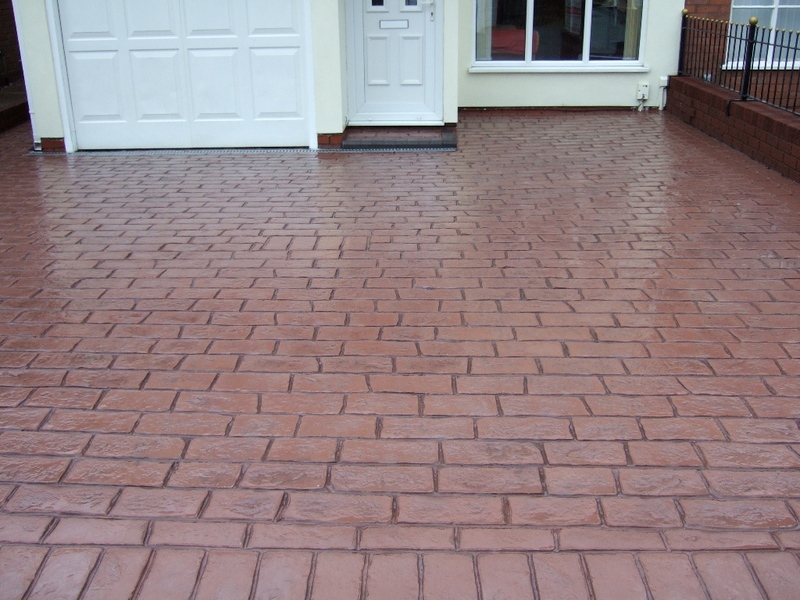 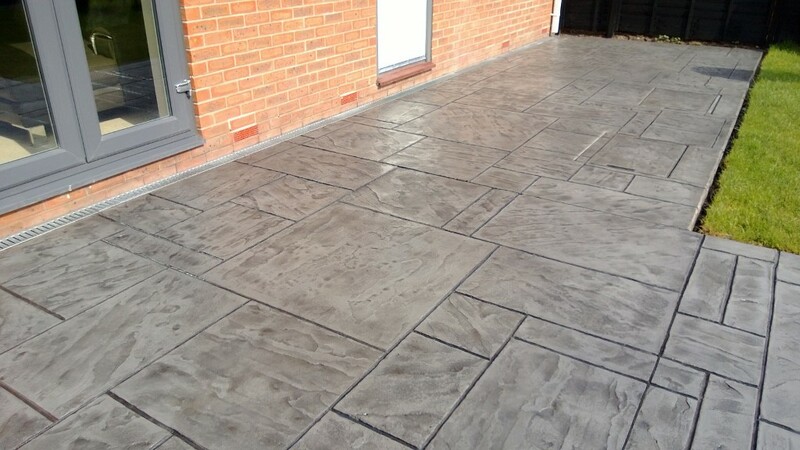 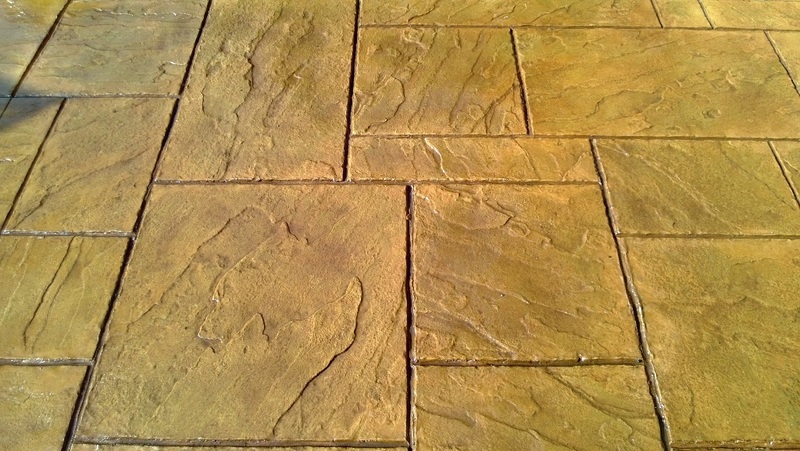 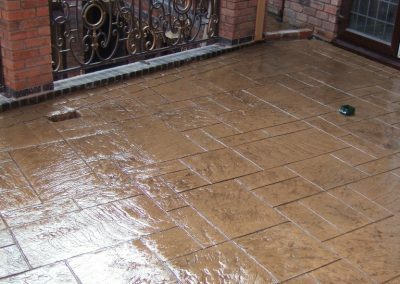 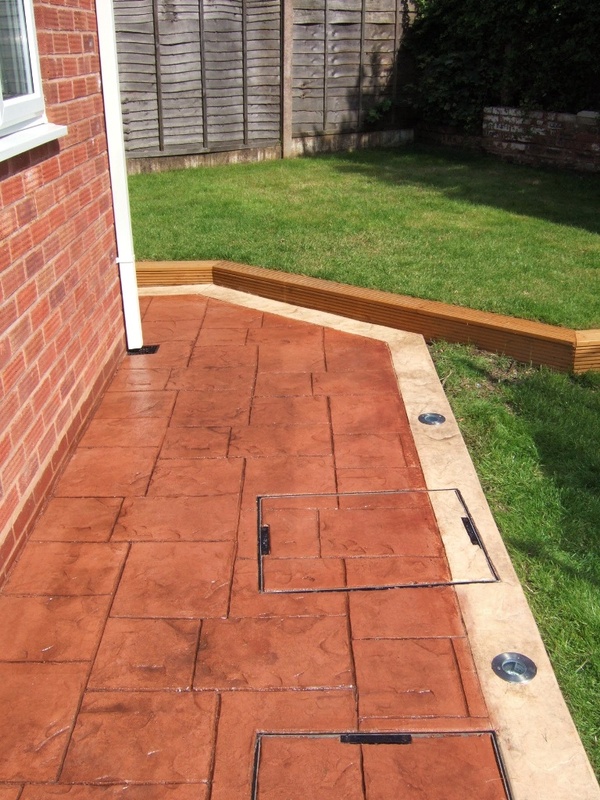 Brownshore Drives are a Wolverhampton based paving company, serving Walsall, Cannock and Birmingham and can help you create the ultimate first impression, a driveway that is weed free, maintenance free and constructed in a huge range of styles, designs and colours using pattern imprinted concrete. 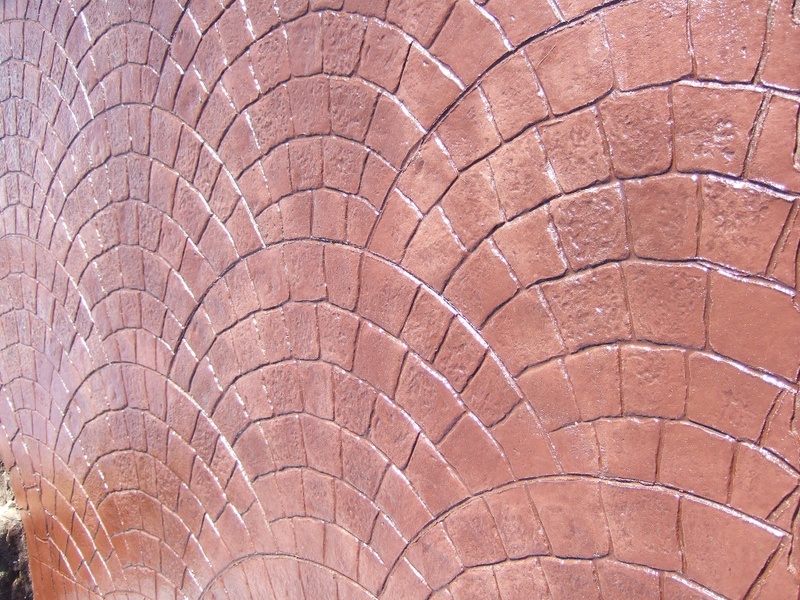 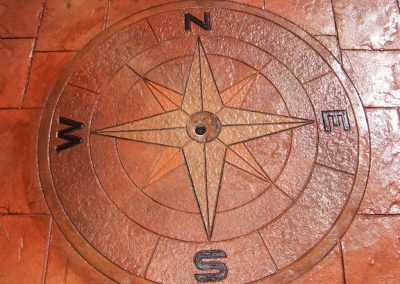 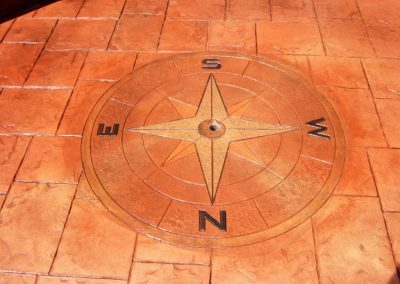 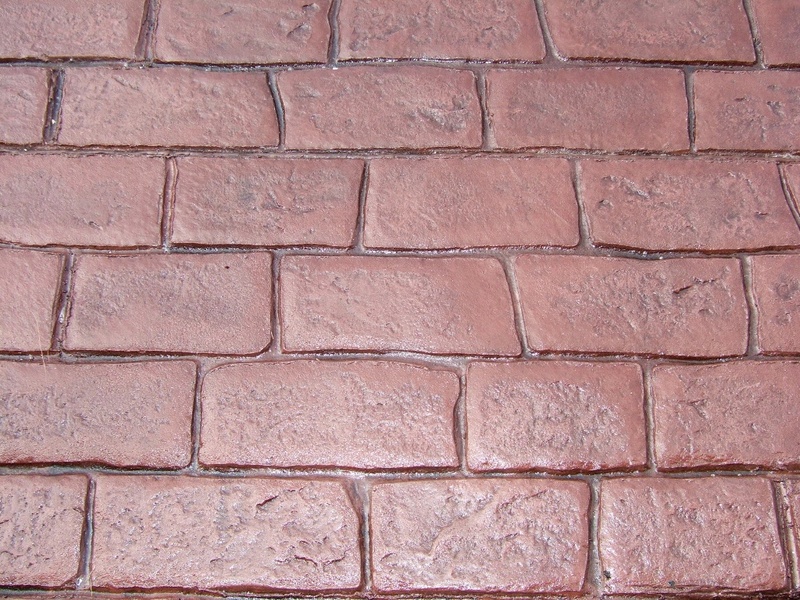 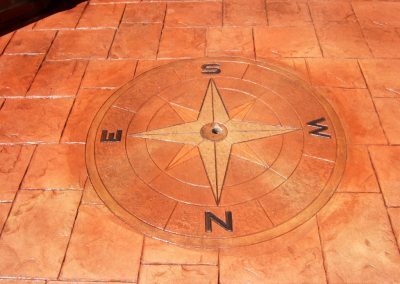 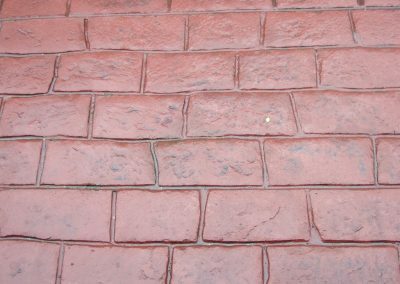 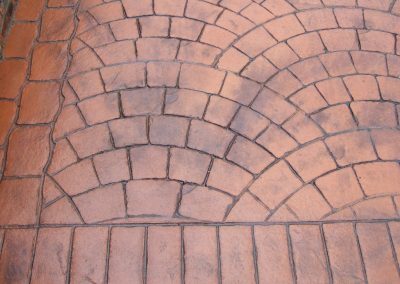 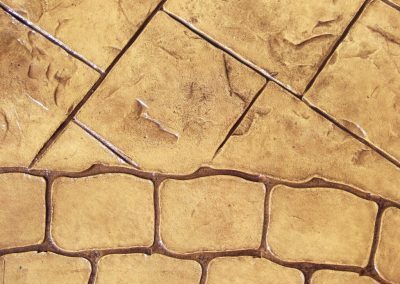 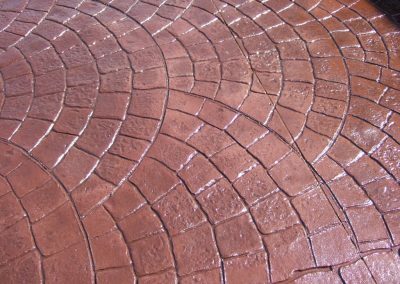 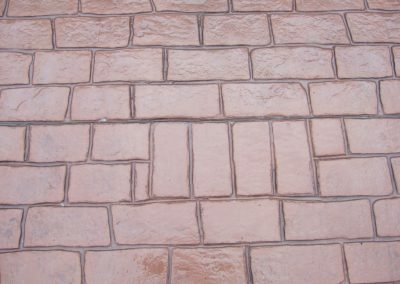 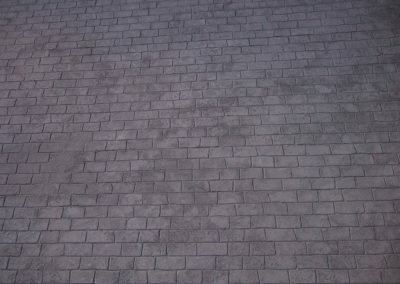 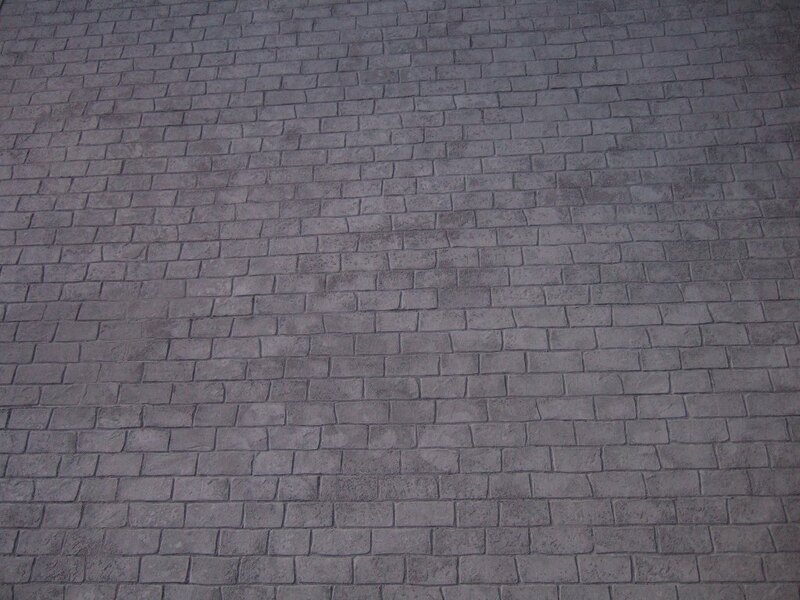 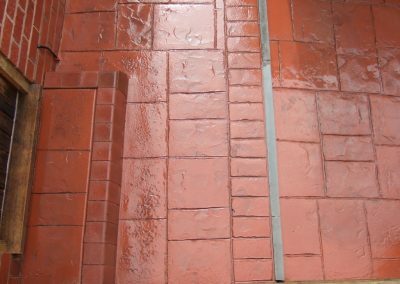 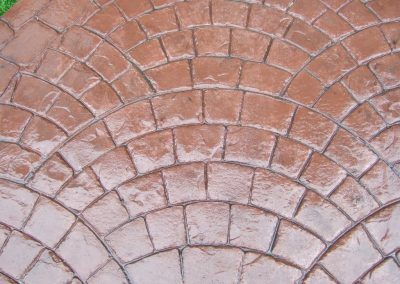 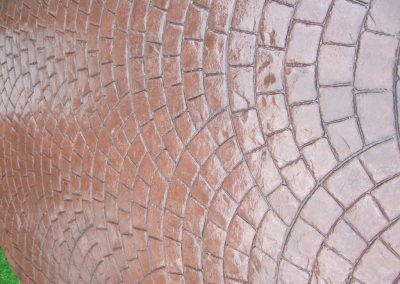 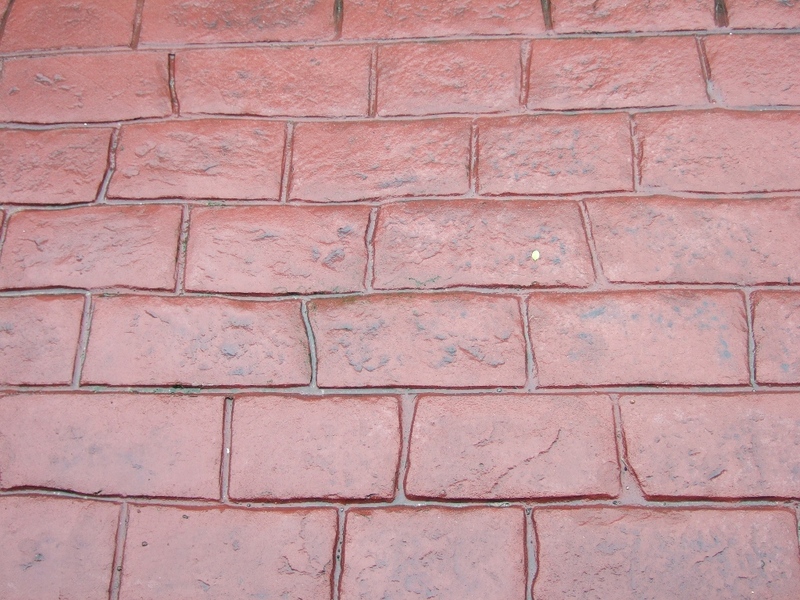 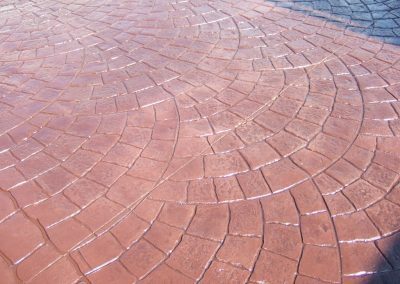 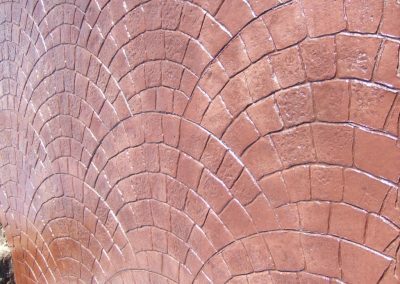 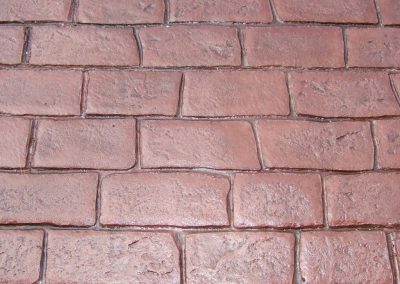 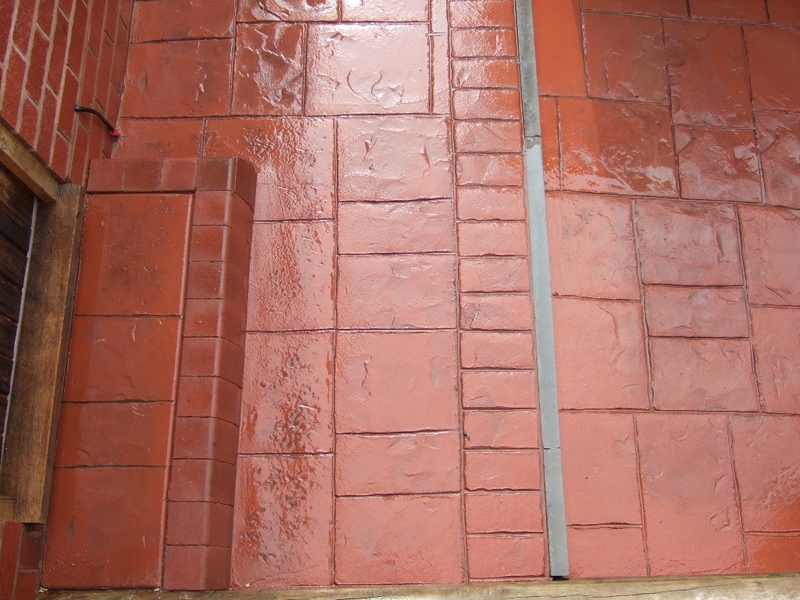 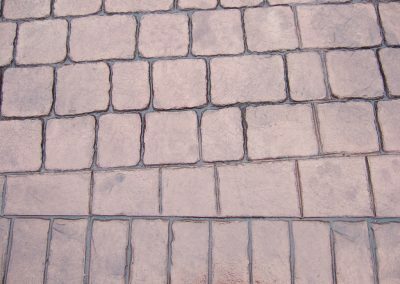 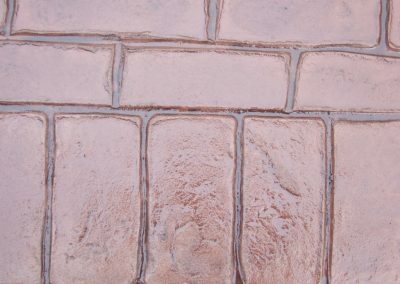 Our 3-Dimensional textures create the appearance of natural materials such as brick, cobblestone, slate, stone, tile and wood in an array of styles, designs and colours. 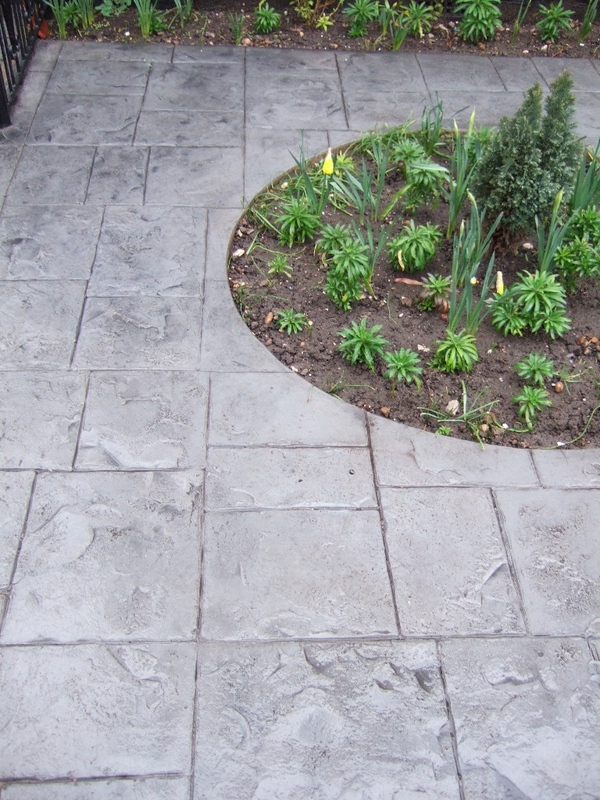 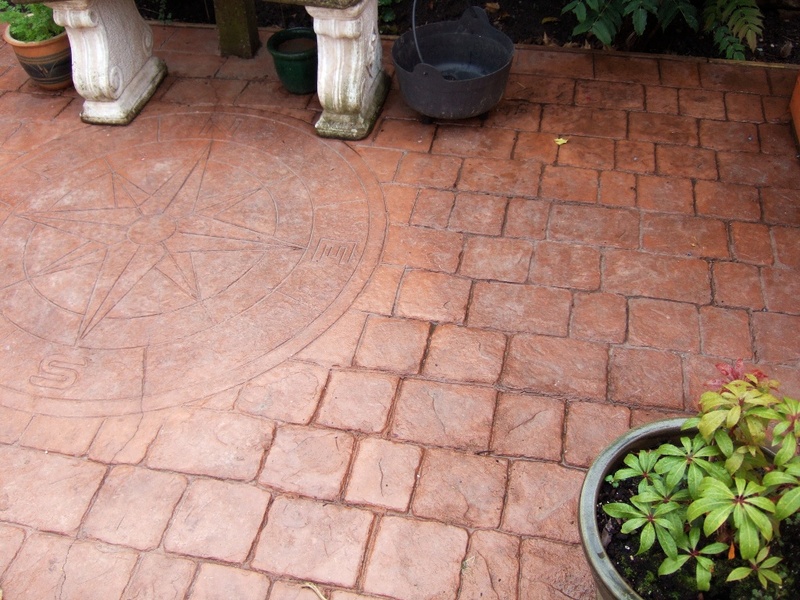 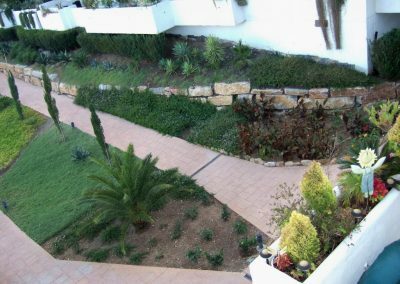 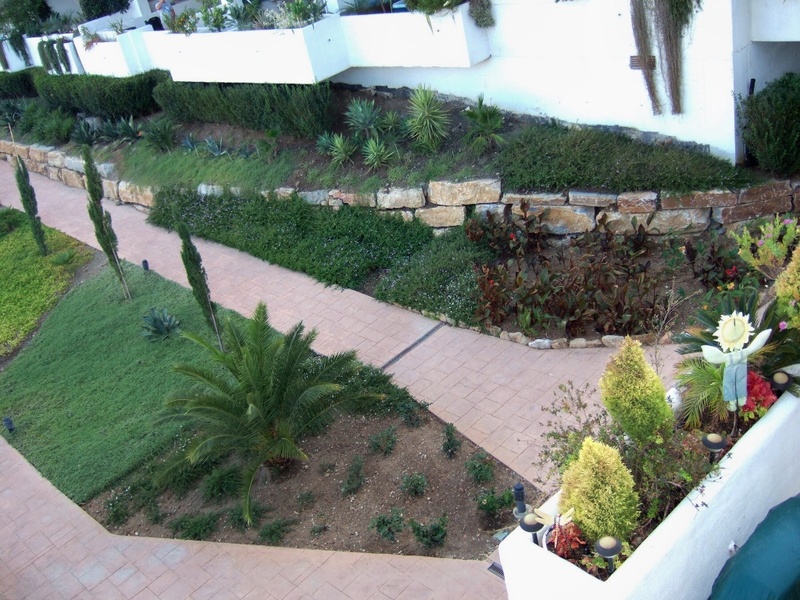 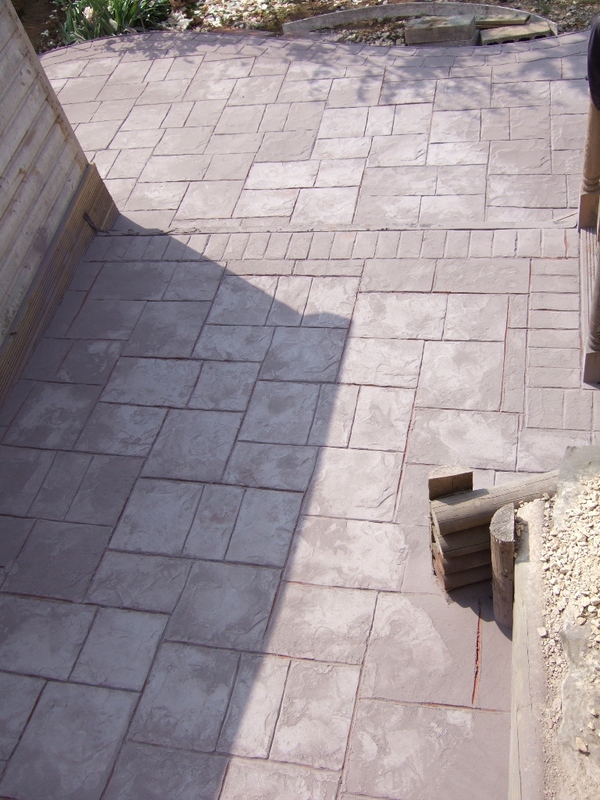 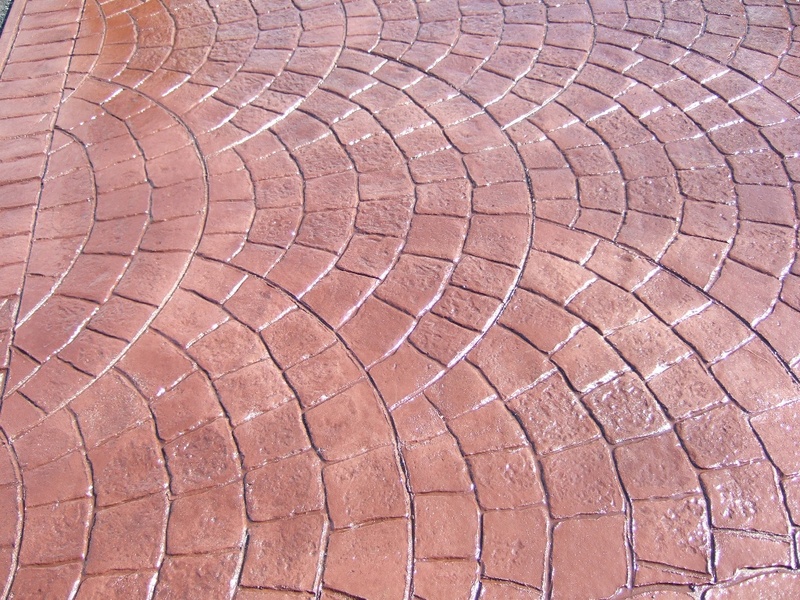 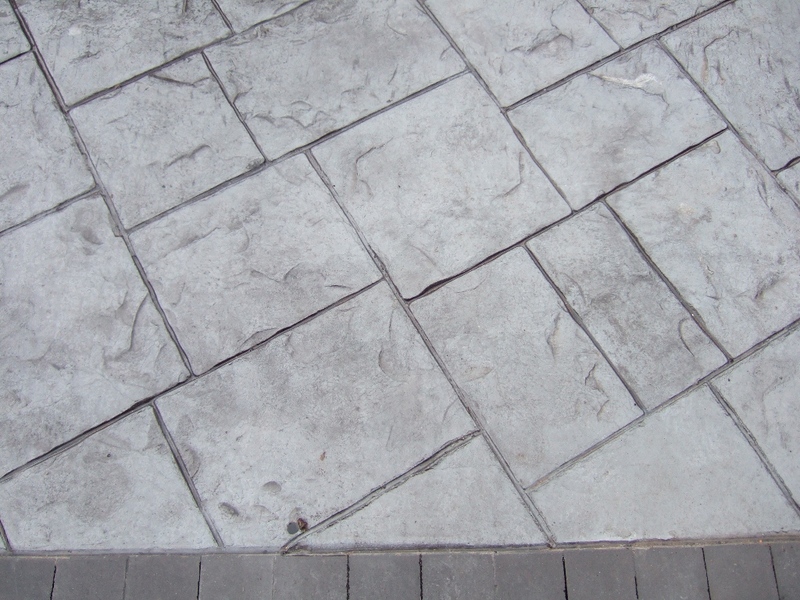 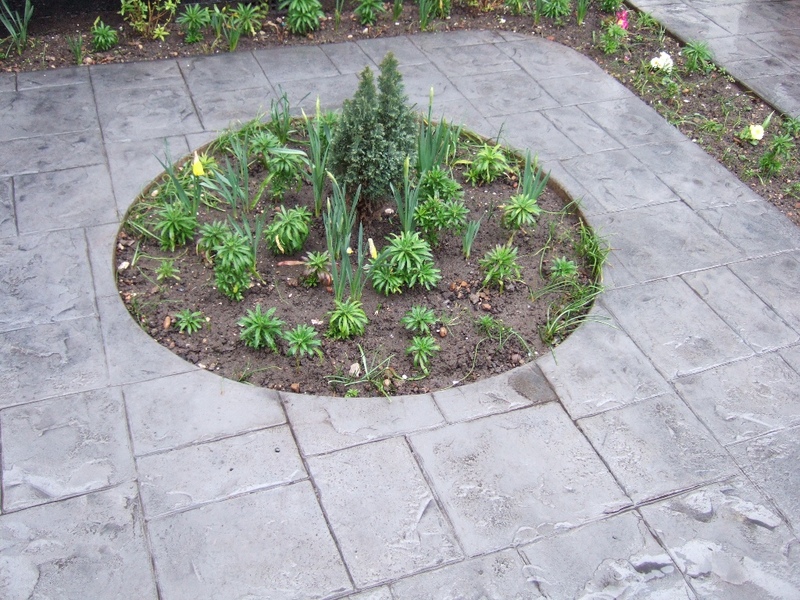 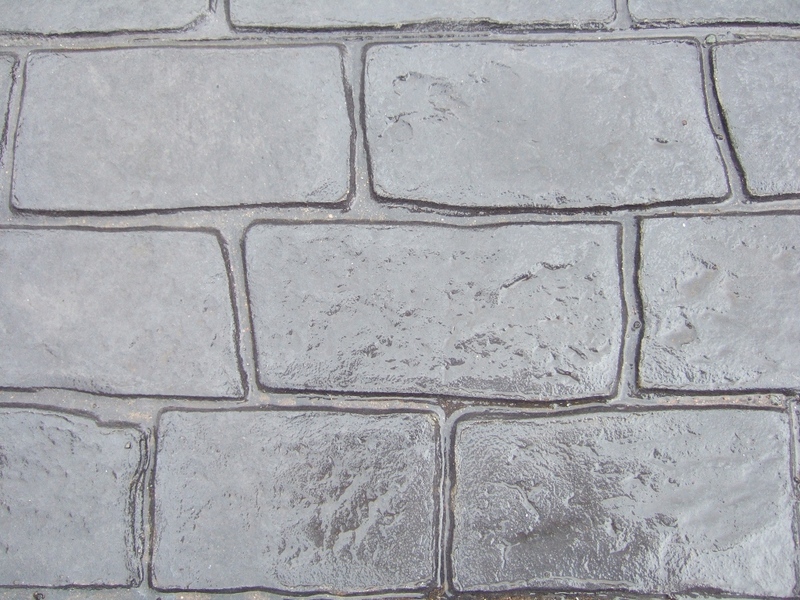 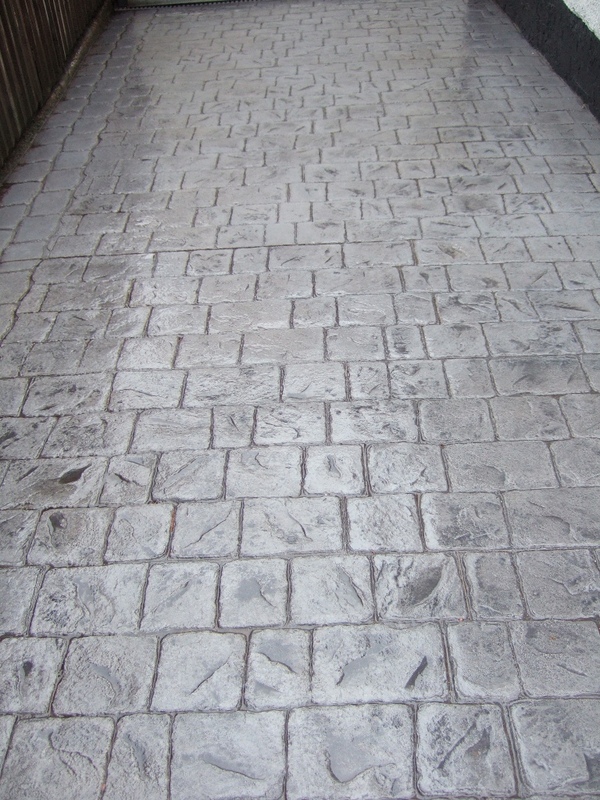 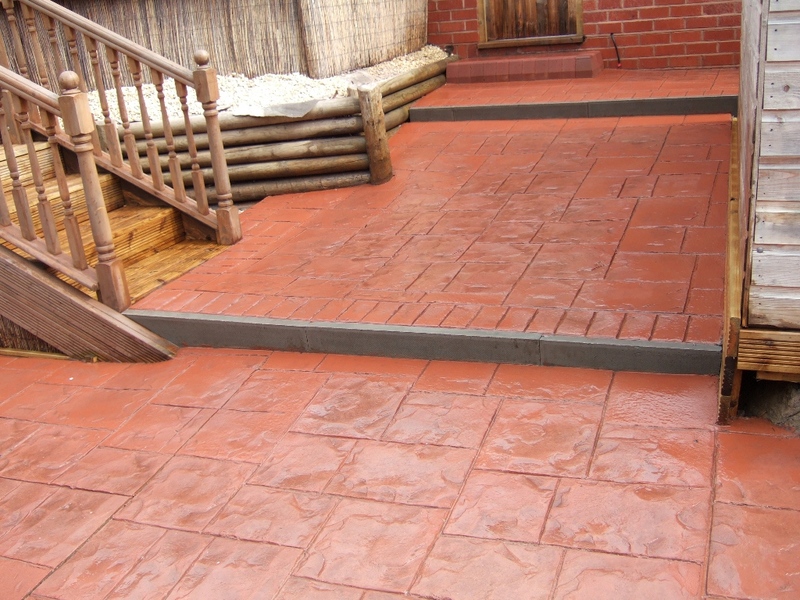 Pattern Imprinted Concrete offers versatility, durability, weed free low maintenance and cost effectiveness. 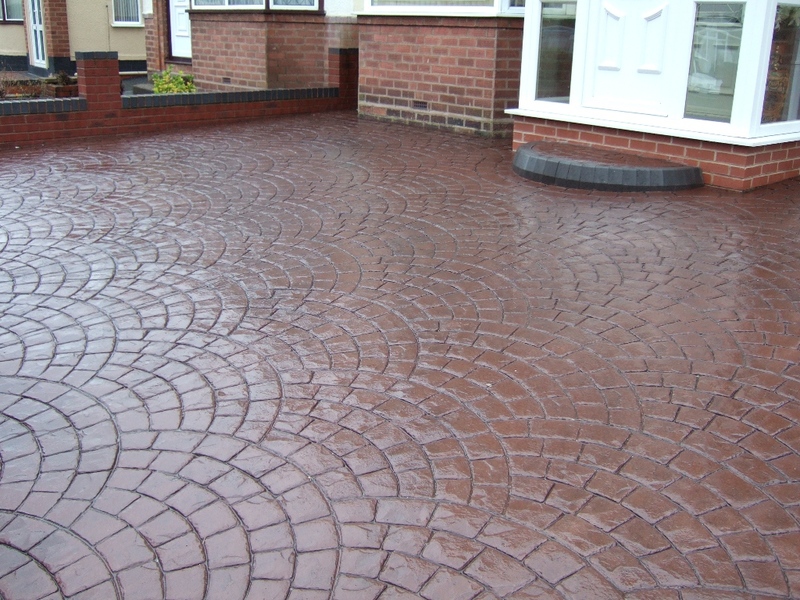 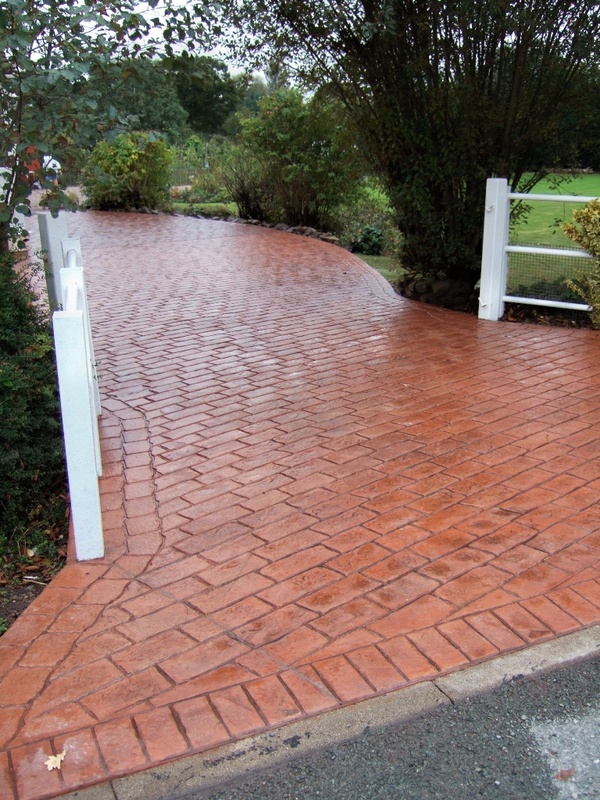 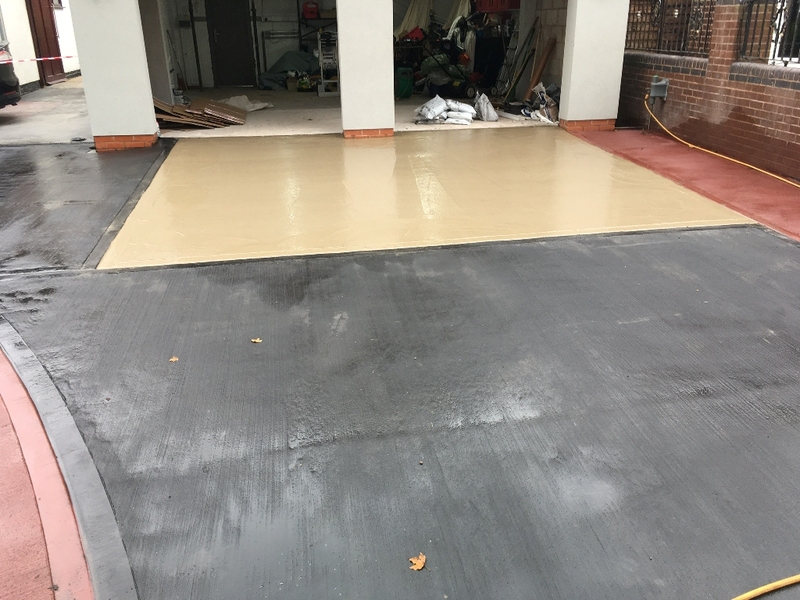 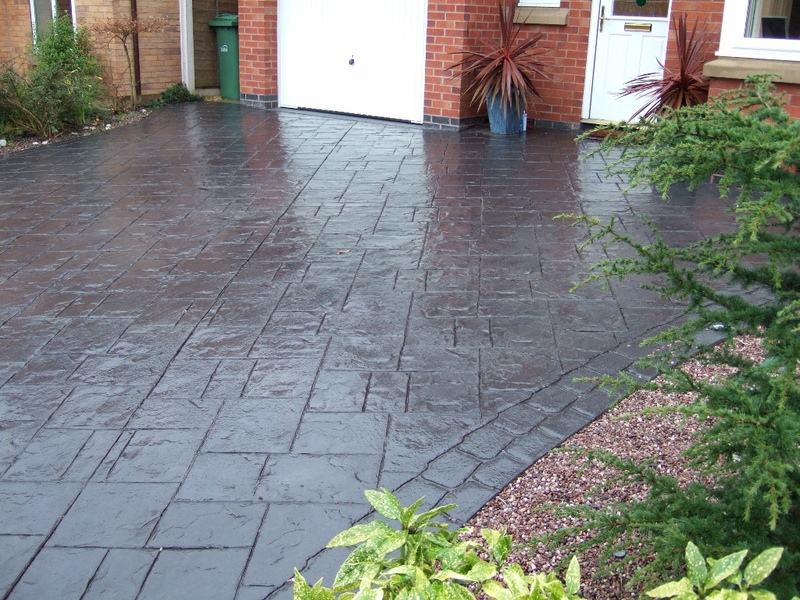 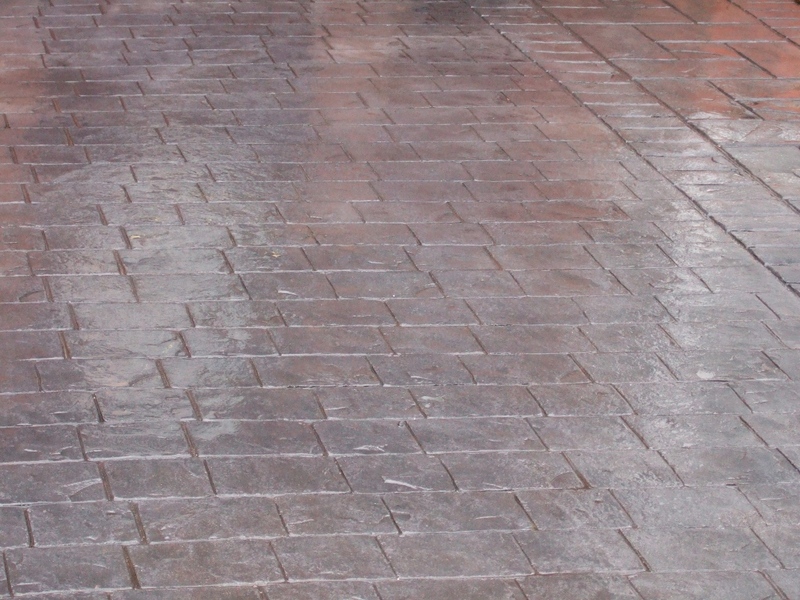 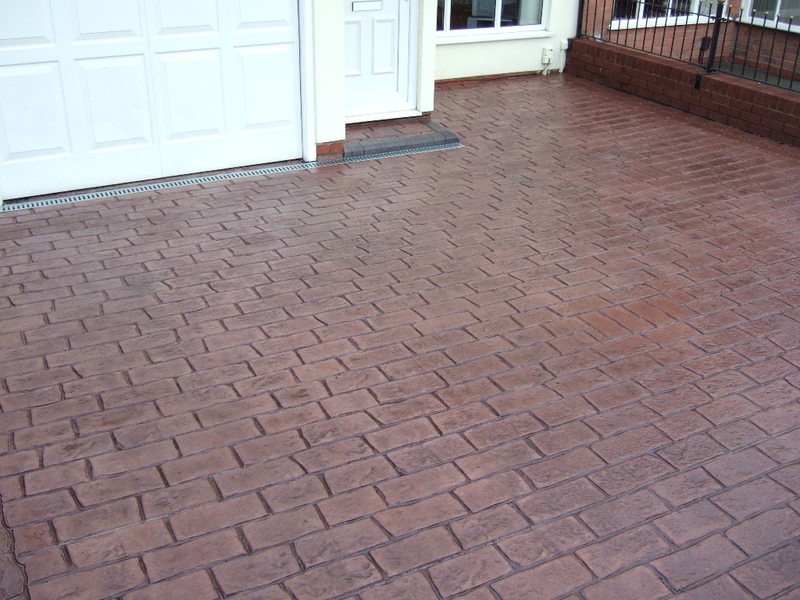 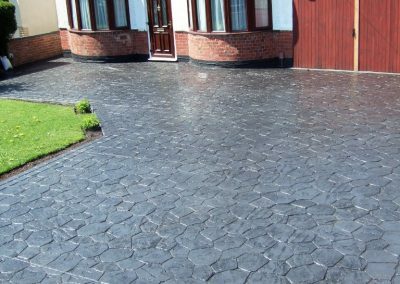 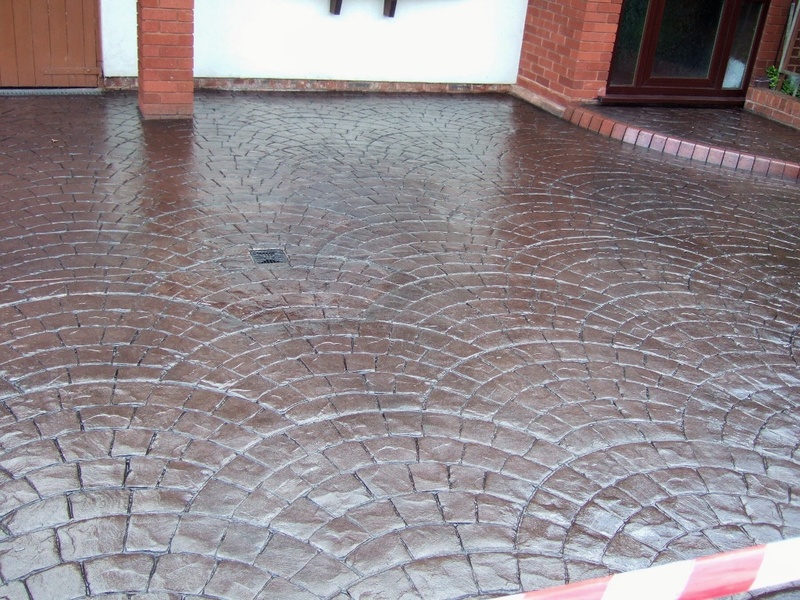 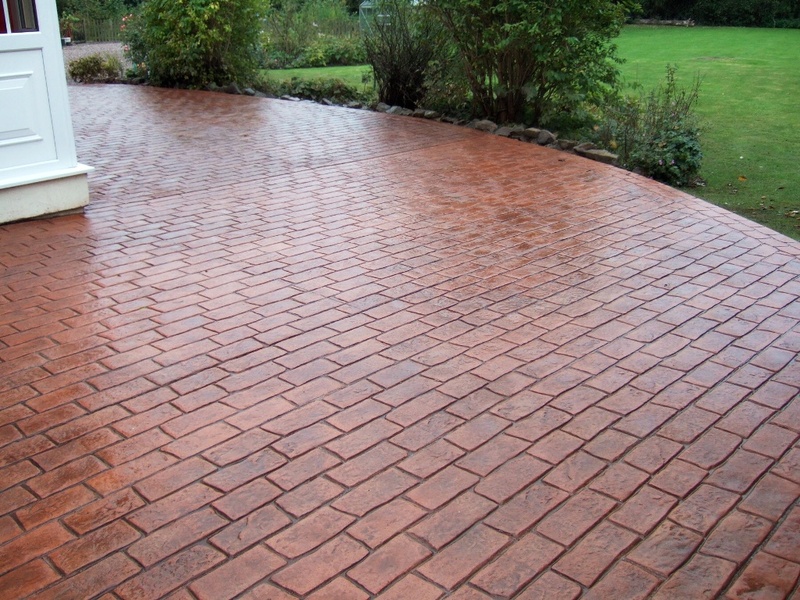 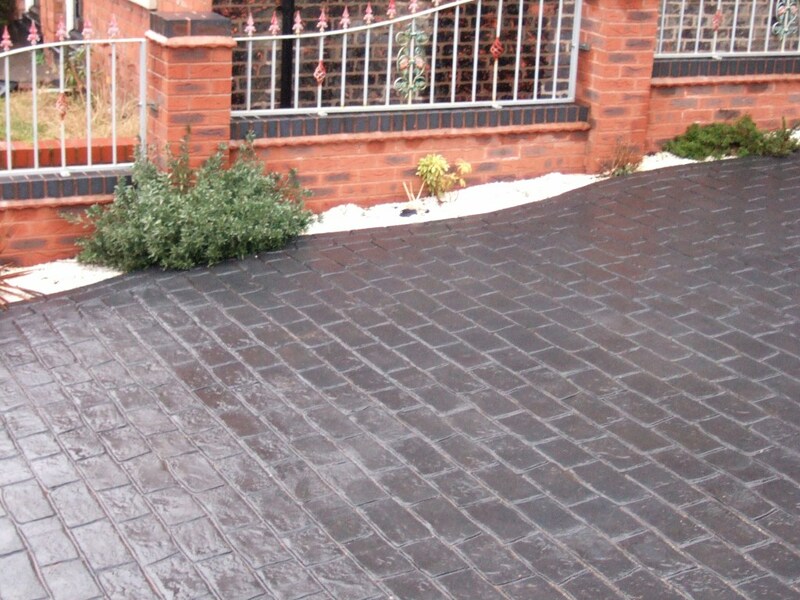 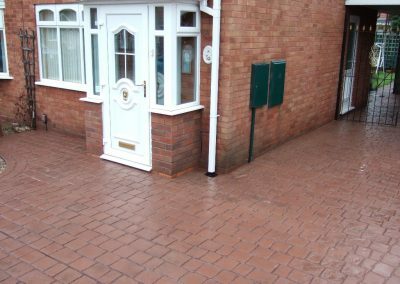 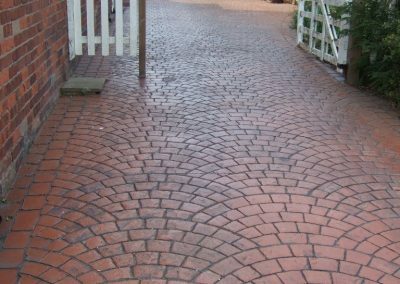 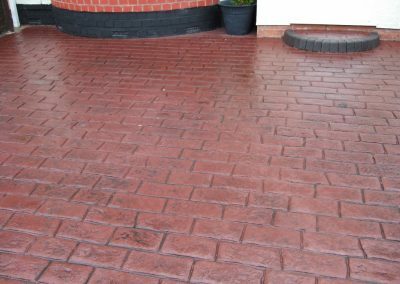 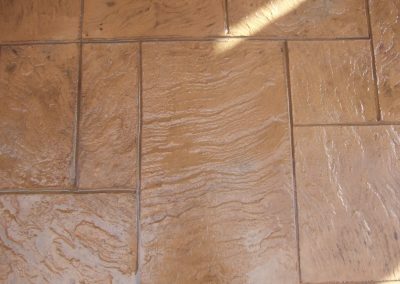 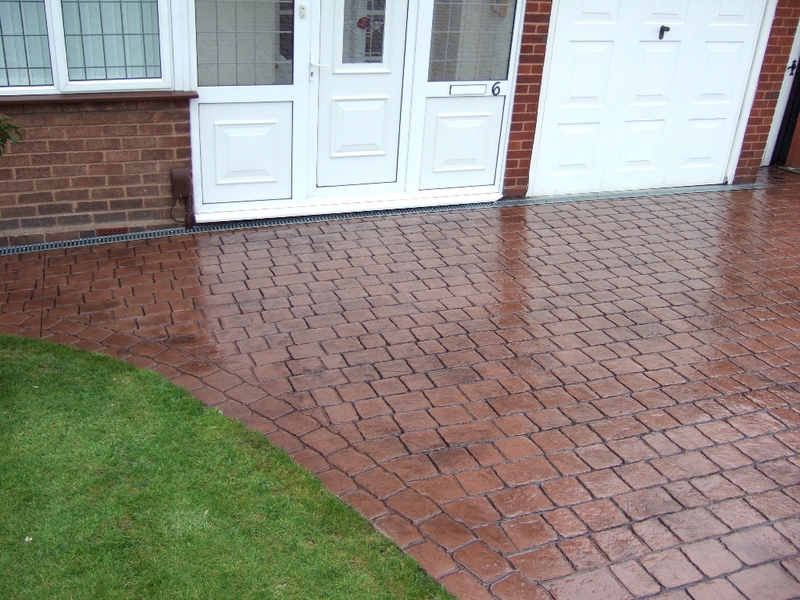 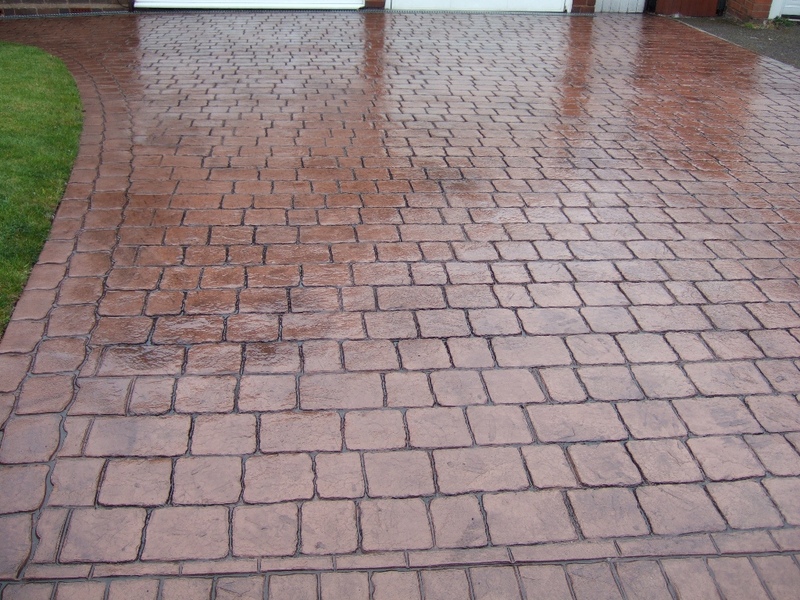 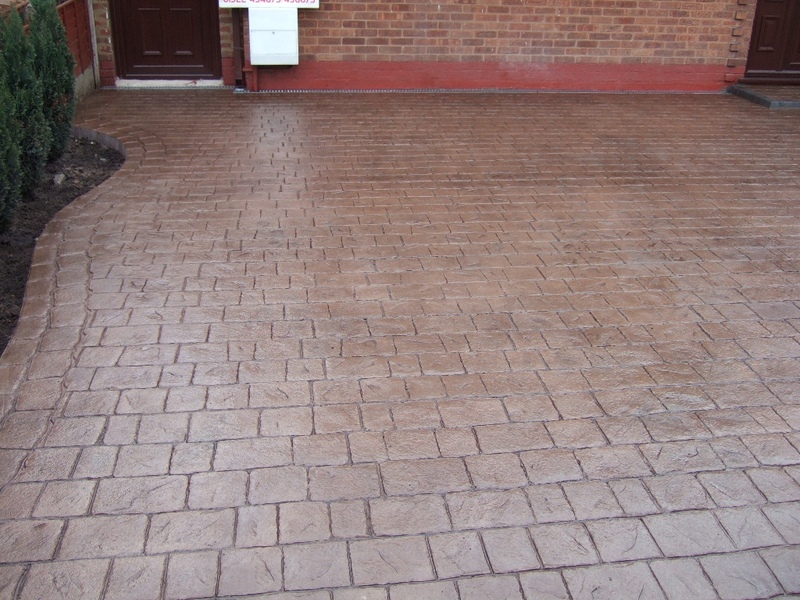 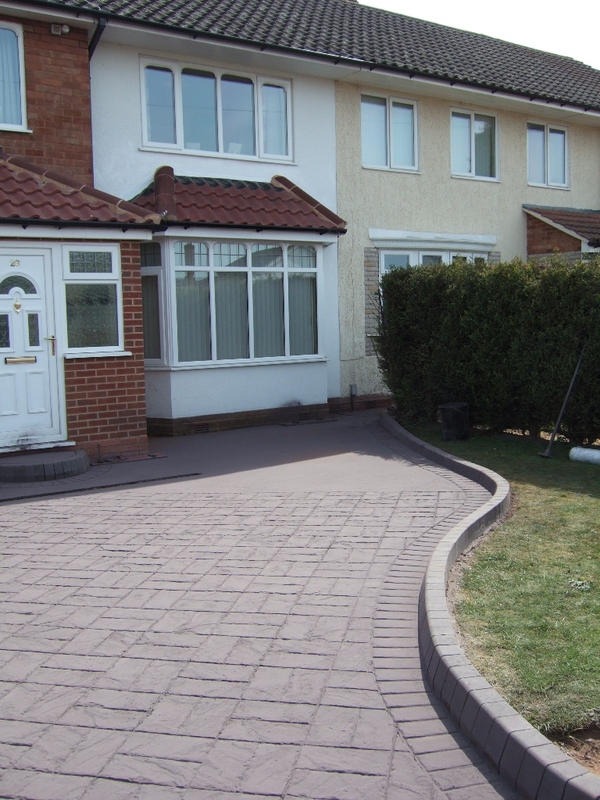 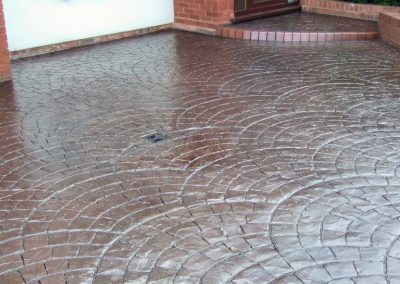 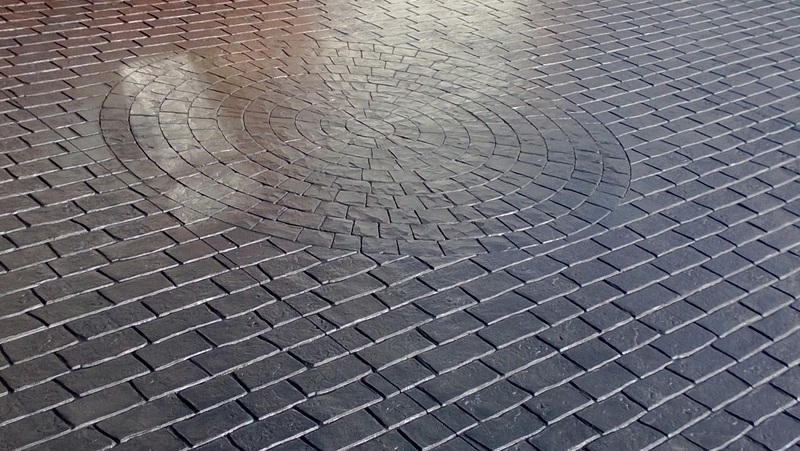 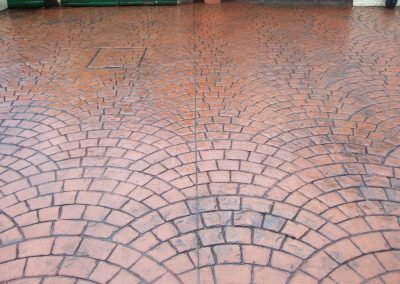 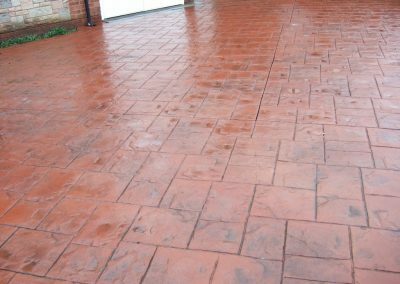 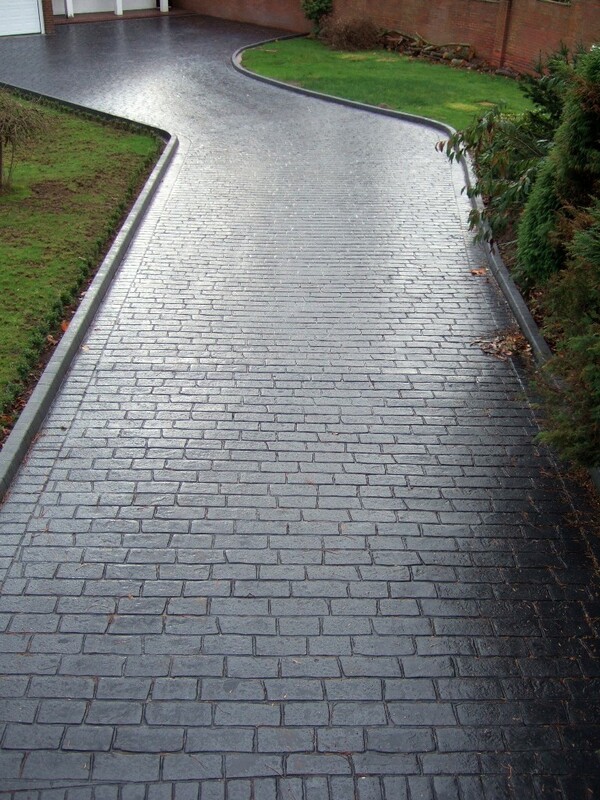 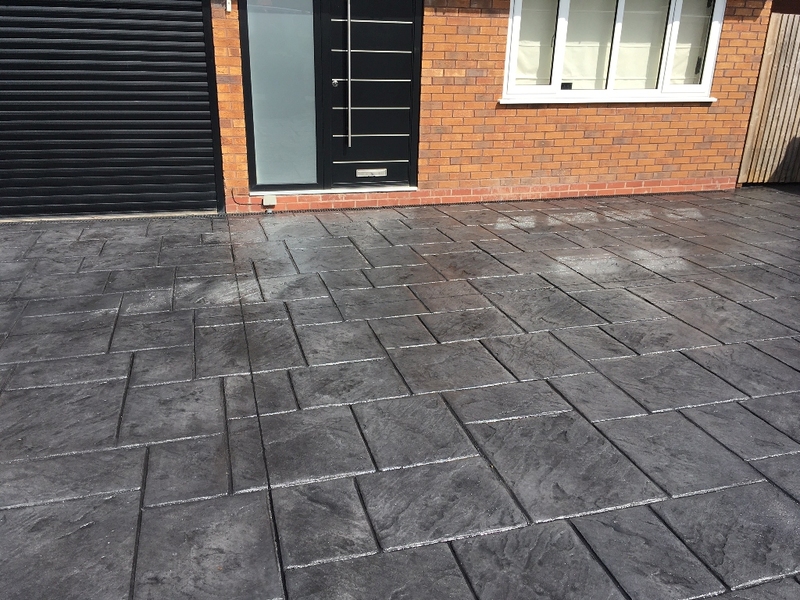 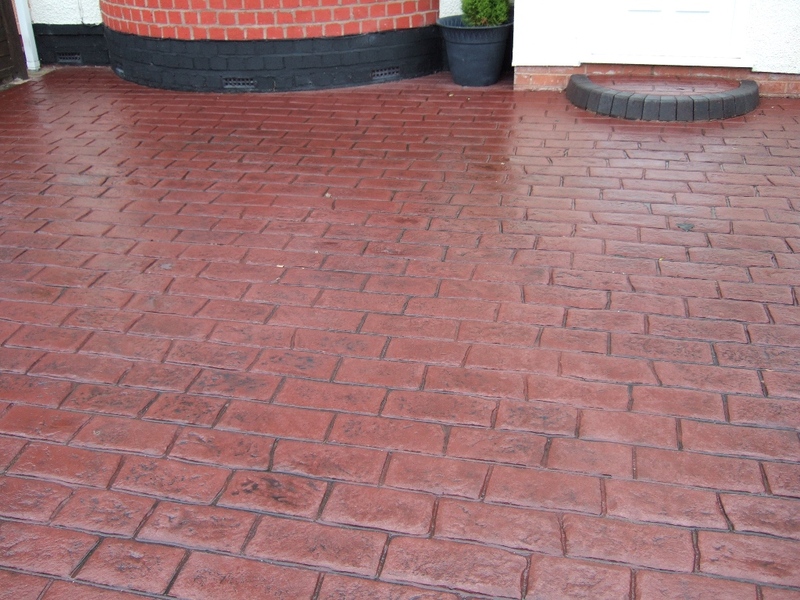 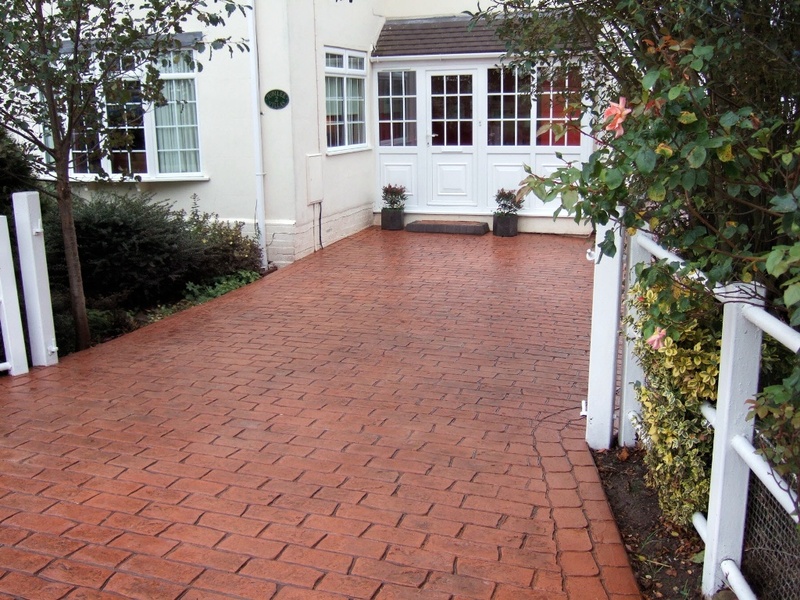 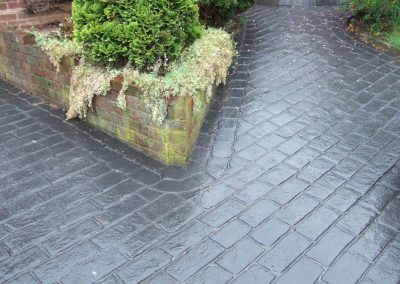 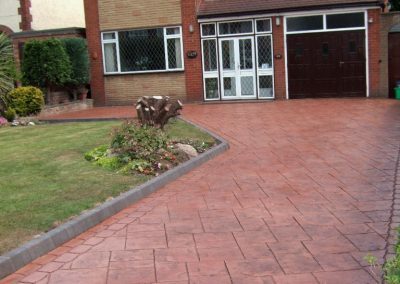 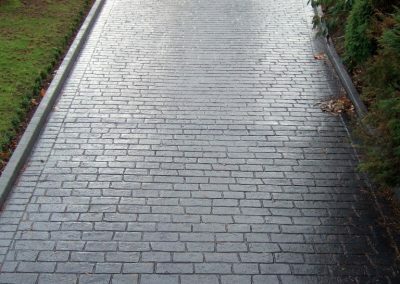 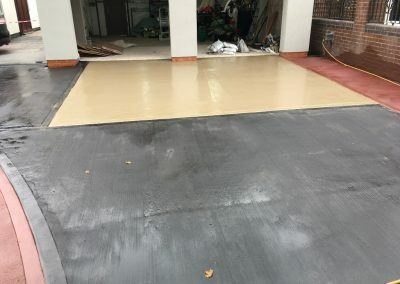 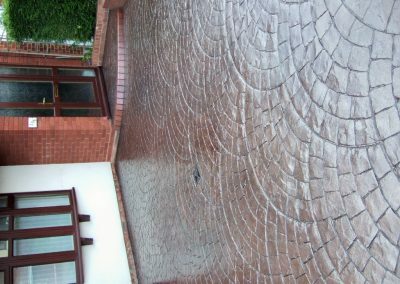 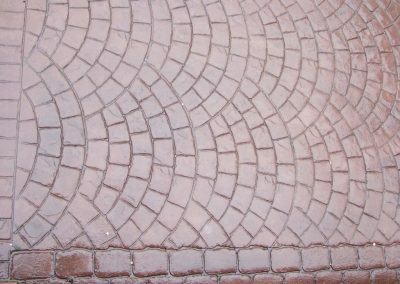 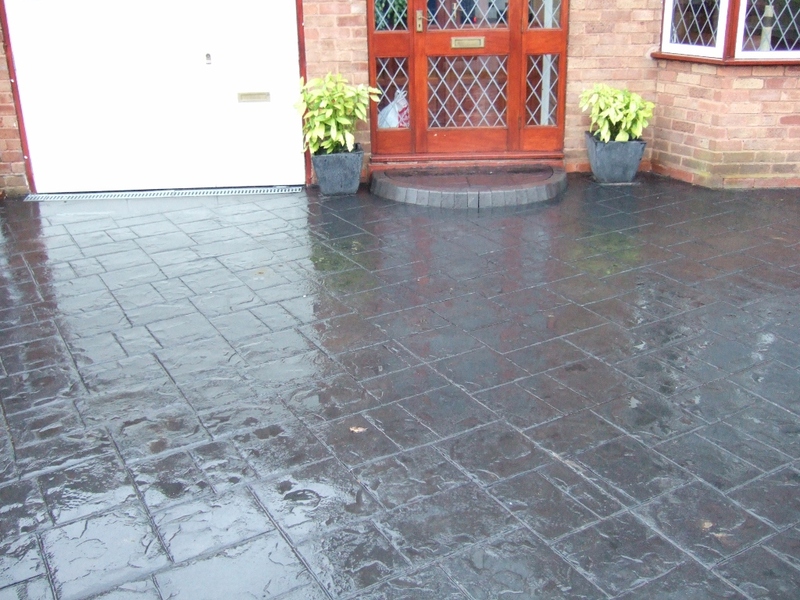 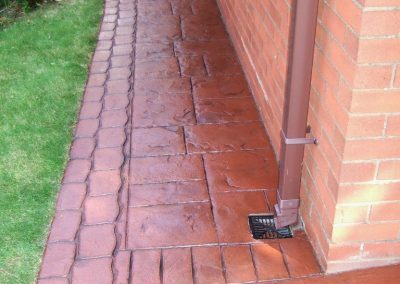 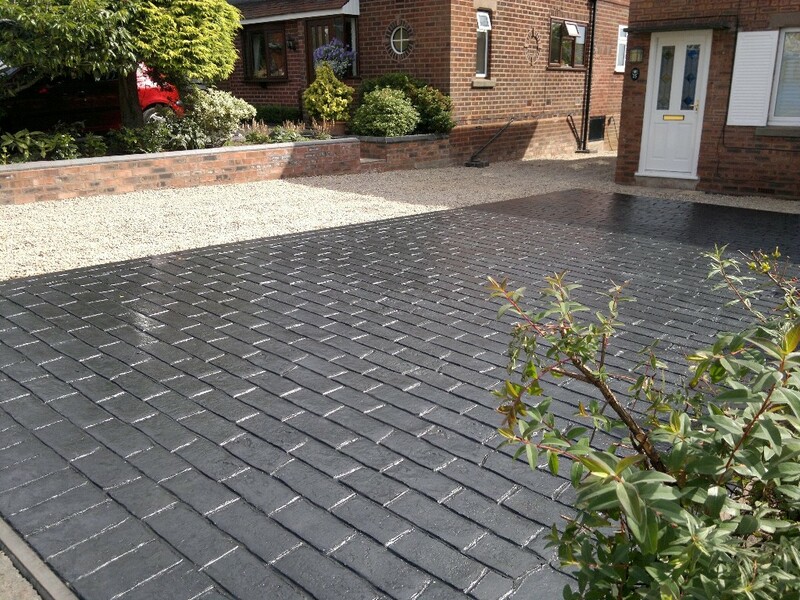 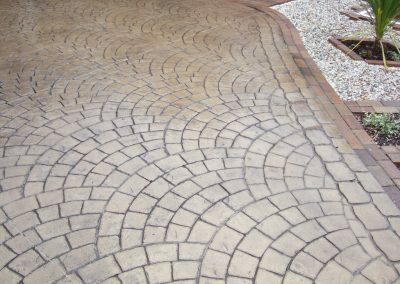 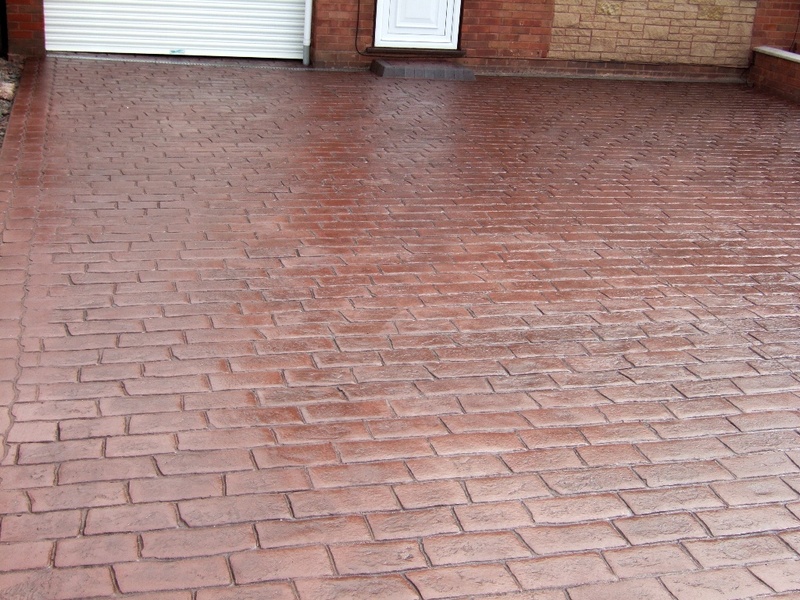 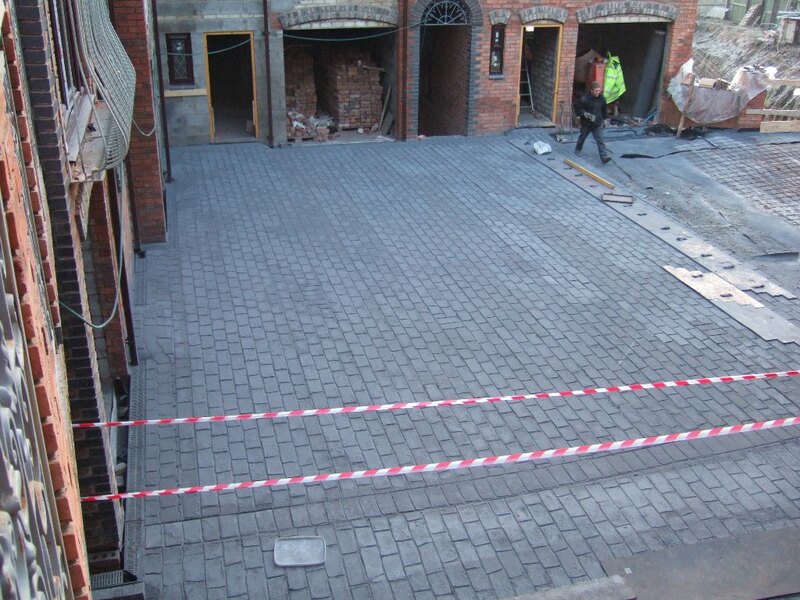 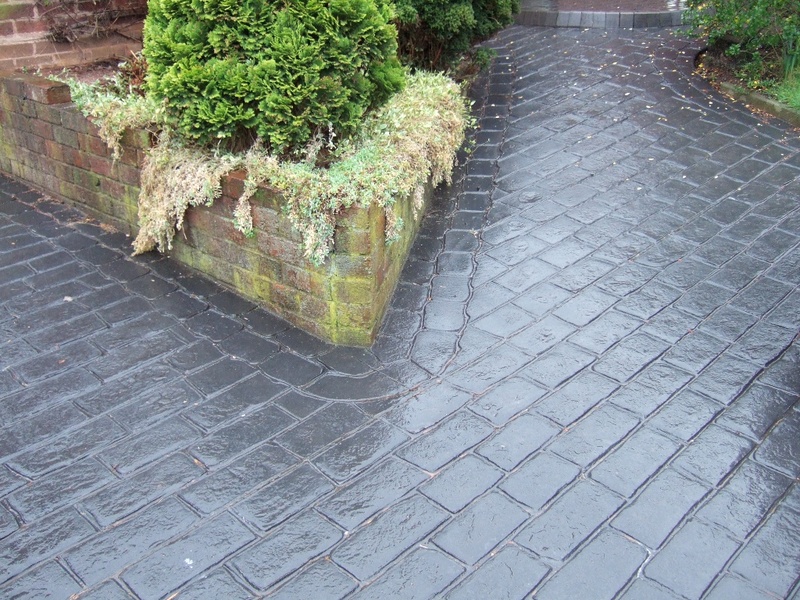 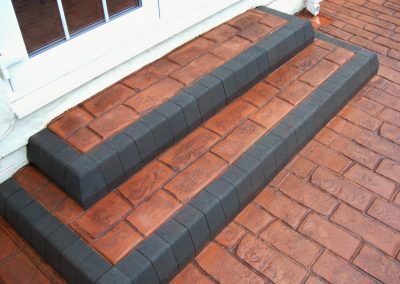 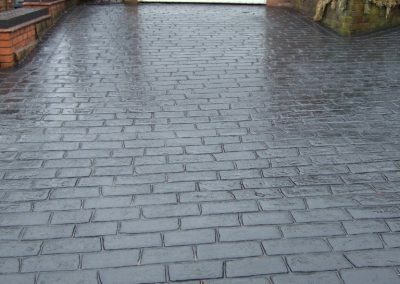 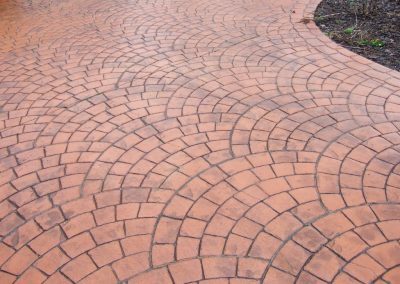 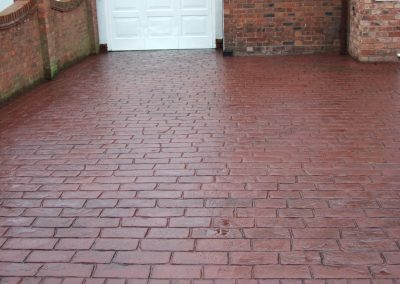 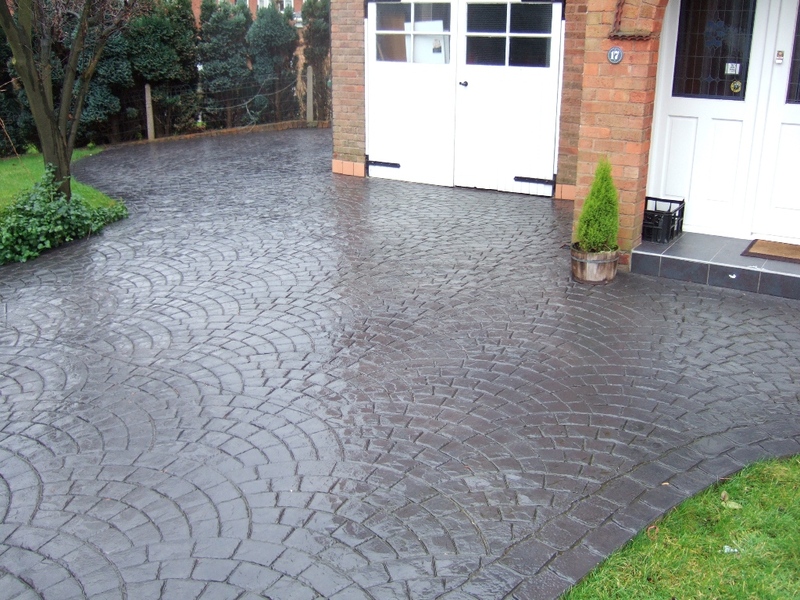 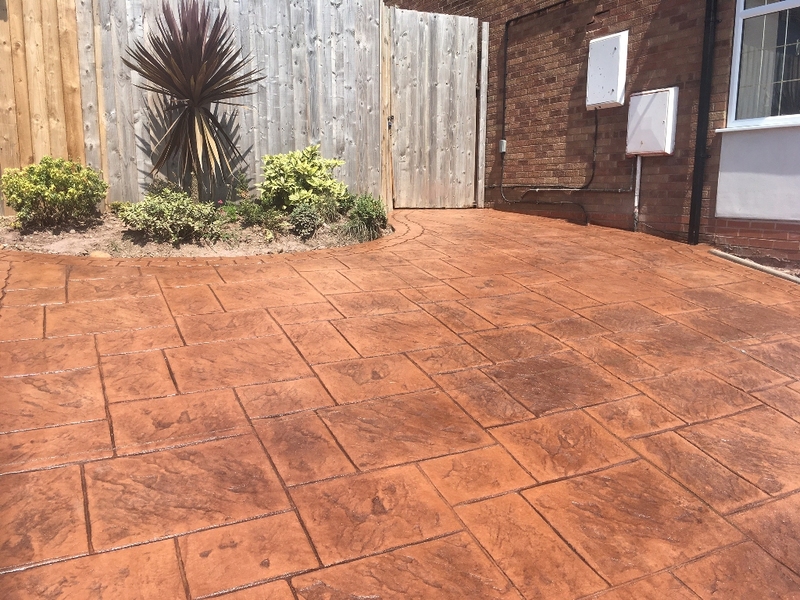 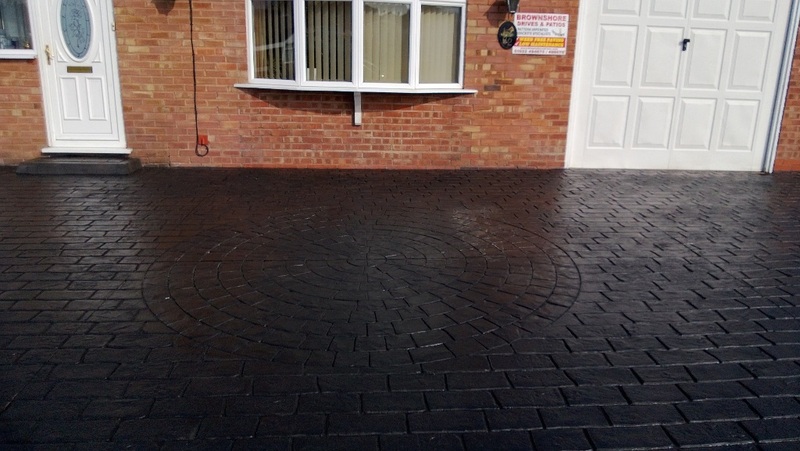 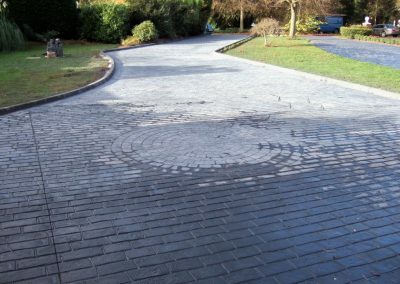 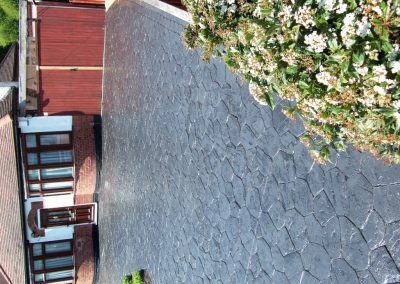 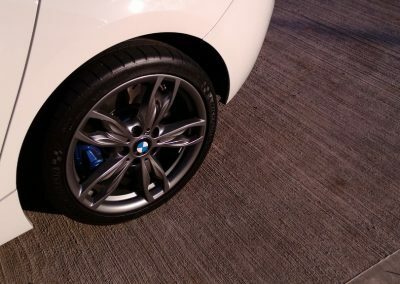 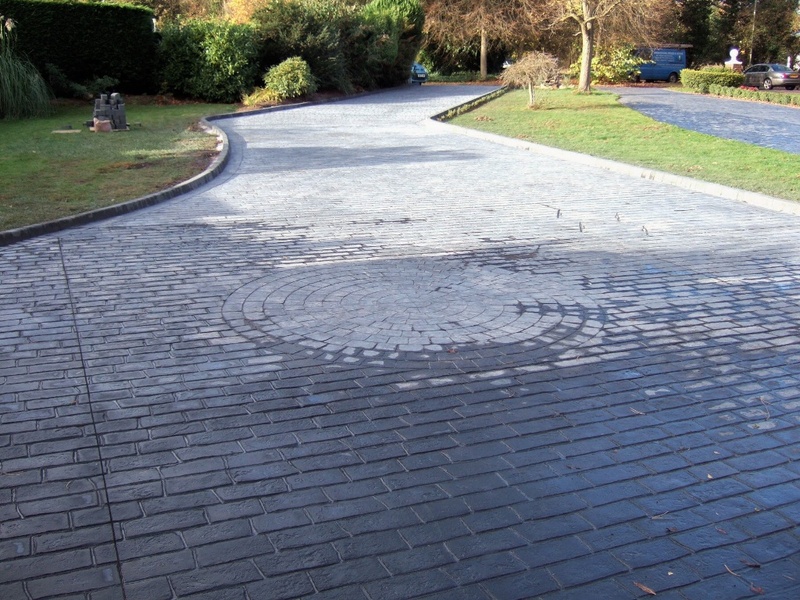 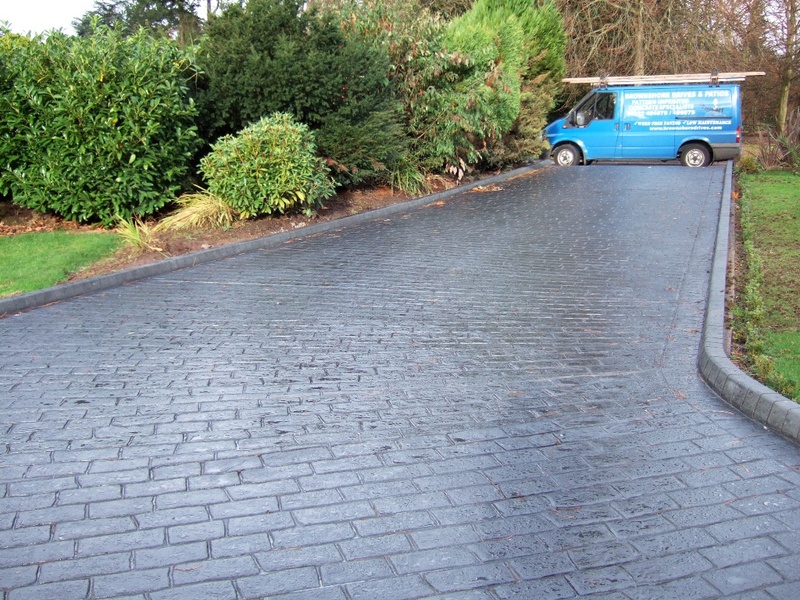 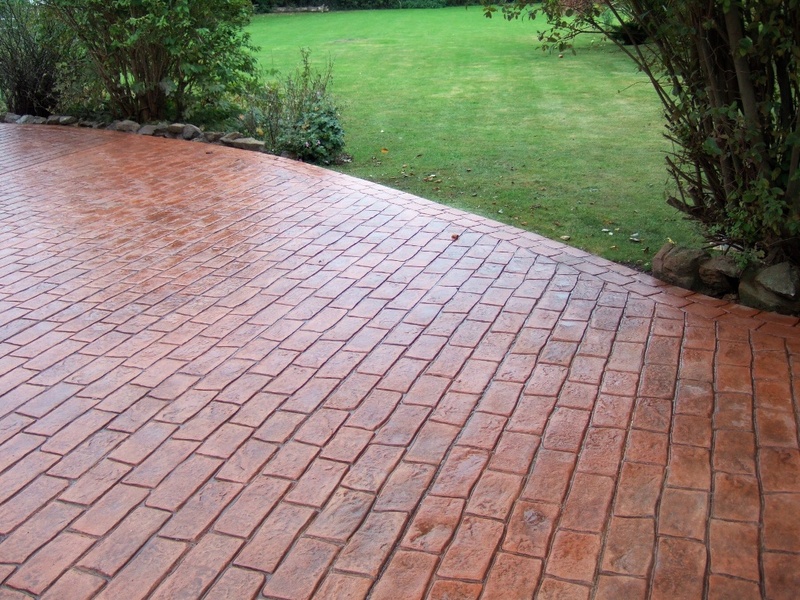 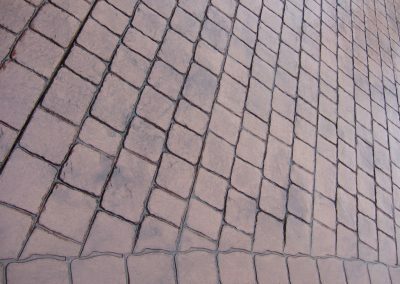 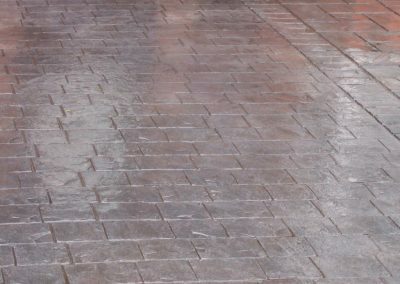 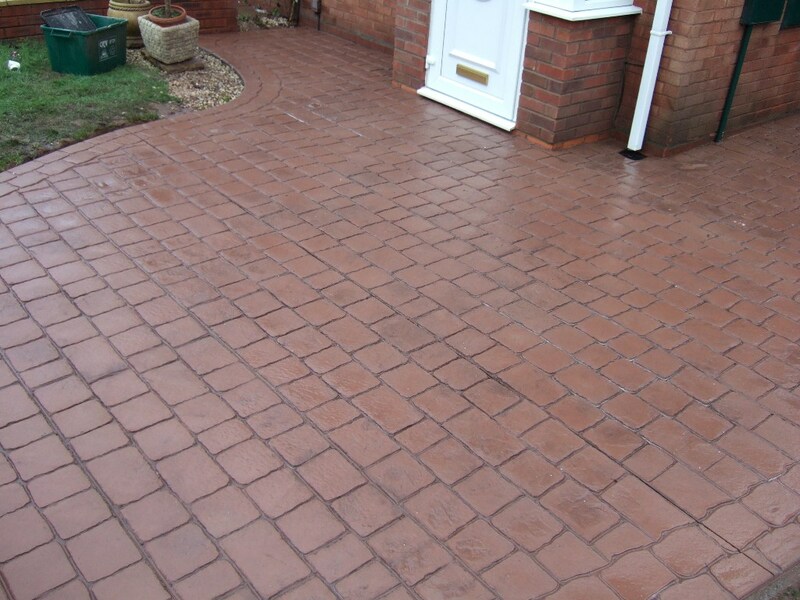 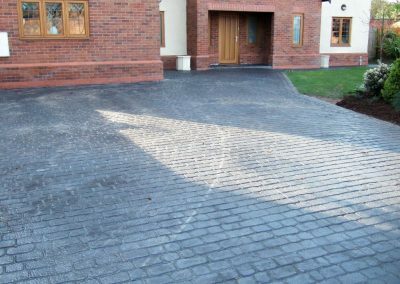 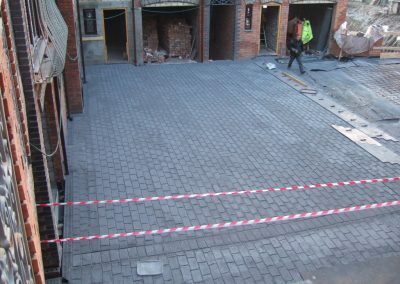 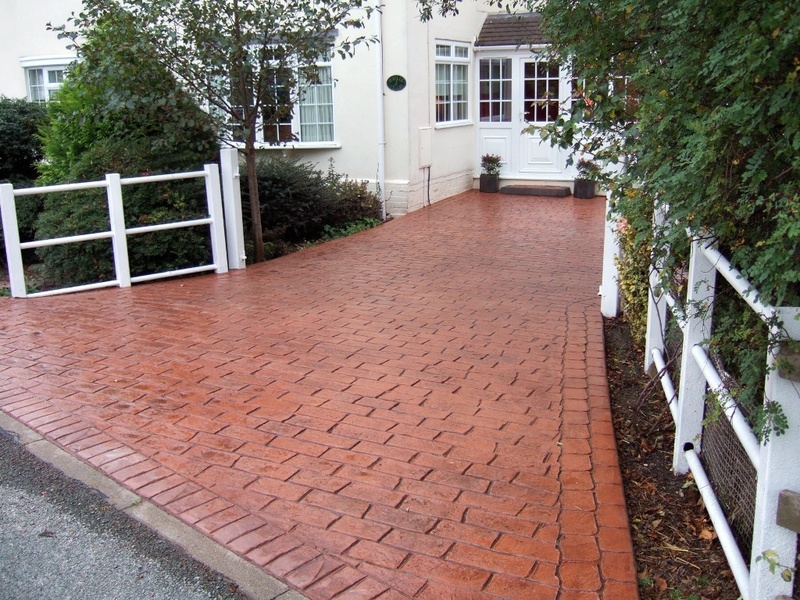 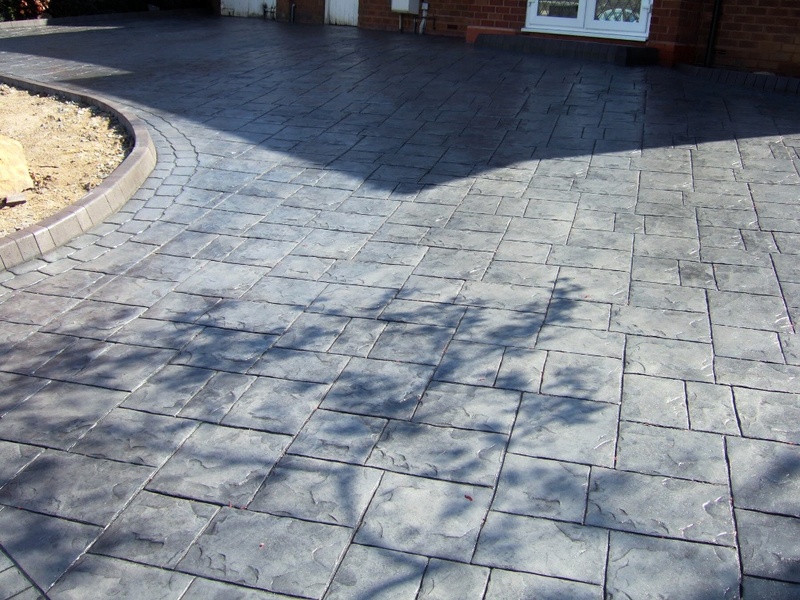 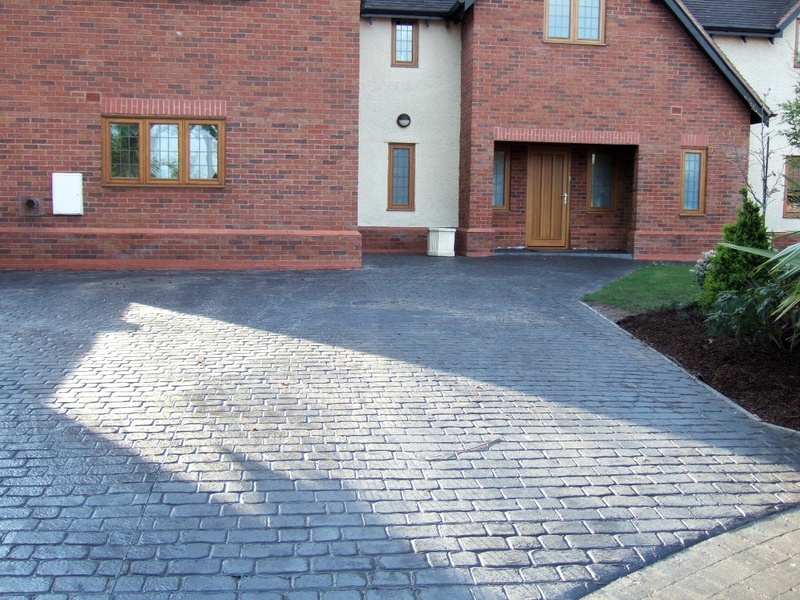 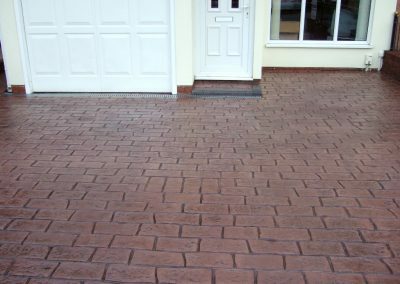 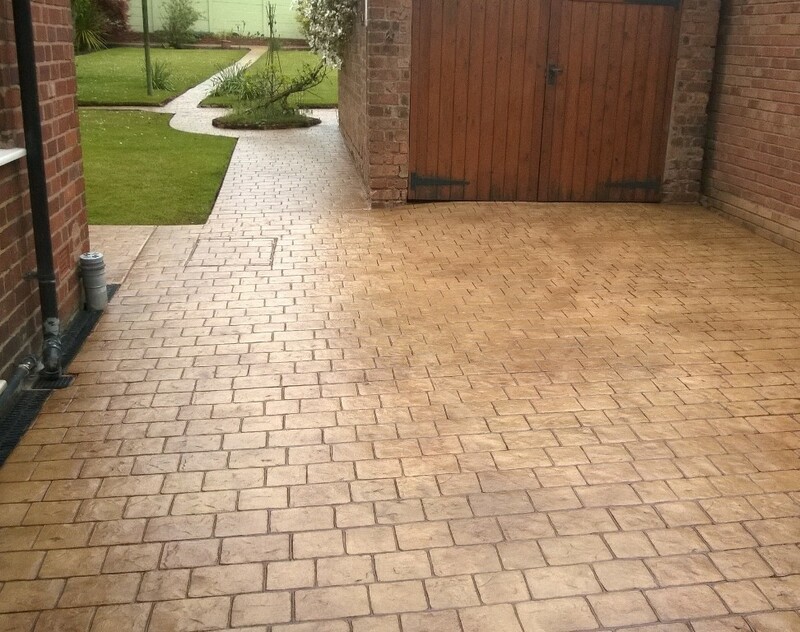 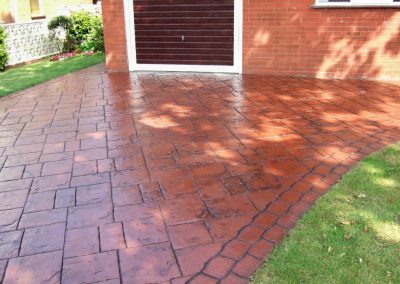 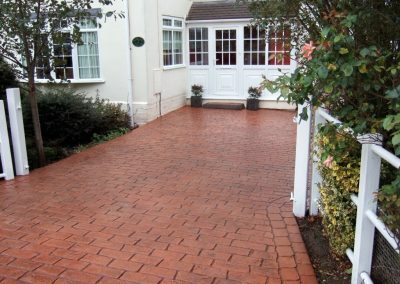 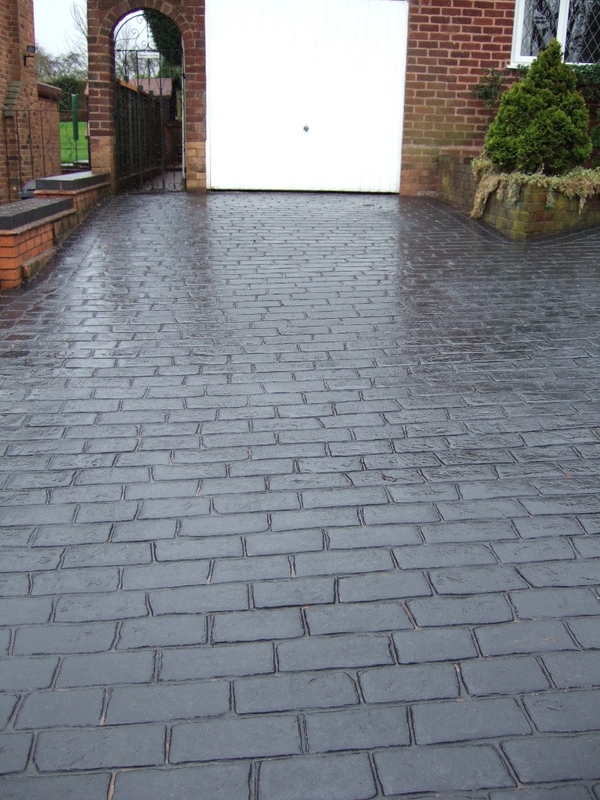 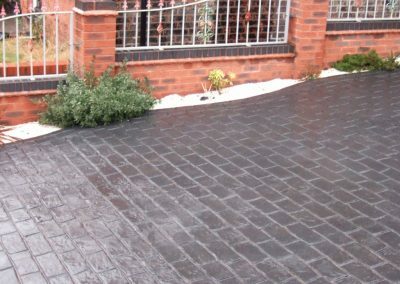 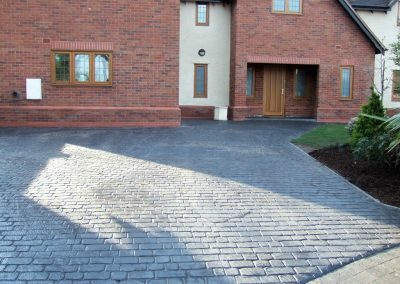 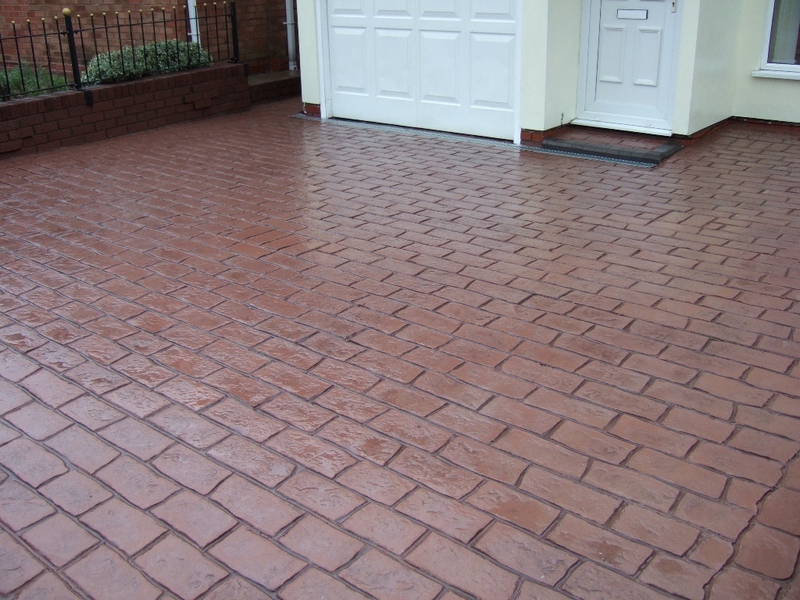 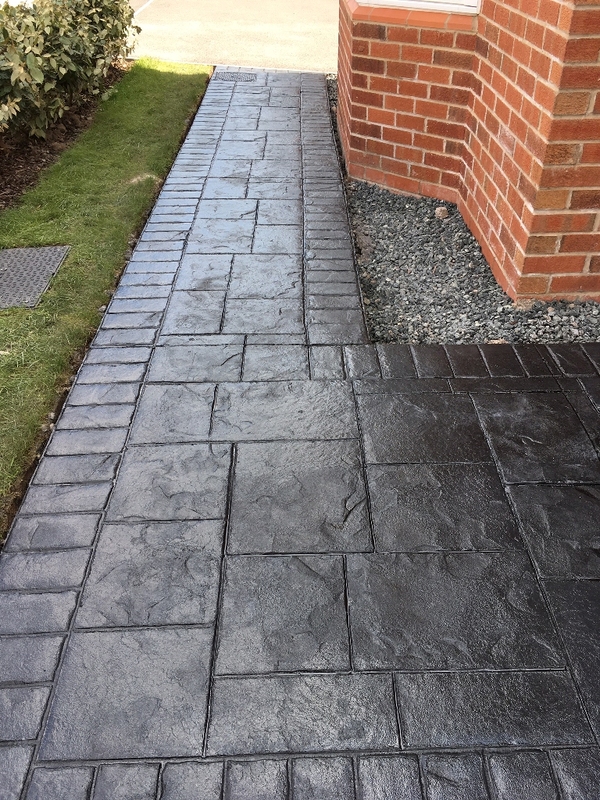 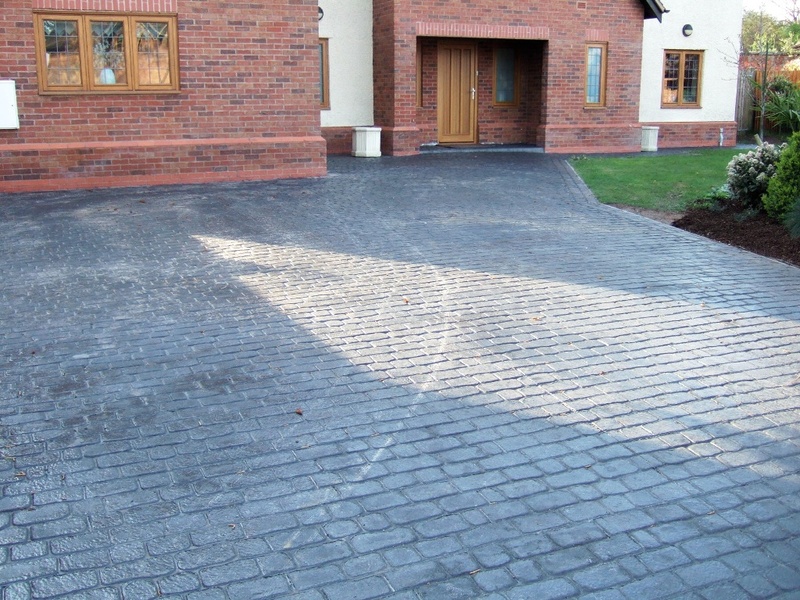 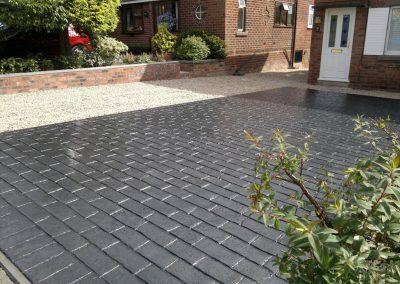 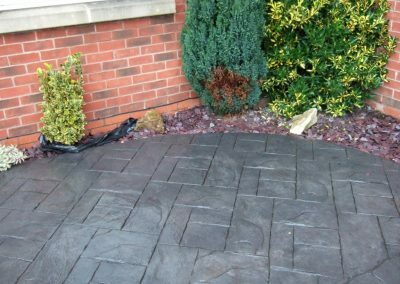 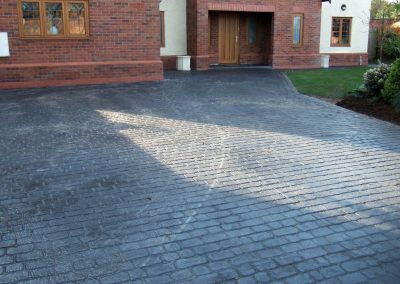 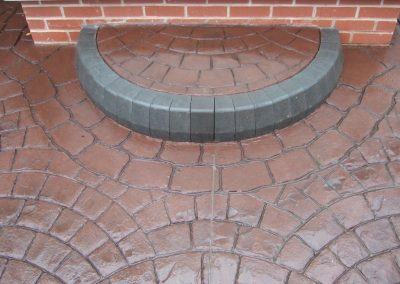 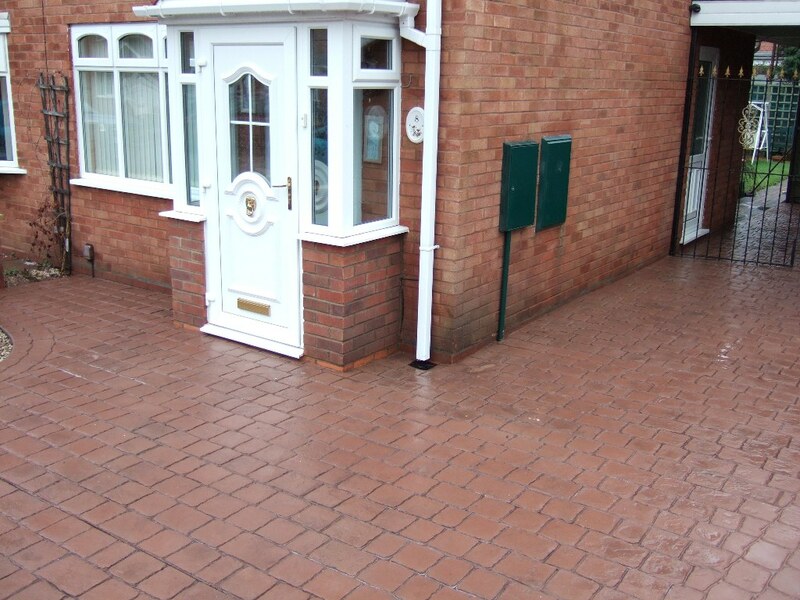 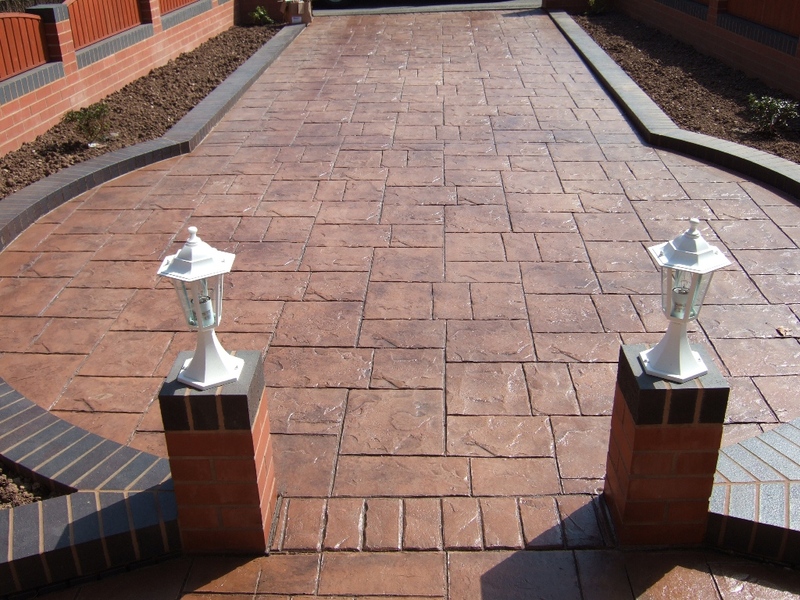 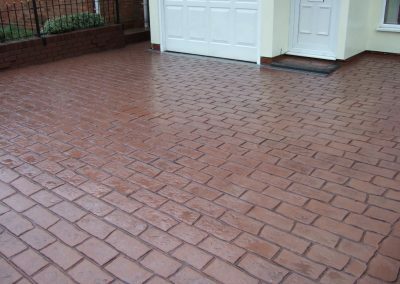 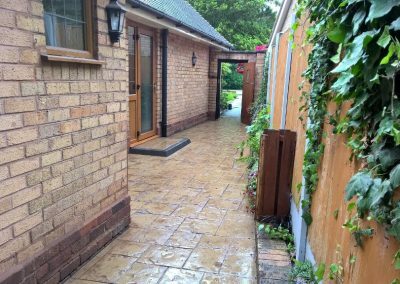 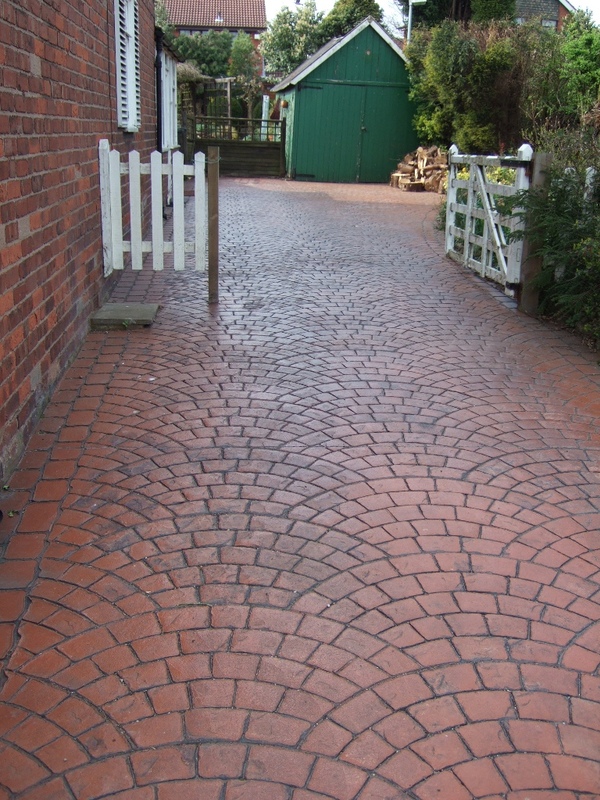 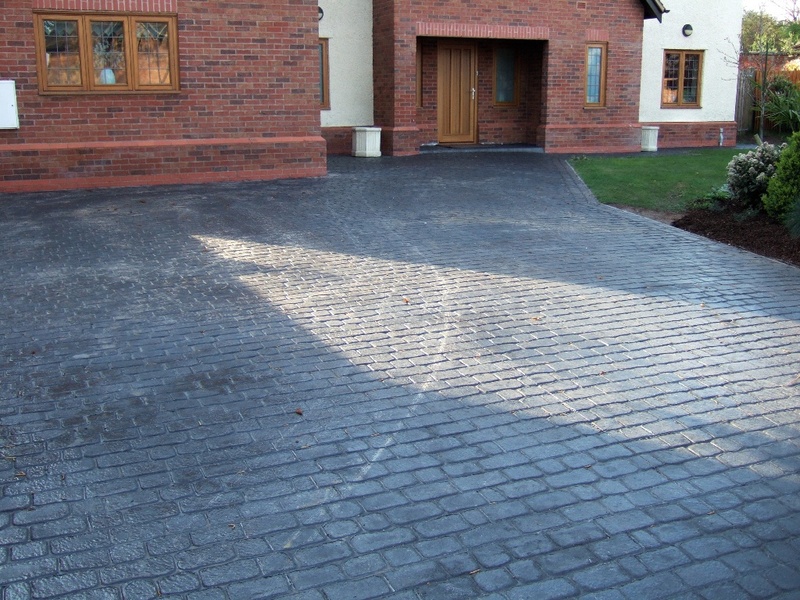 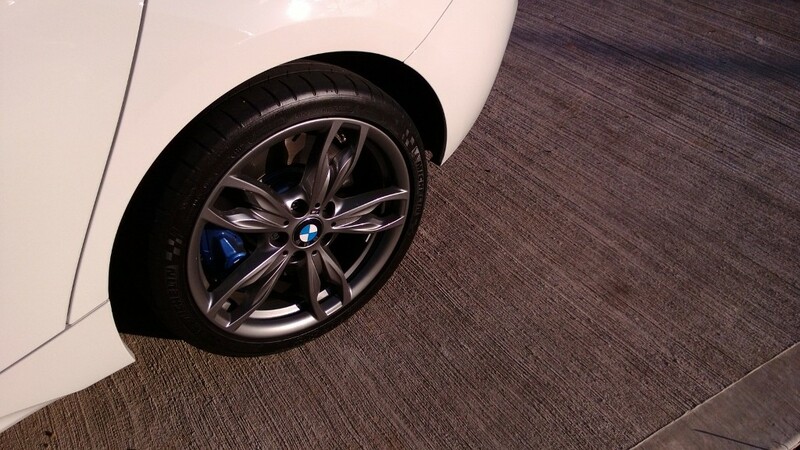 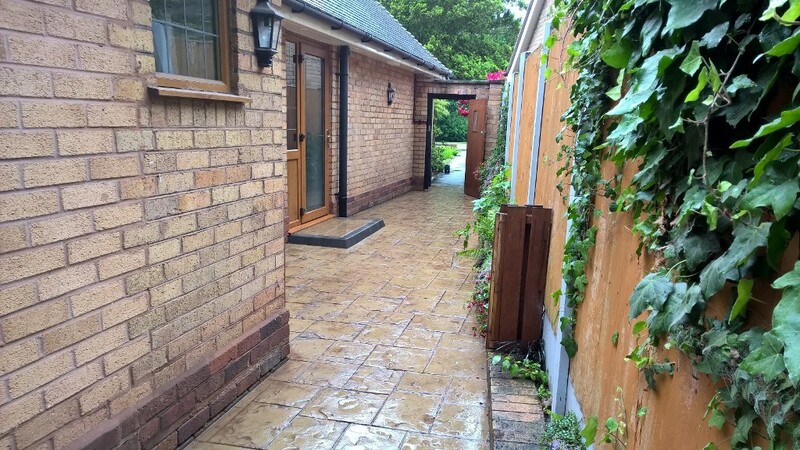 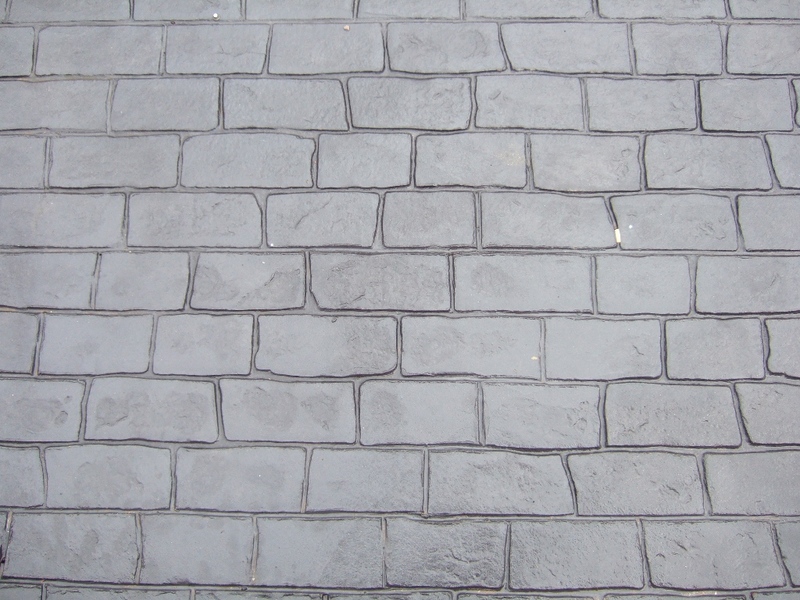 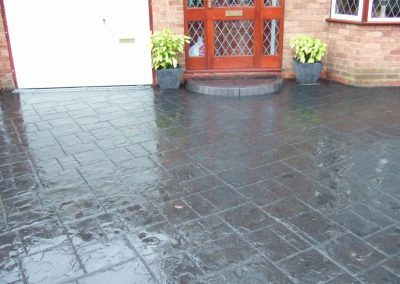 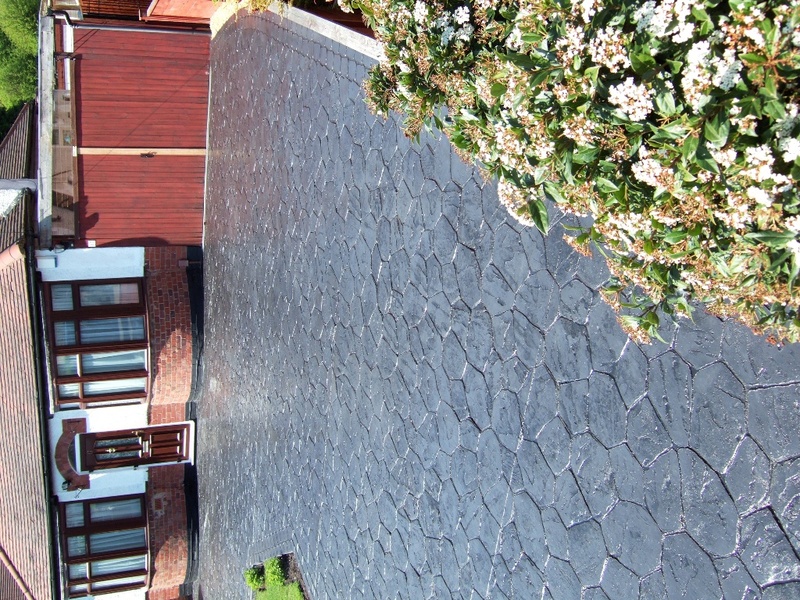 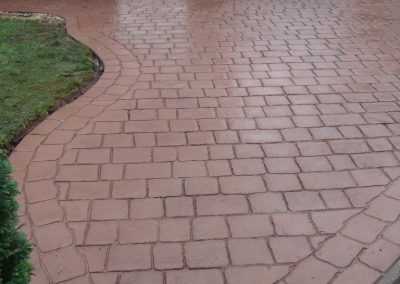 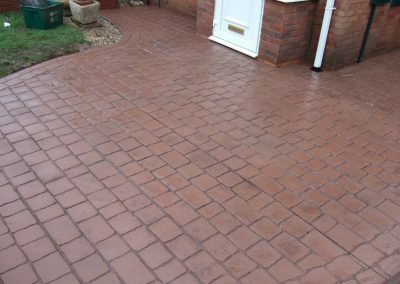 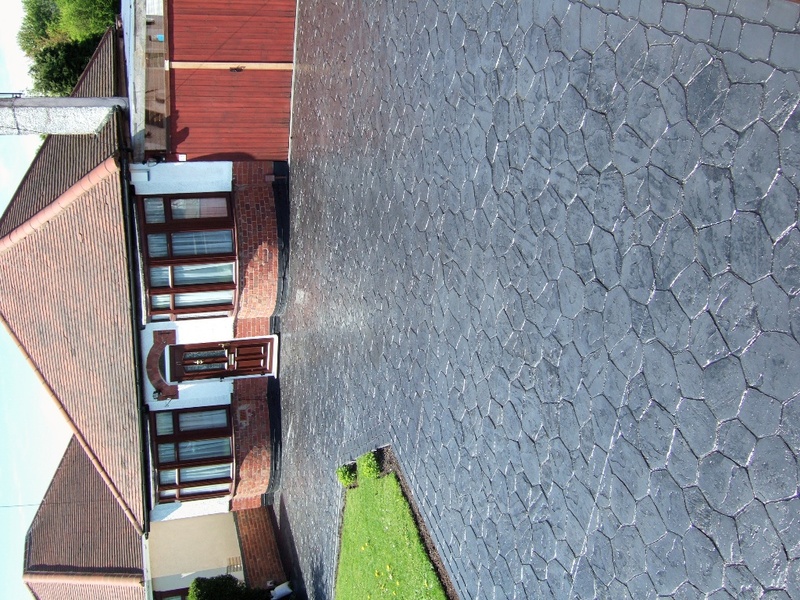 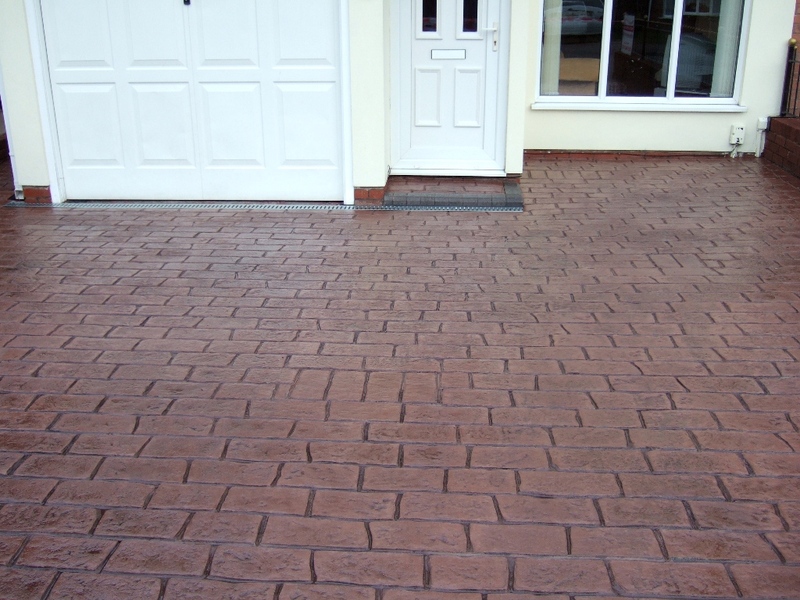 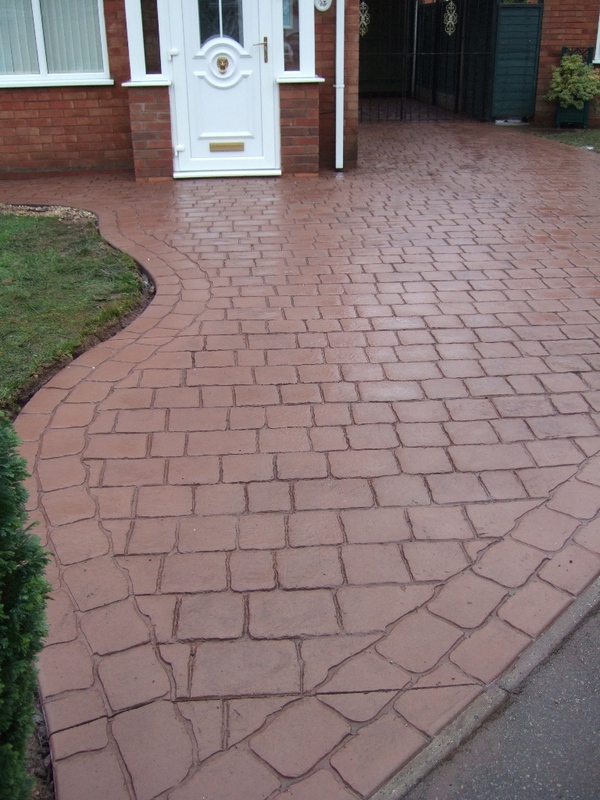 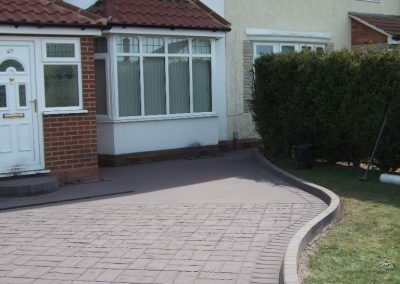 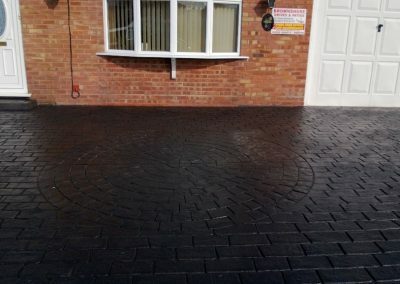 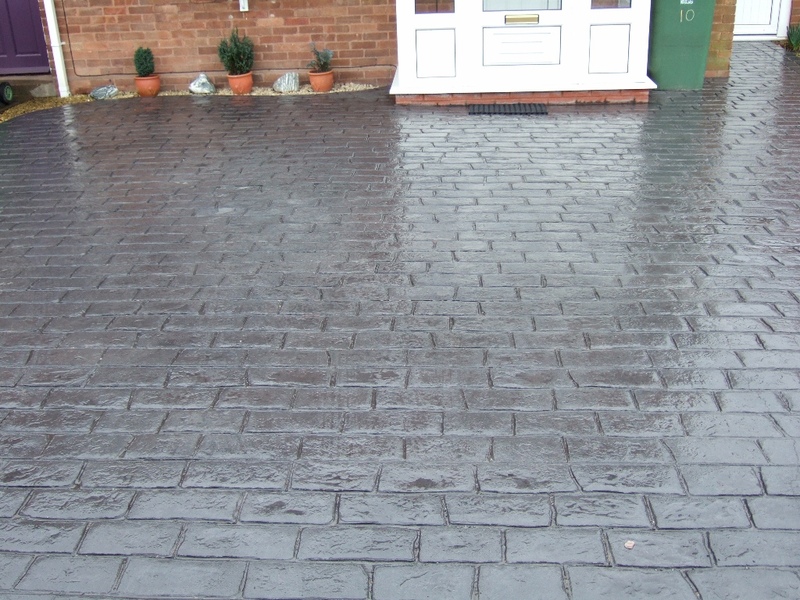 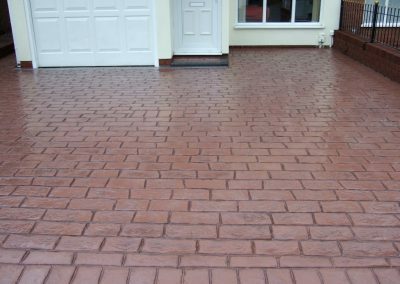 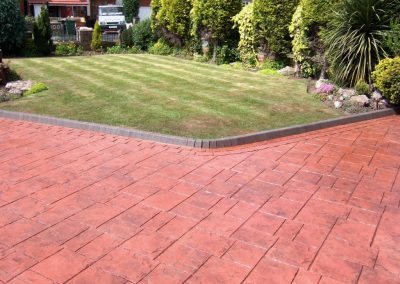 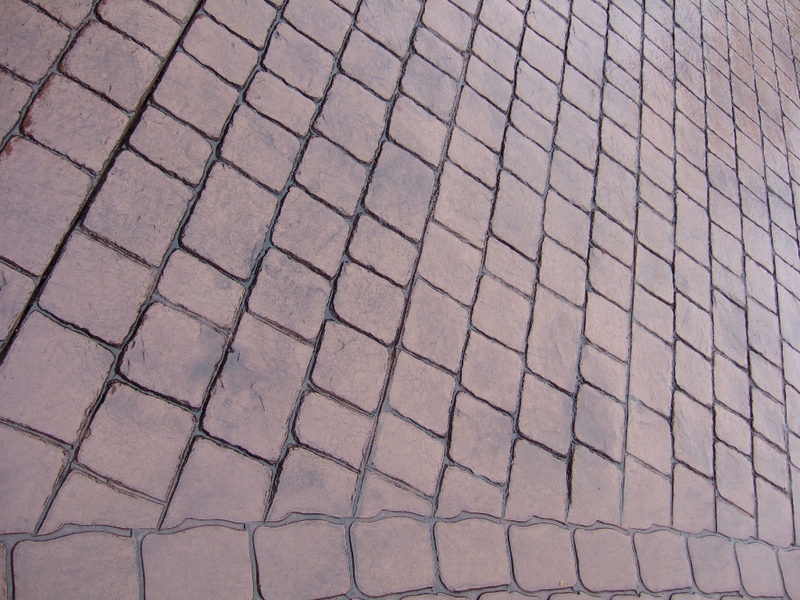 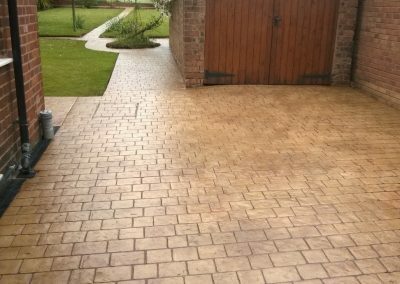 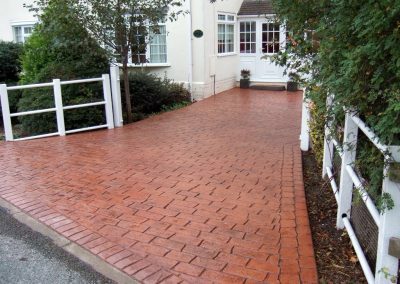 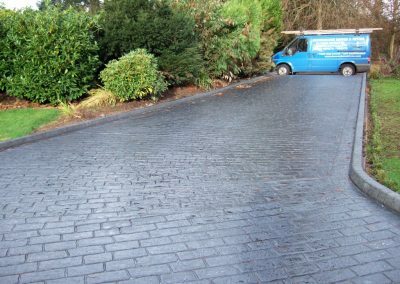 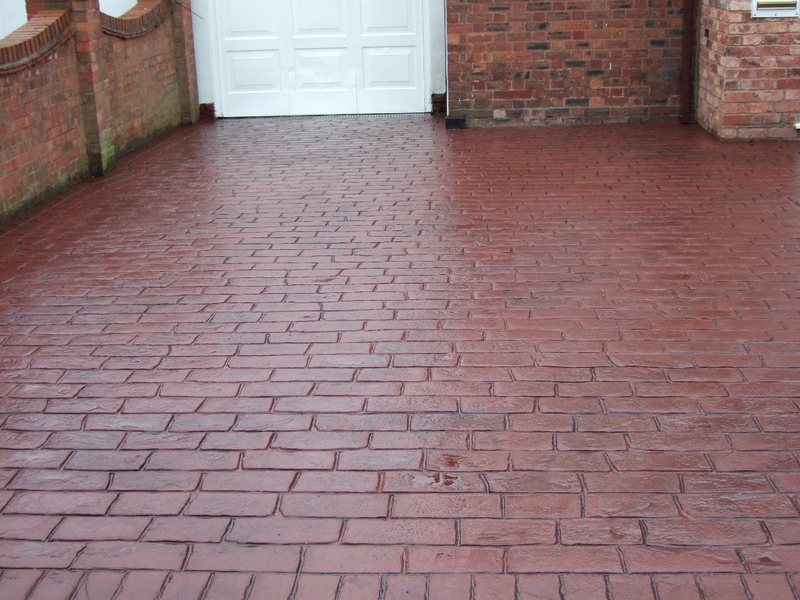 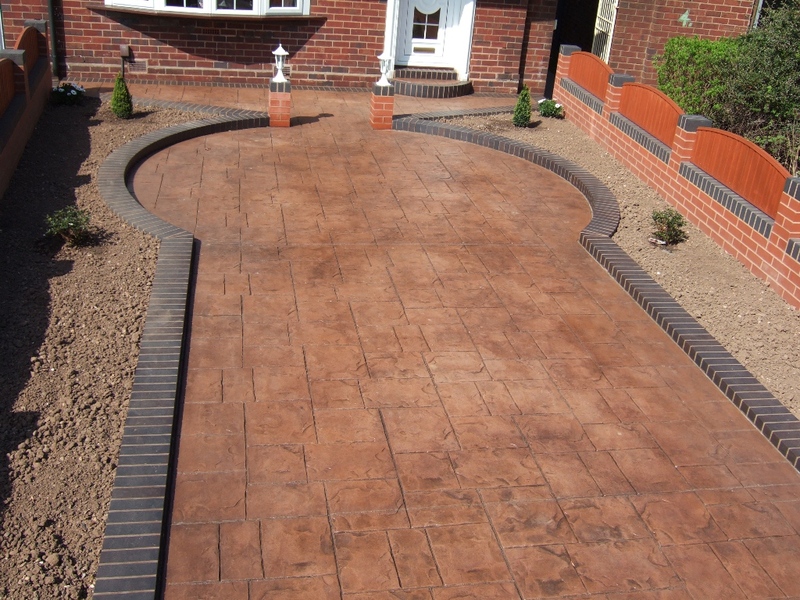 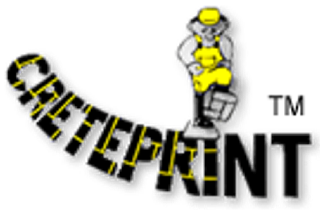 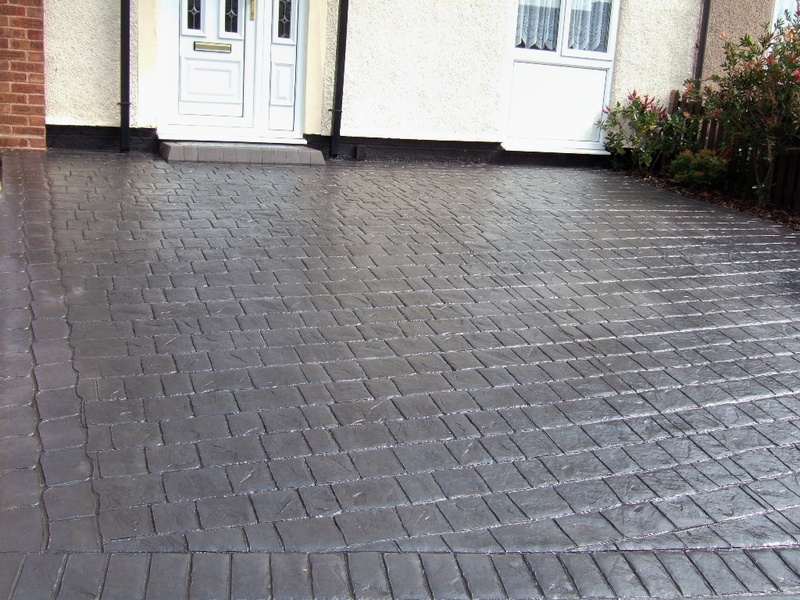 Brownshore Drives are an established business, based in Wolverhampton, and are one the leading driveway and paving contractors in The Midlands, offering our services and expertise to both the commercial and domestic markets. 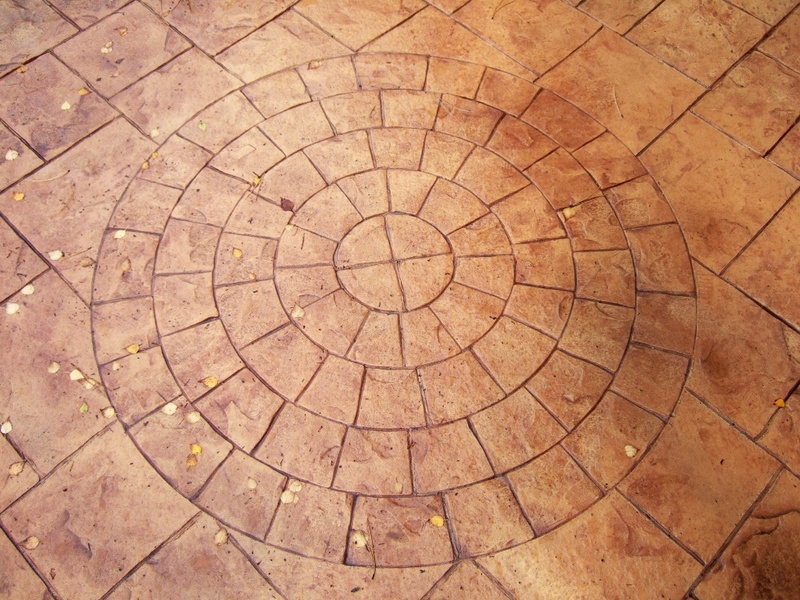 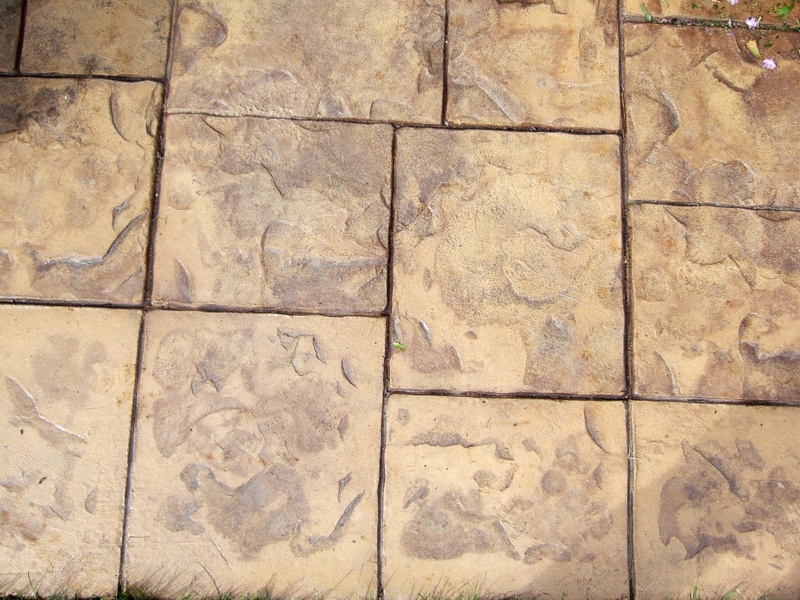 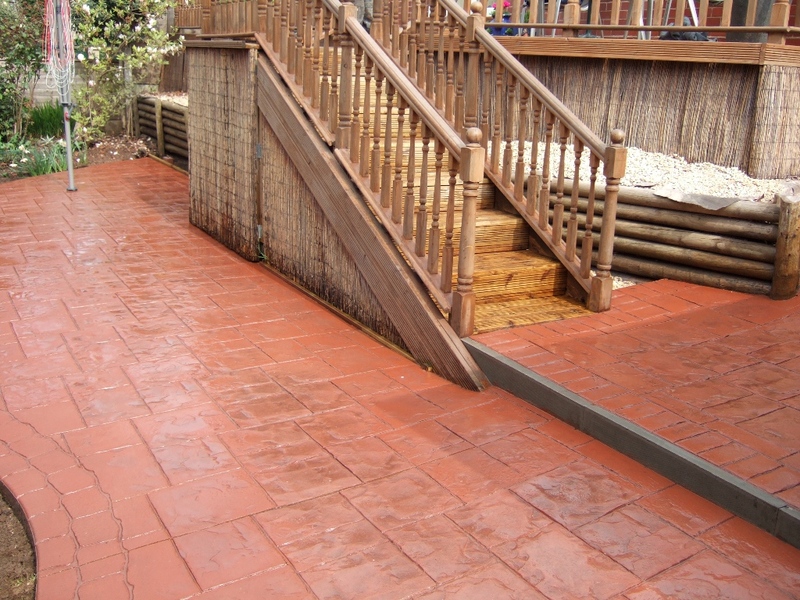 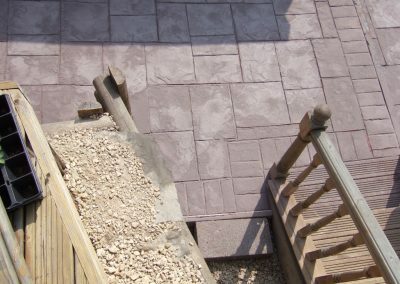 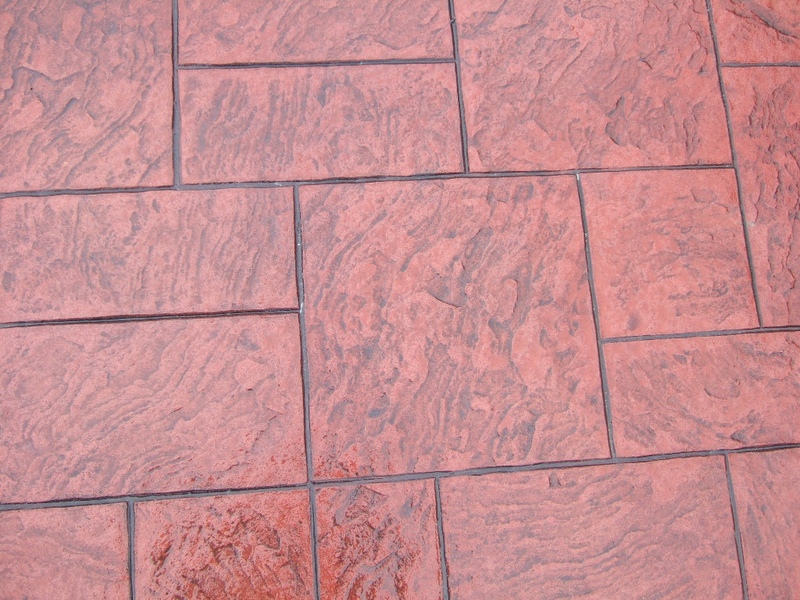 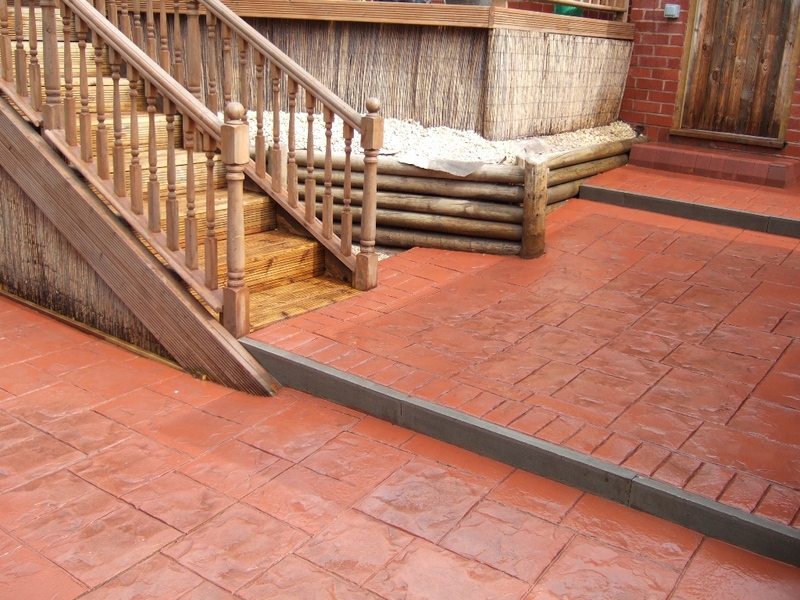 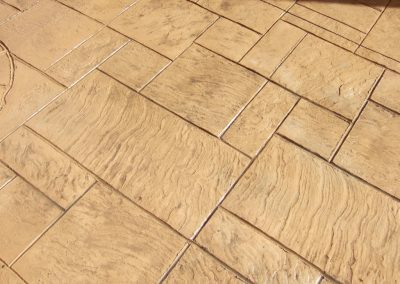 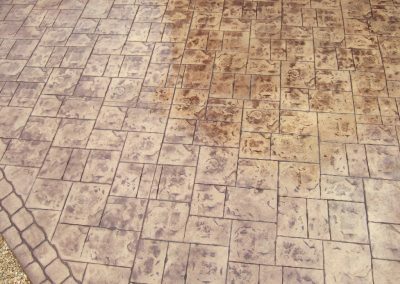 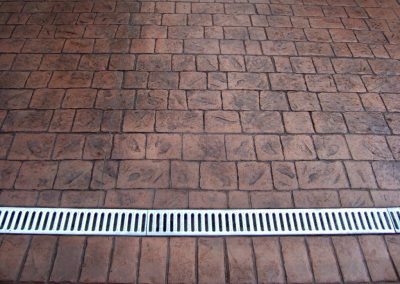 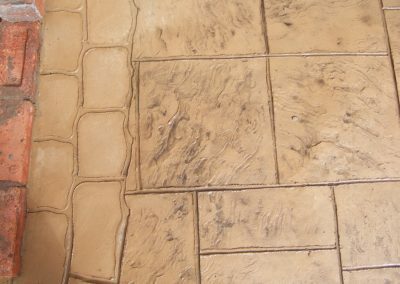 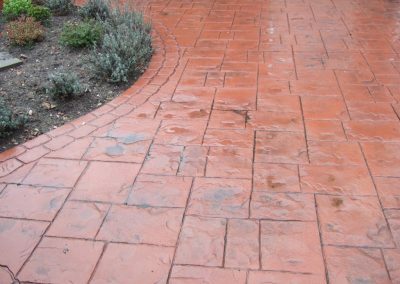 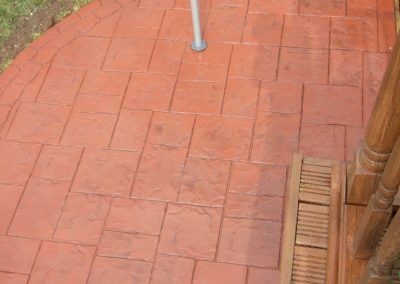 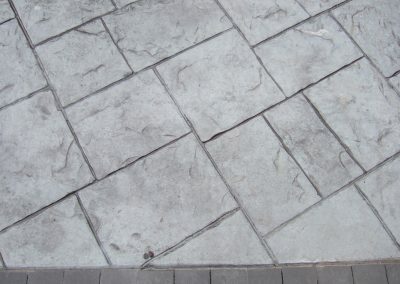 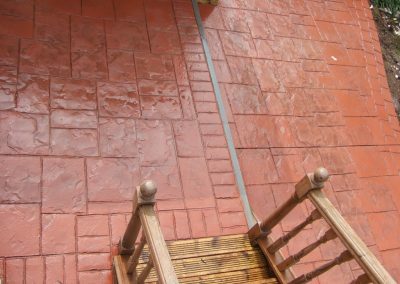 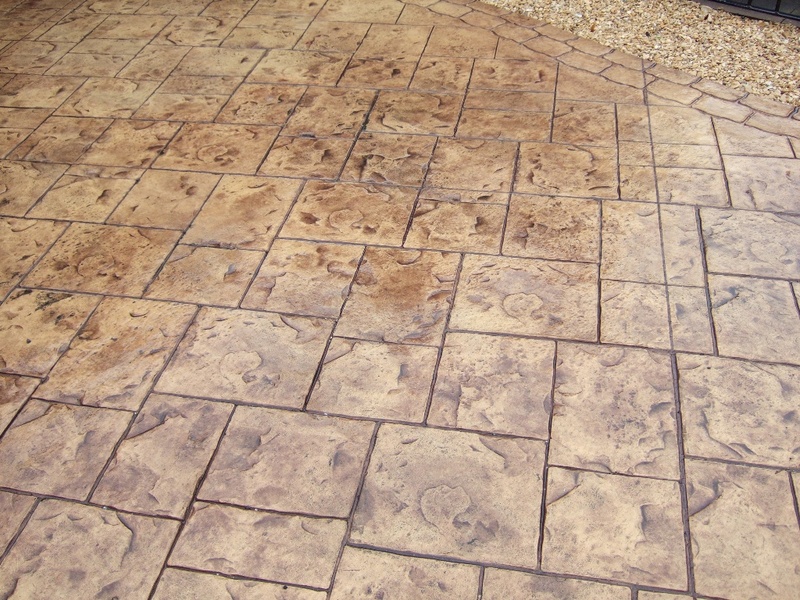 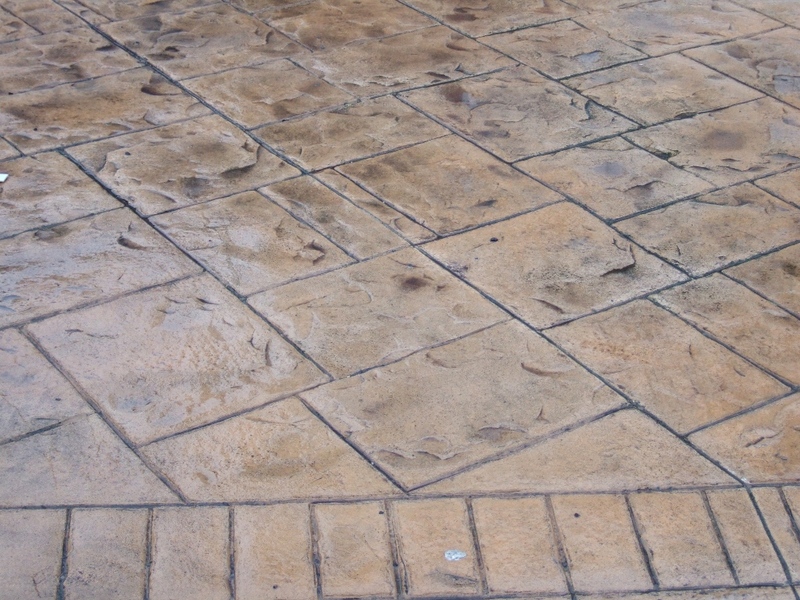 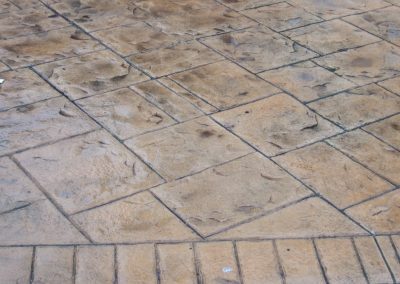 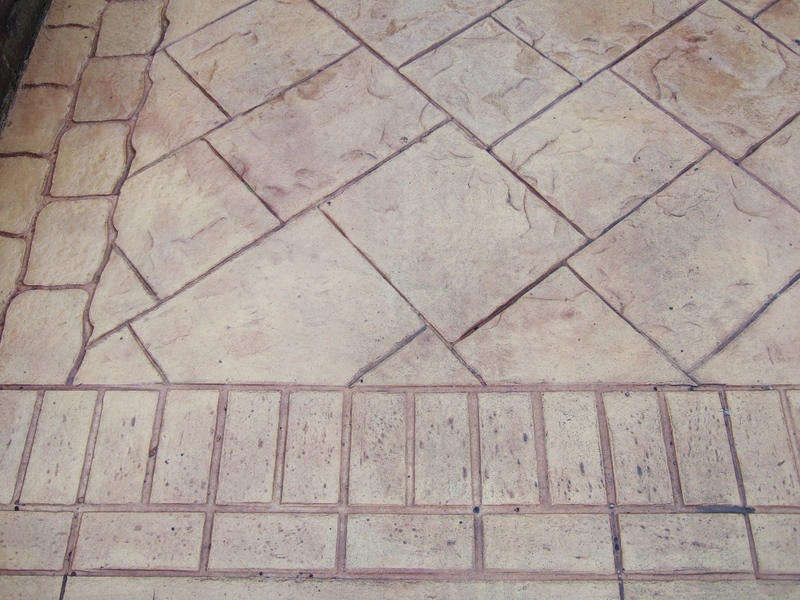 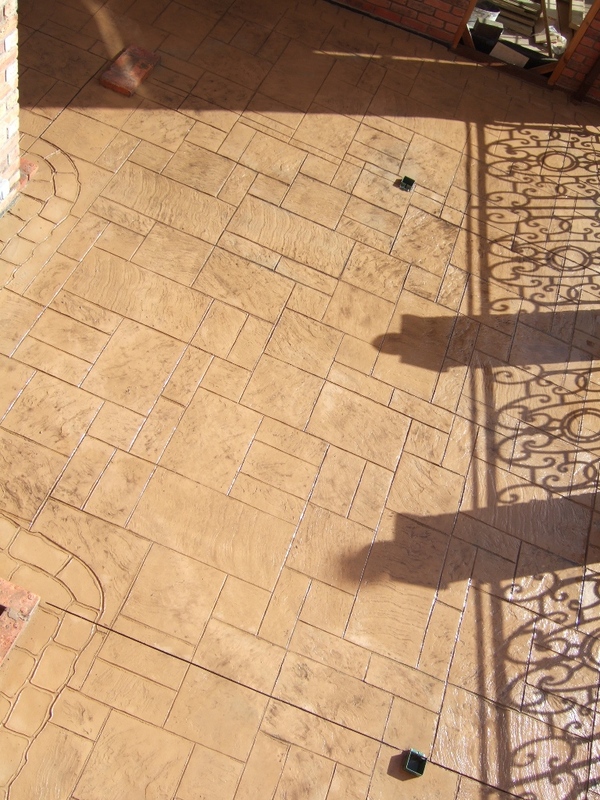 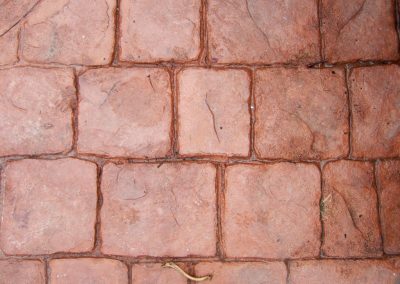 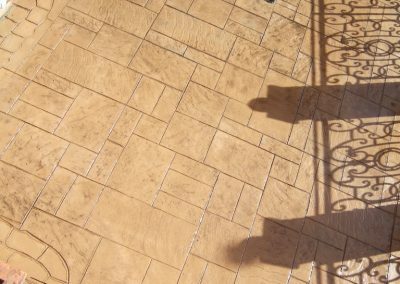 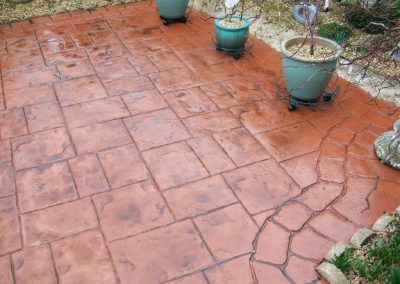 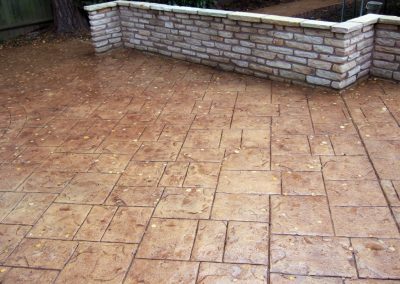 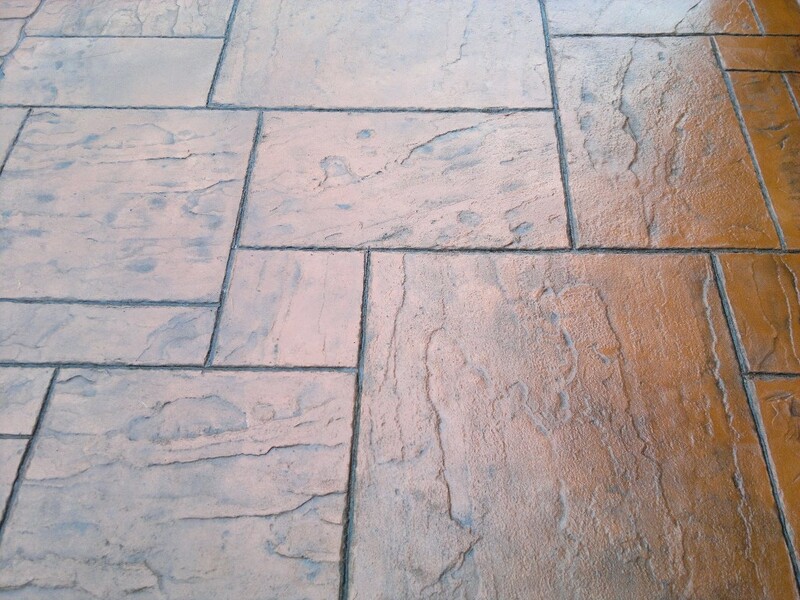 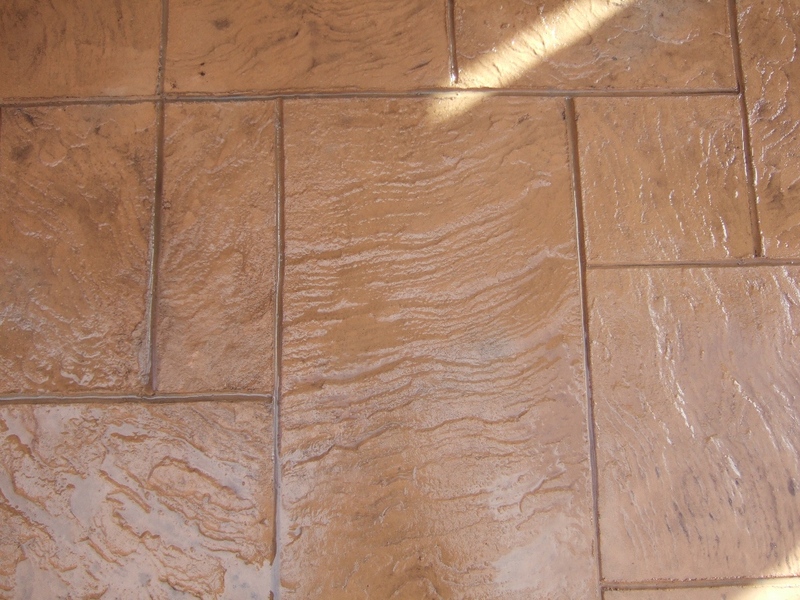 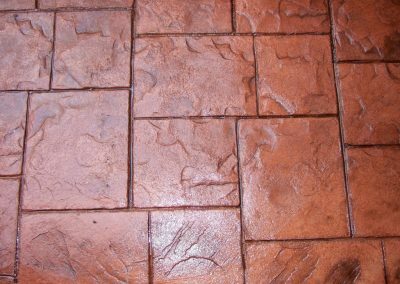 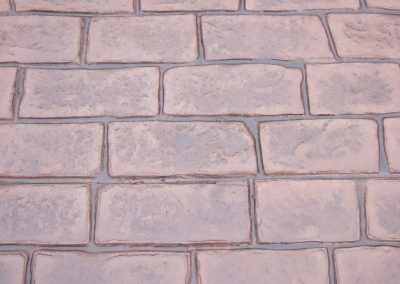 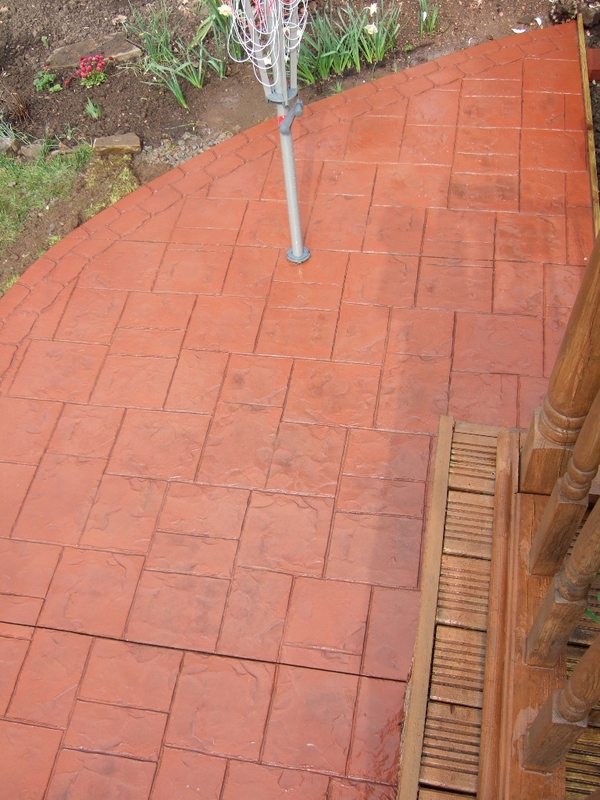 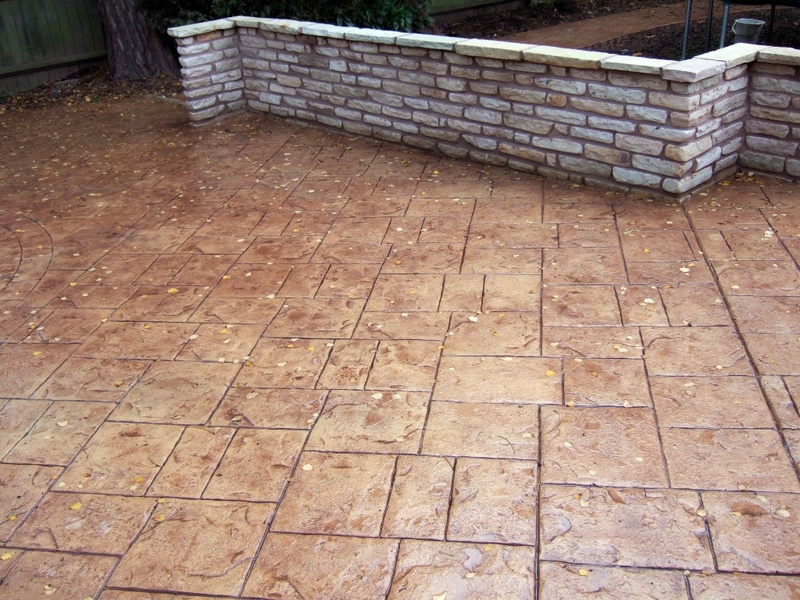 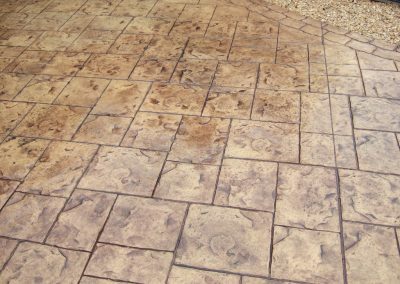 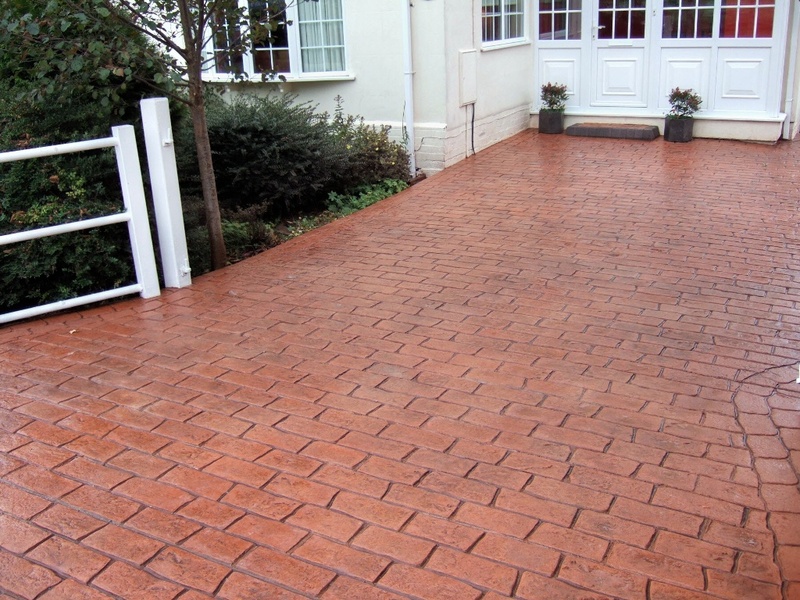 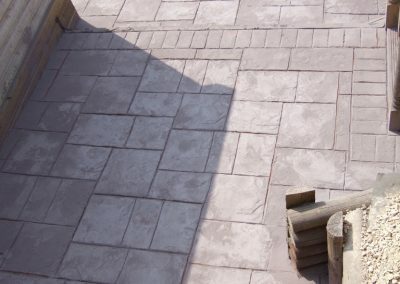 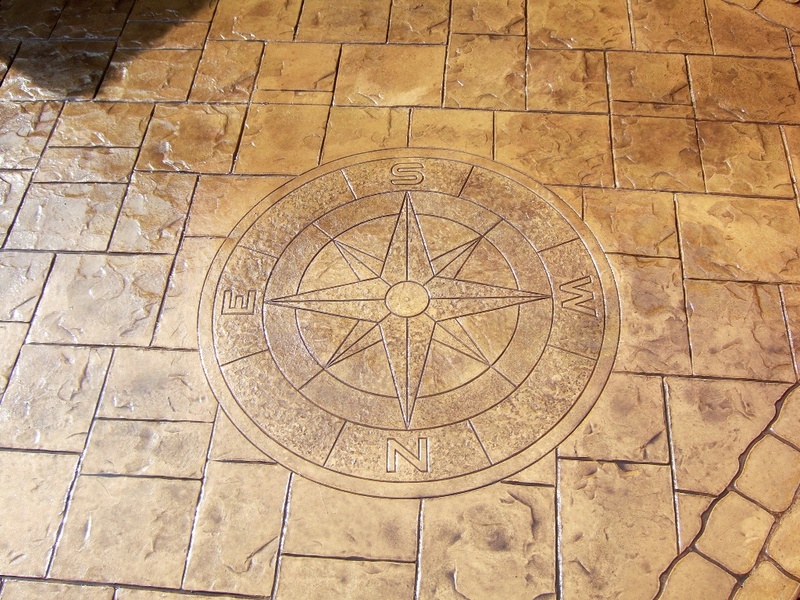 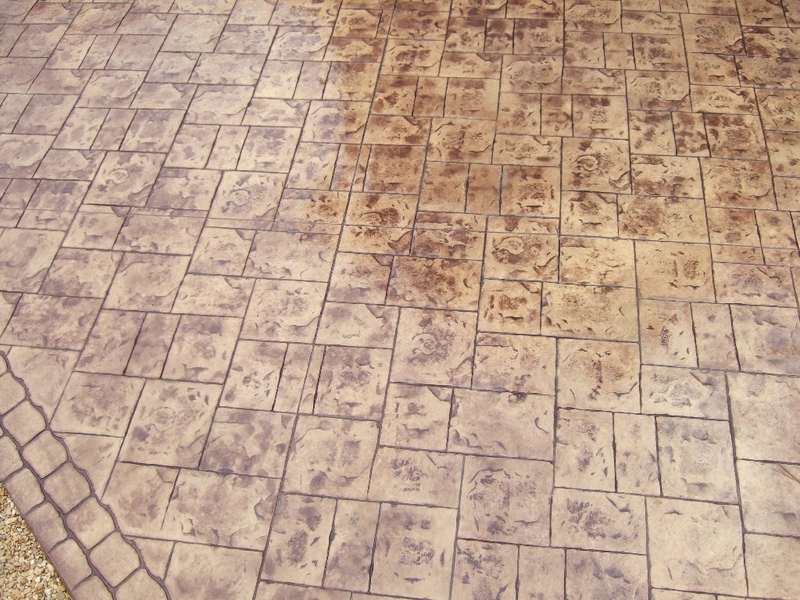 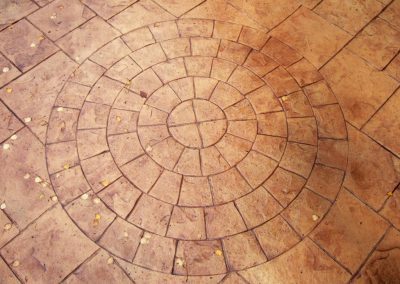 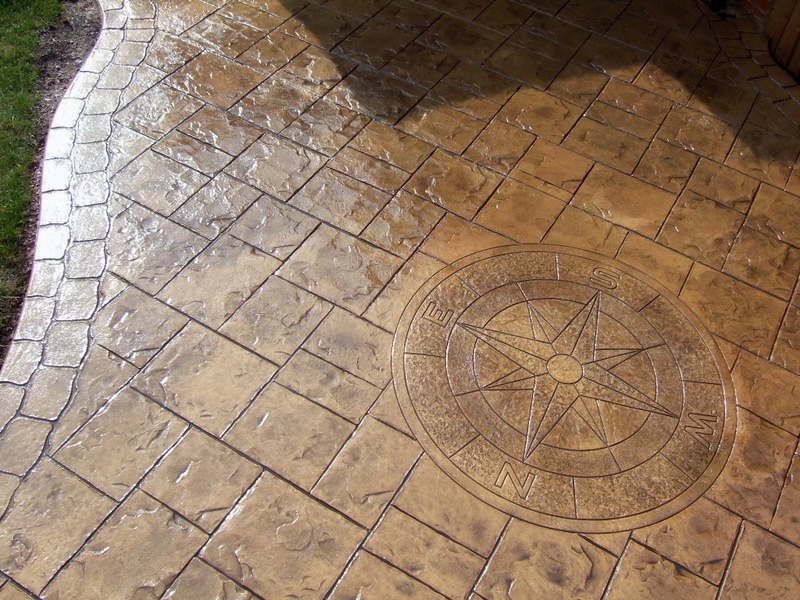 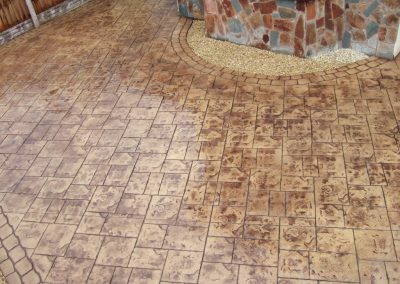 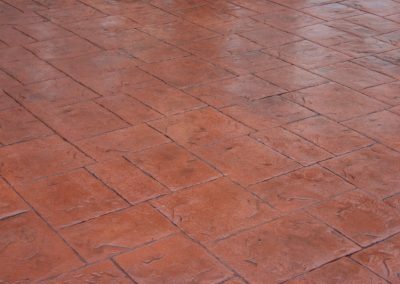 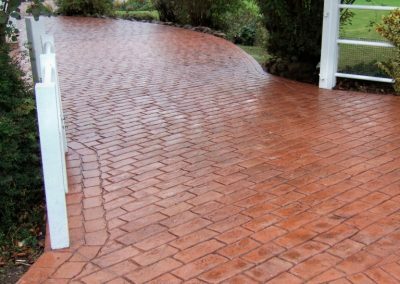 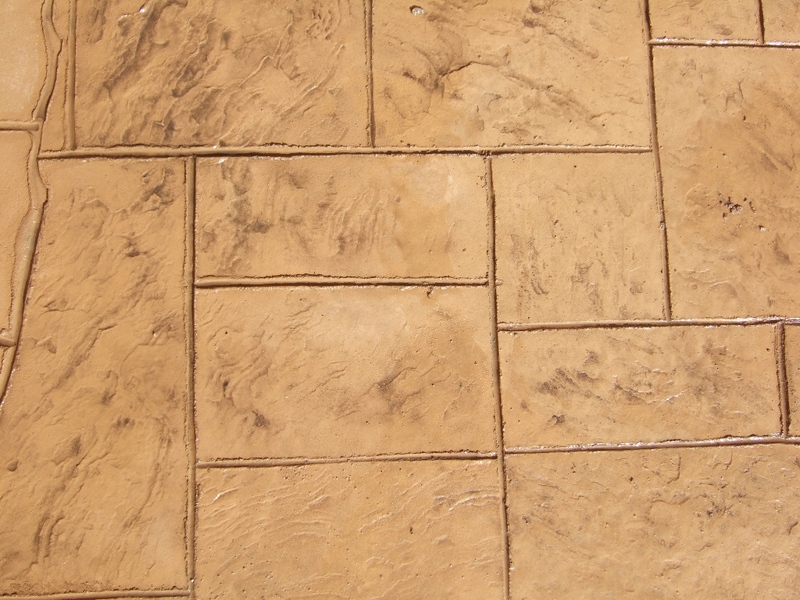 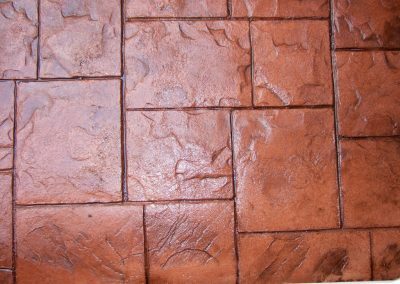 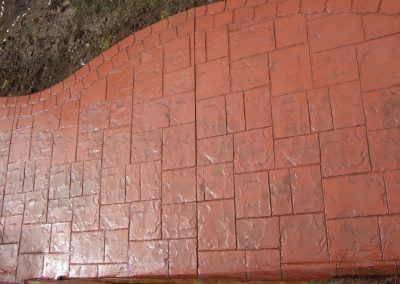 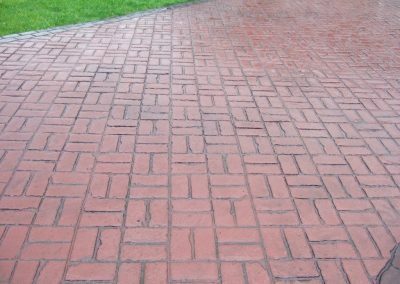 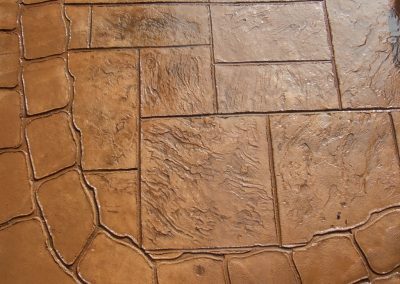 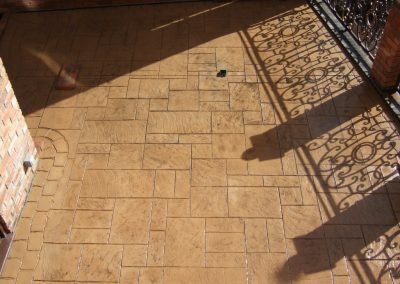 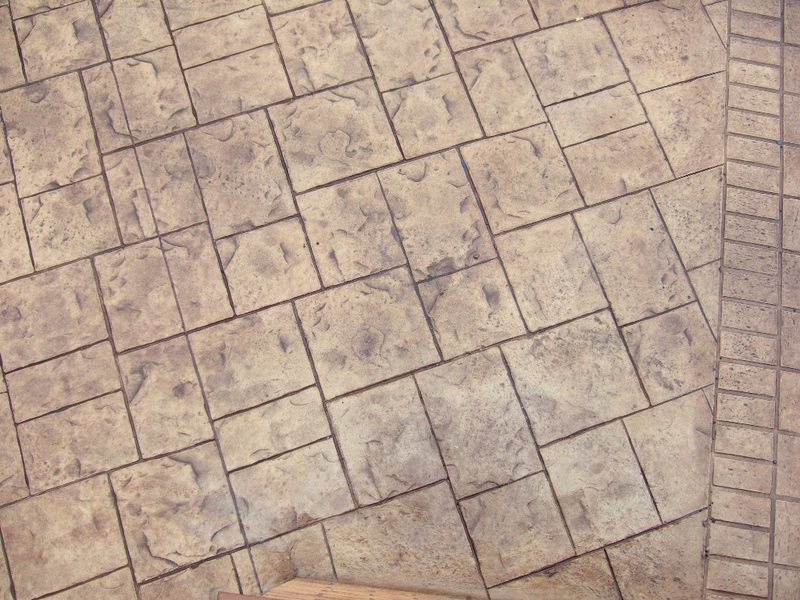 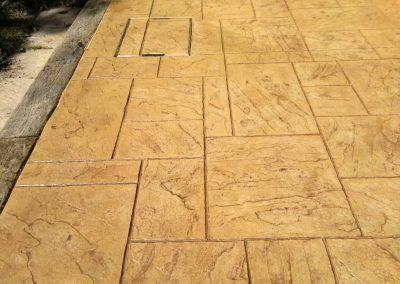 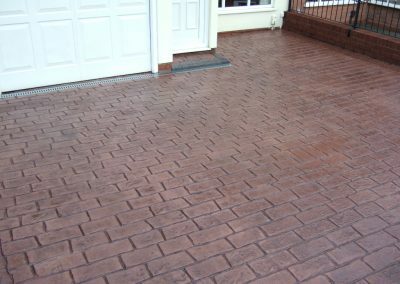 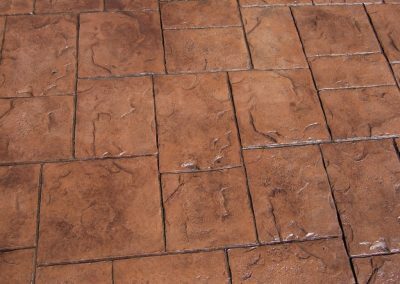 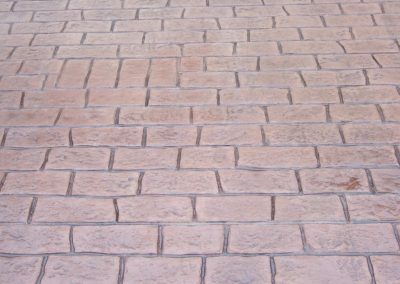 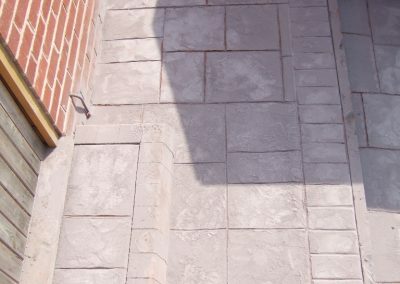 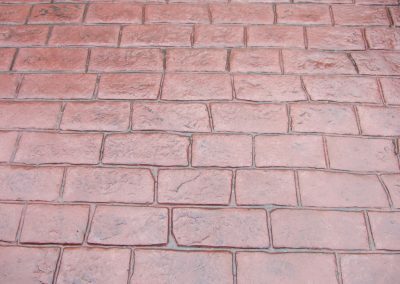 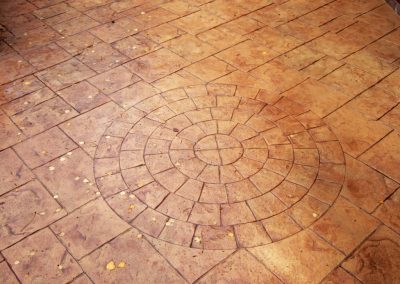 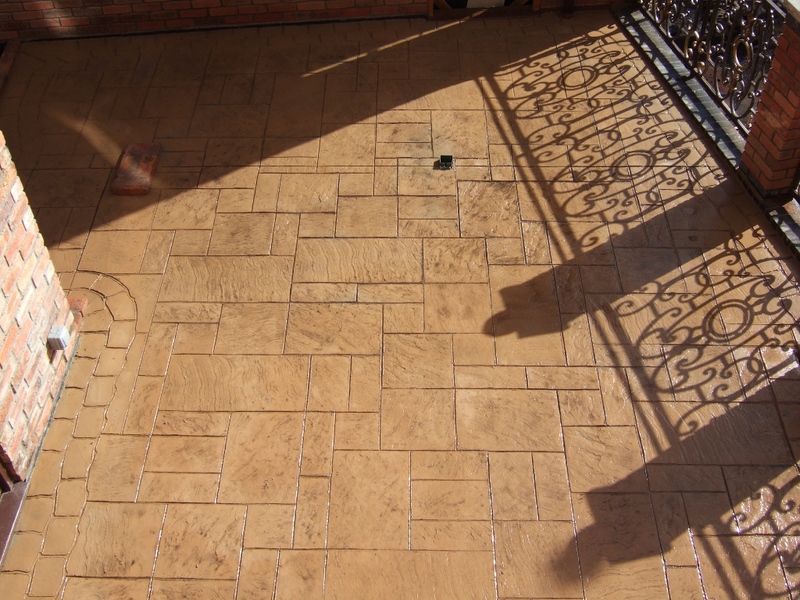 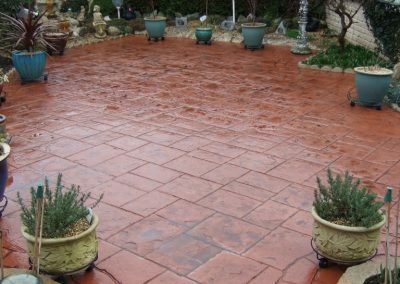 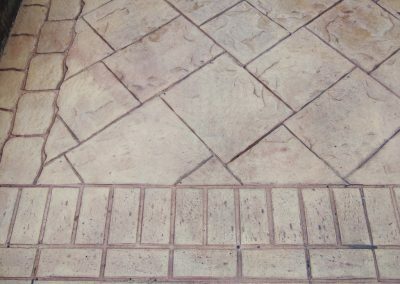 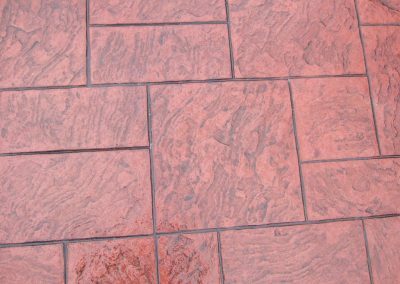 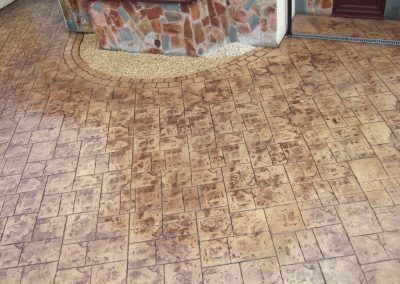 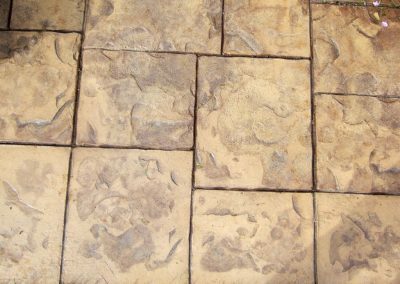 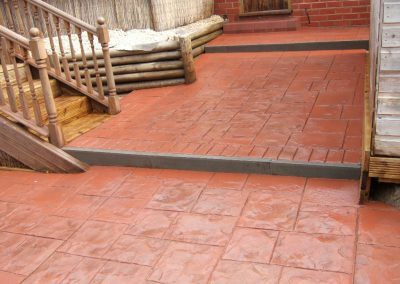 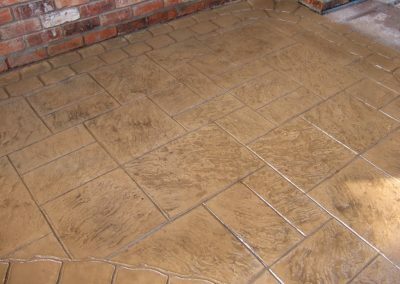 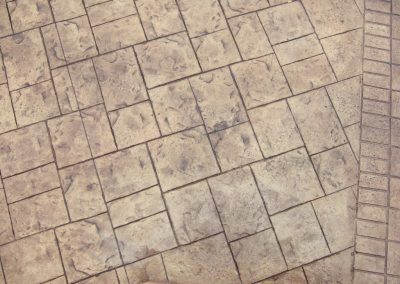 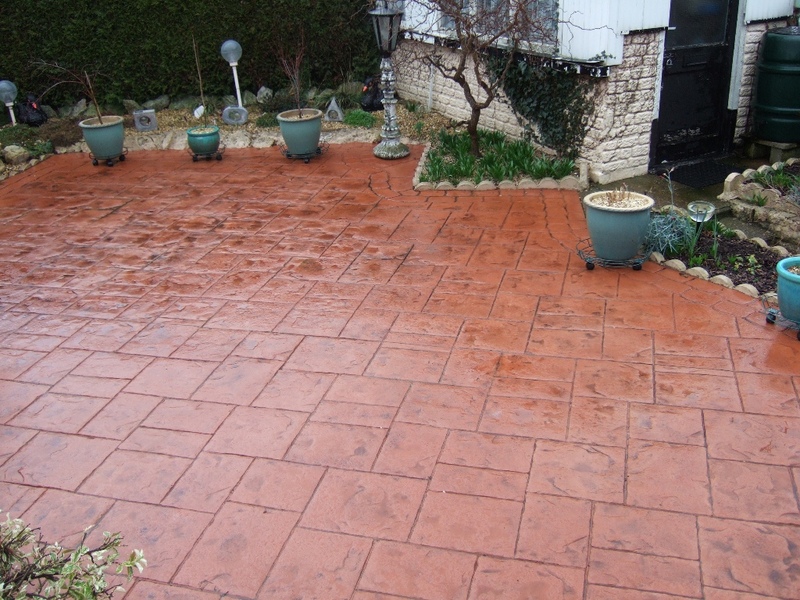 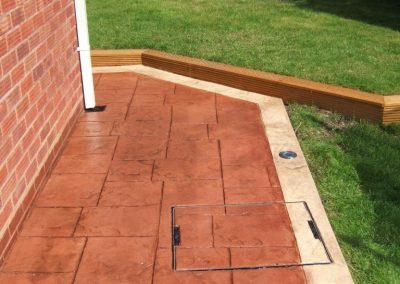 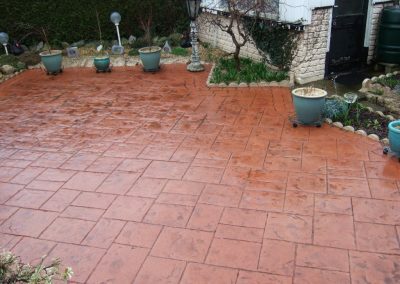 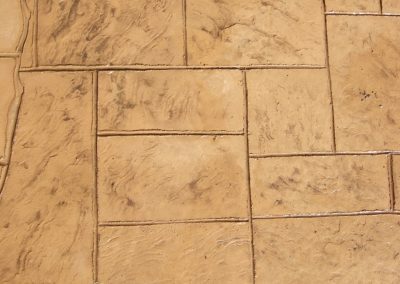 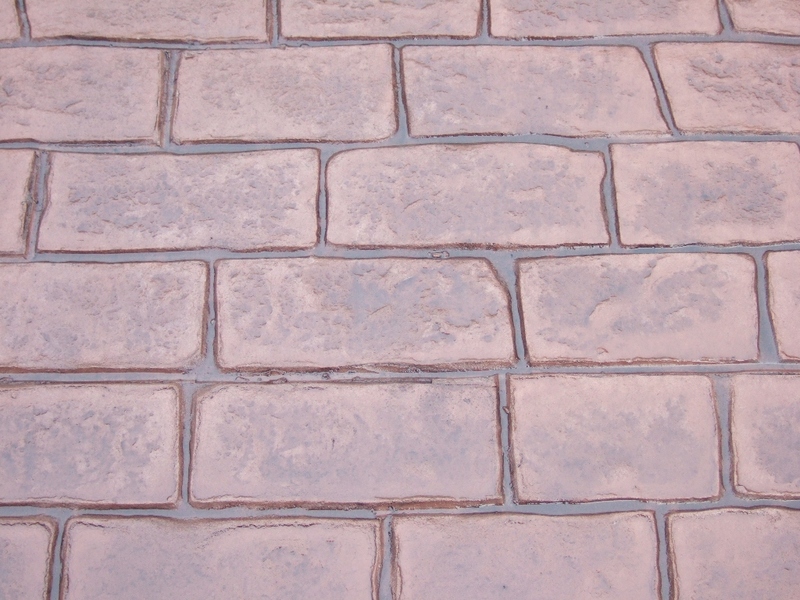 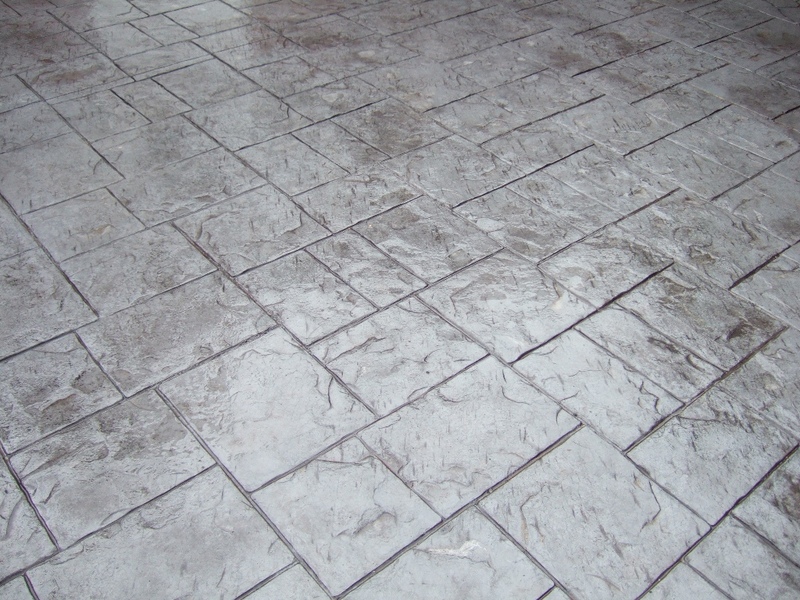 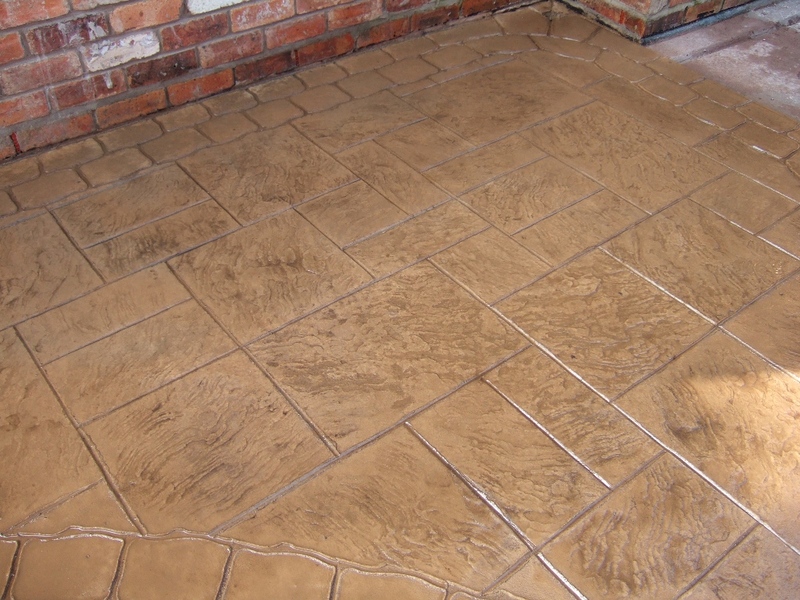 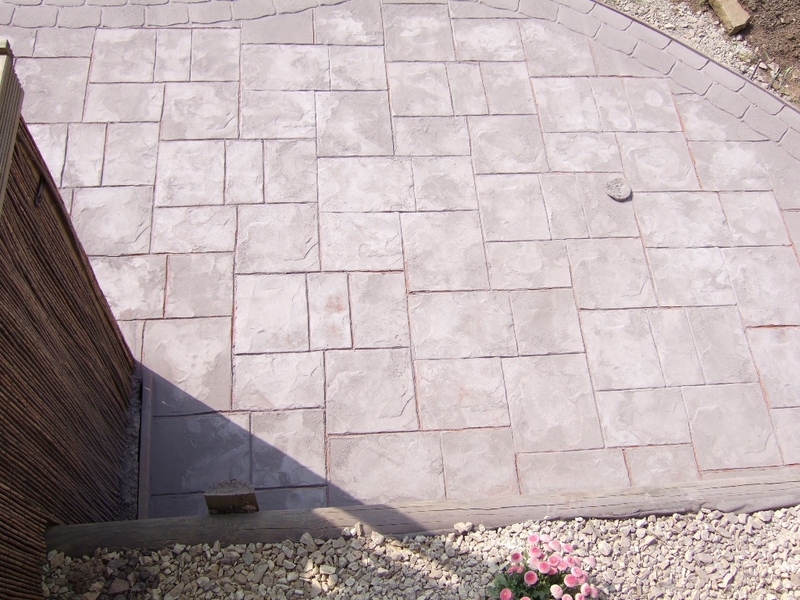 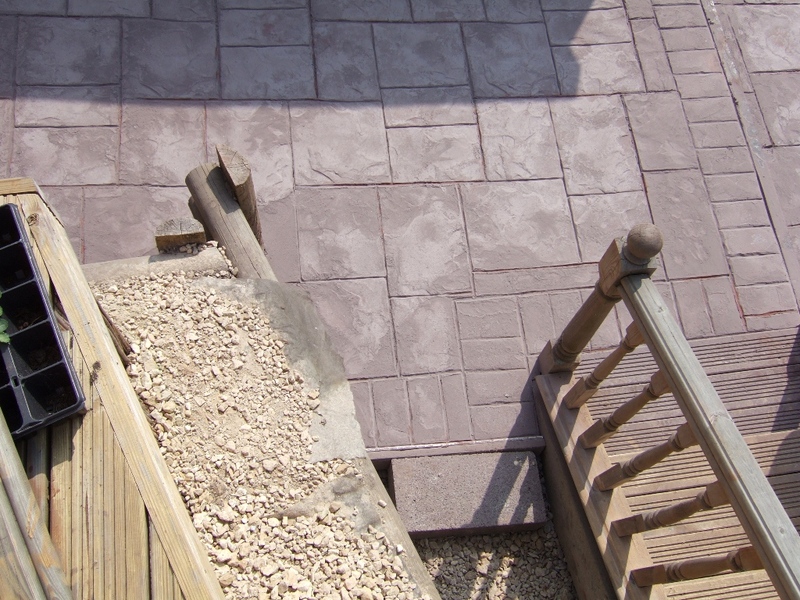 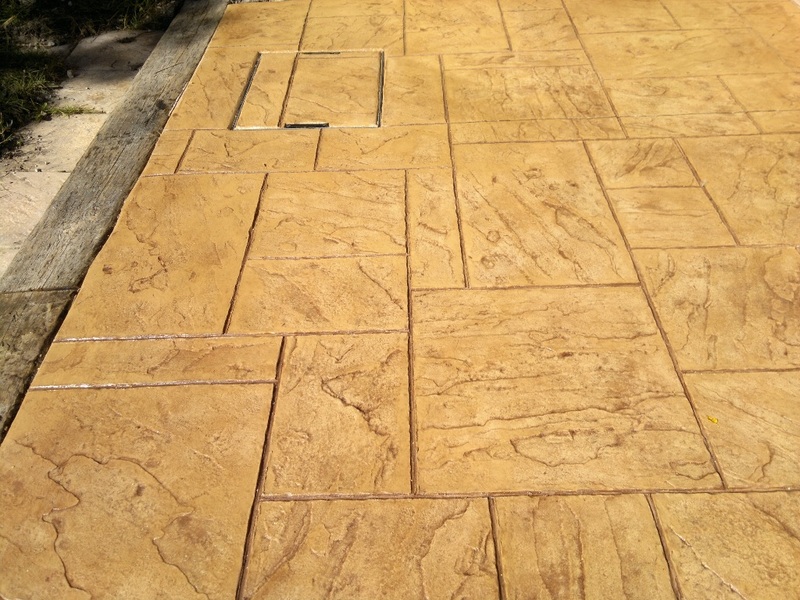 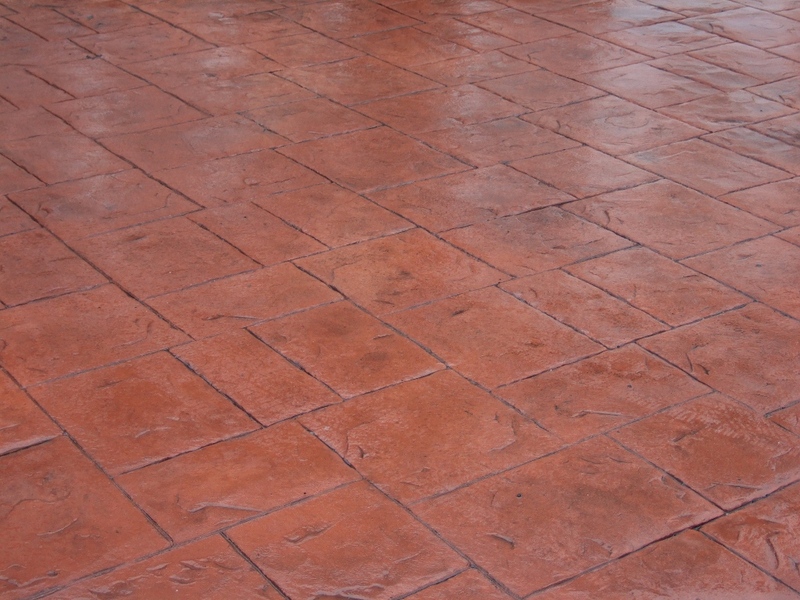 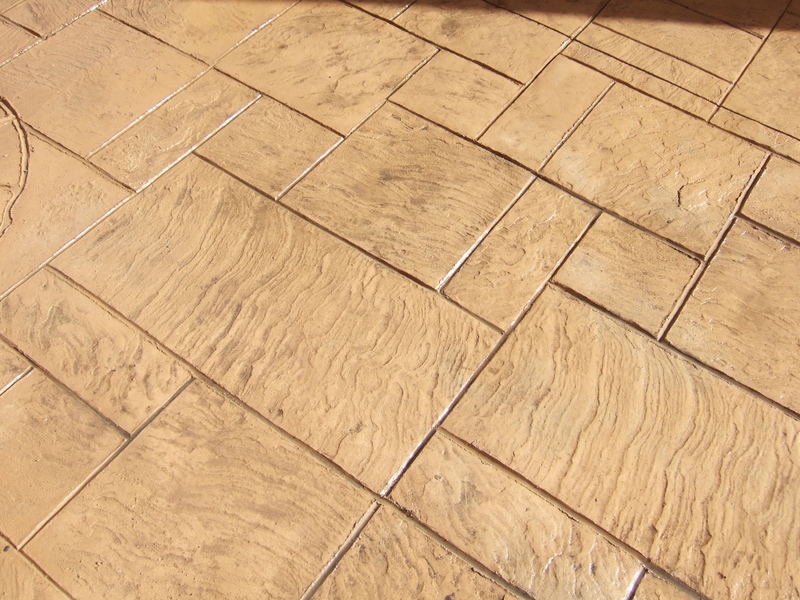 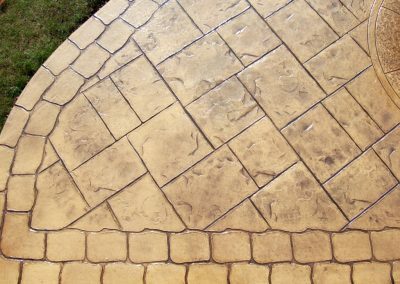 Brownshore Drives understand the importance of protecting the investment you have made in your property by having a decoratively paved driveway or patio installed. 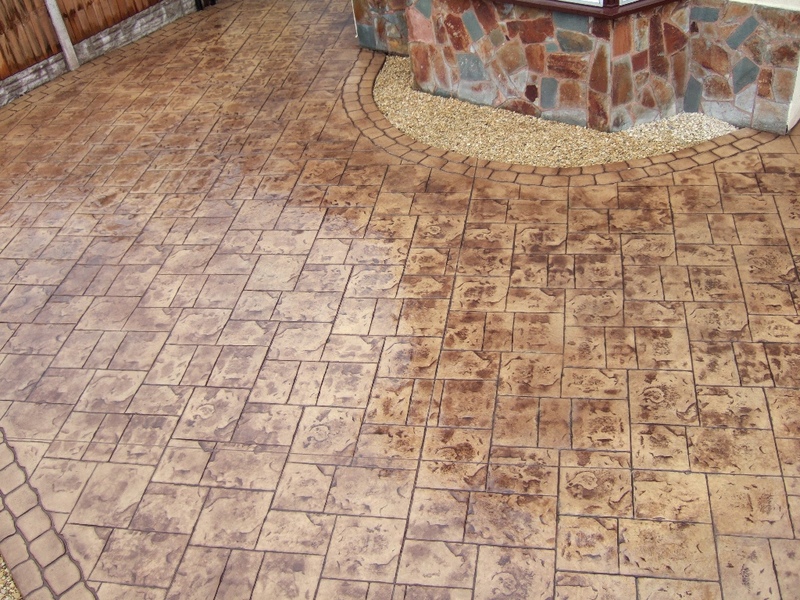 We are here to help you maintain that investment and ensure that your property looks its best at all times. 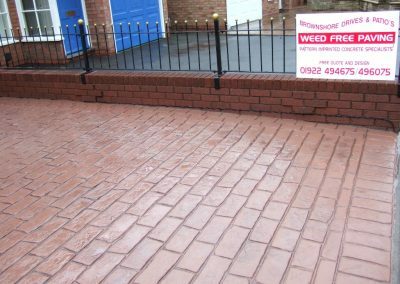 When you deal with Brownshore Drives you can be sure of support from a solid organisation with invaluable experience in the market place. 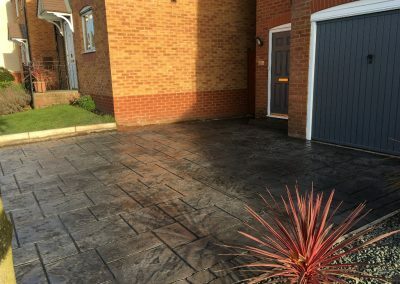 We bring the same level of service, professionalism and knowledge to your domestic property as we give to all our demanding commercial contracts. 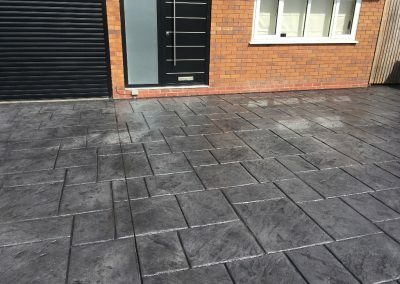 Our customers have been our testimony toward the success of our company and with a high level of referrals and repeat business, Brownshore Drives will endeavour to retain it’s reputation for offering the most competitive, professional and personal service around. 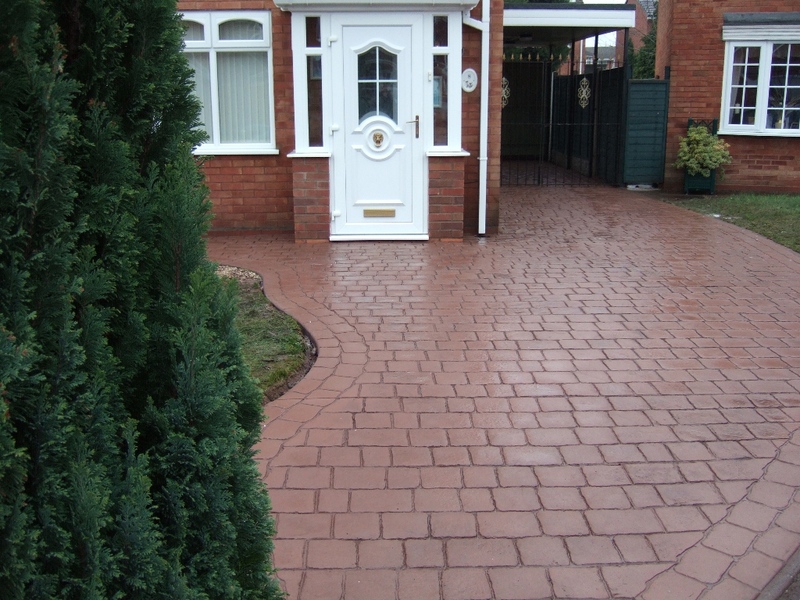 Brownshore Drives offer a wide array of styles, designs and colours. 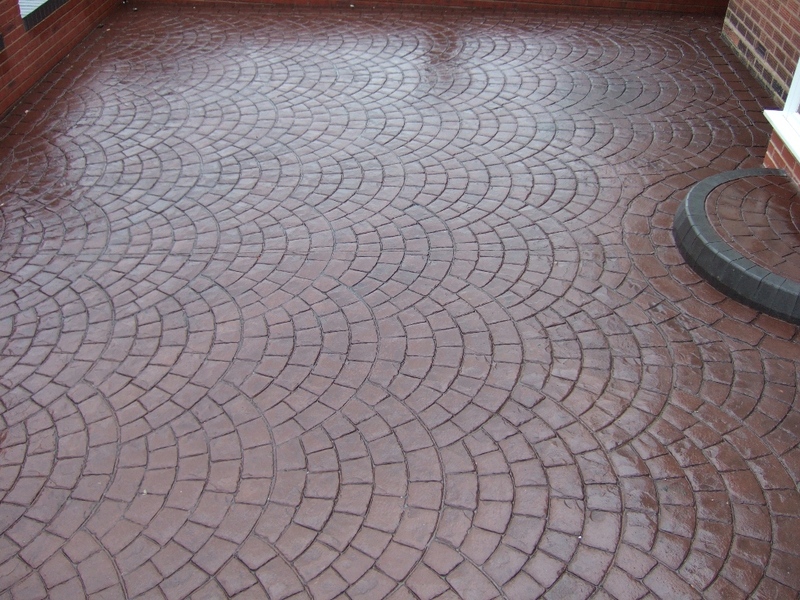 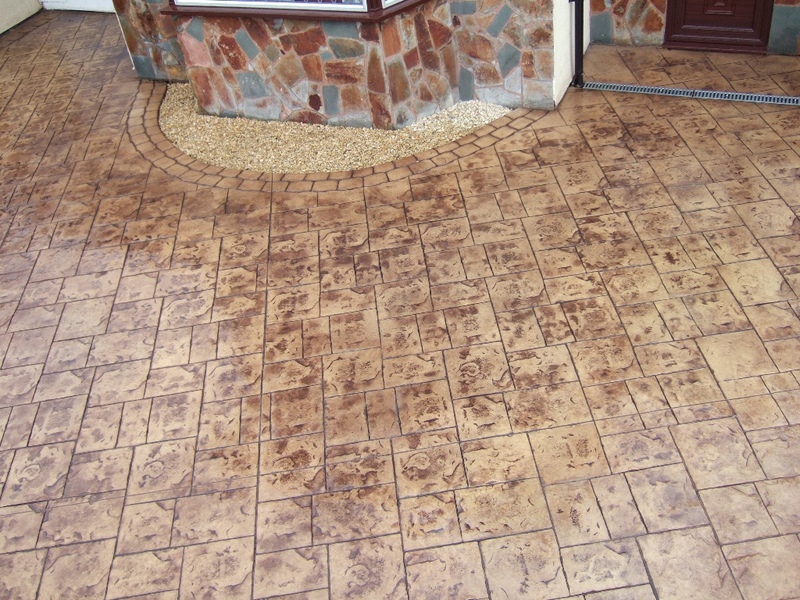 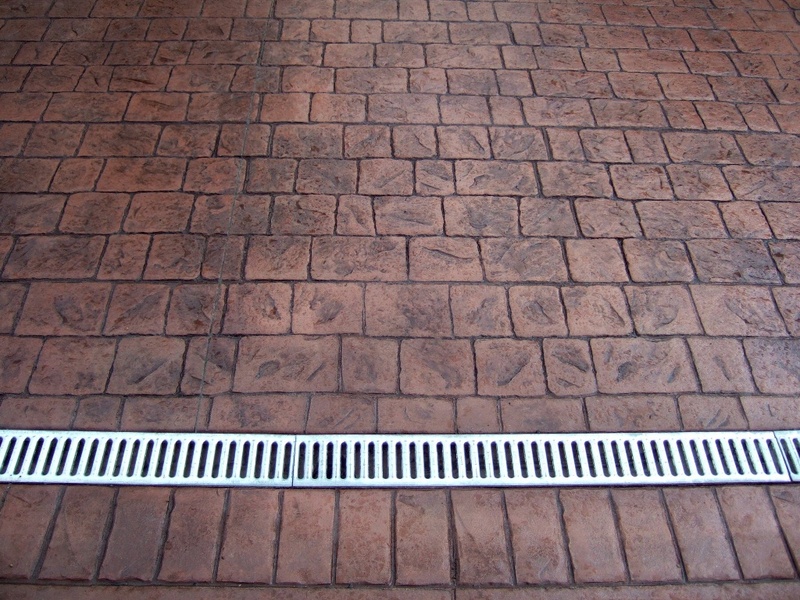 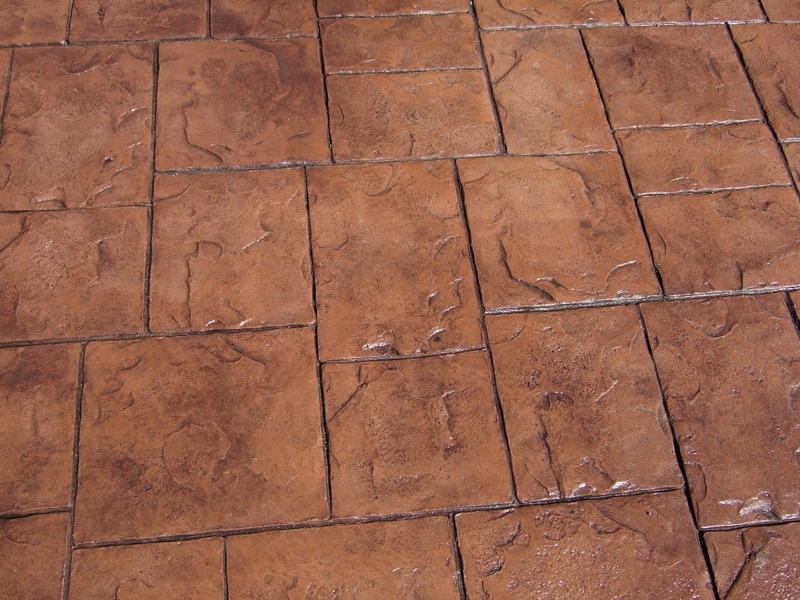 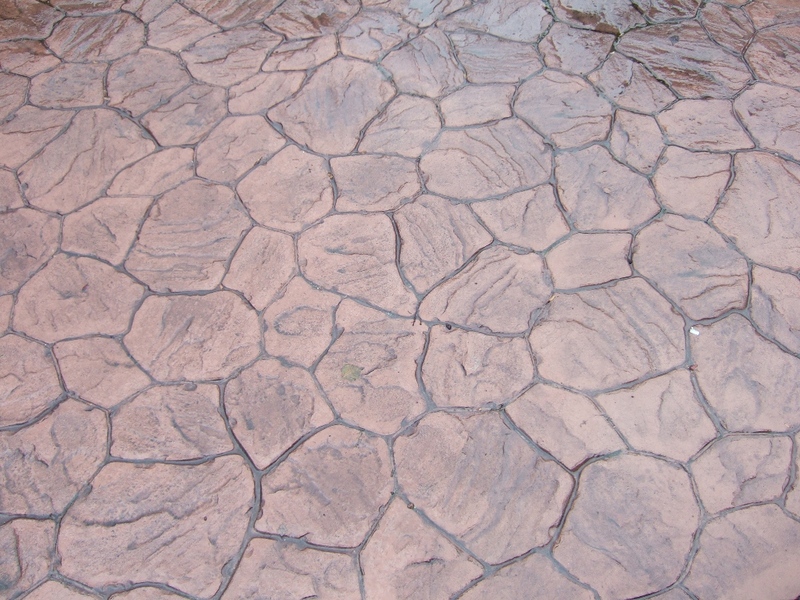 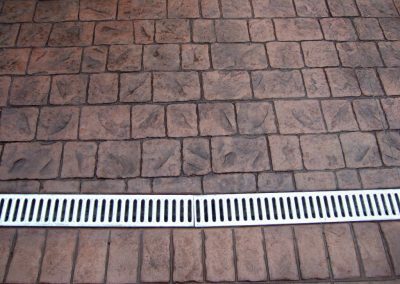 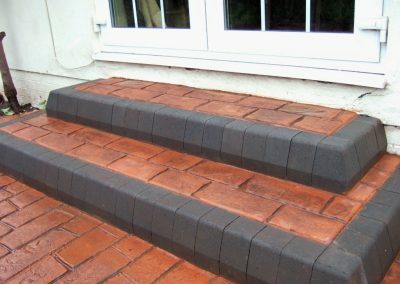 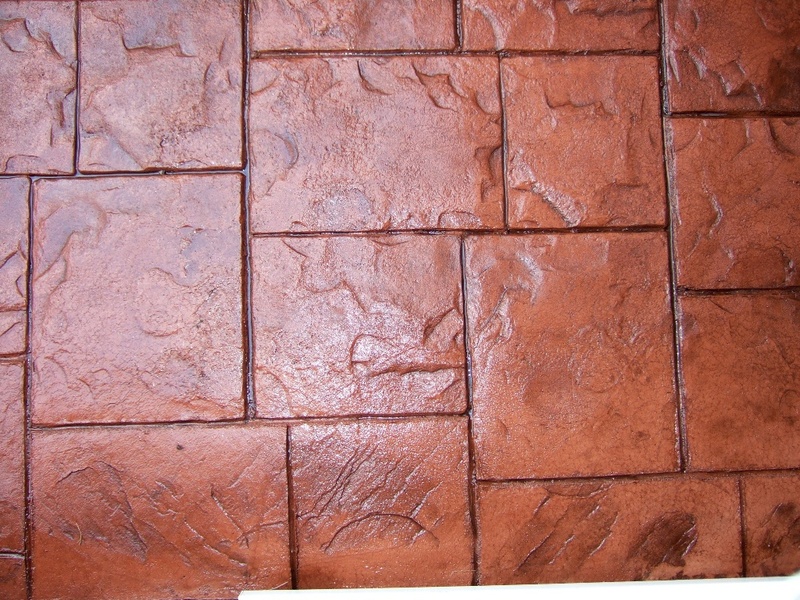 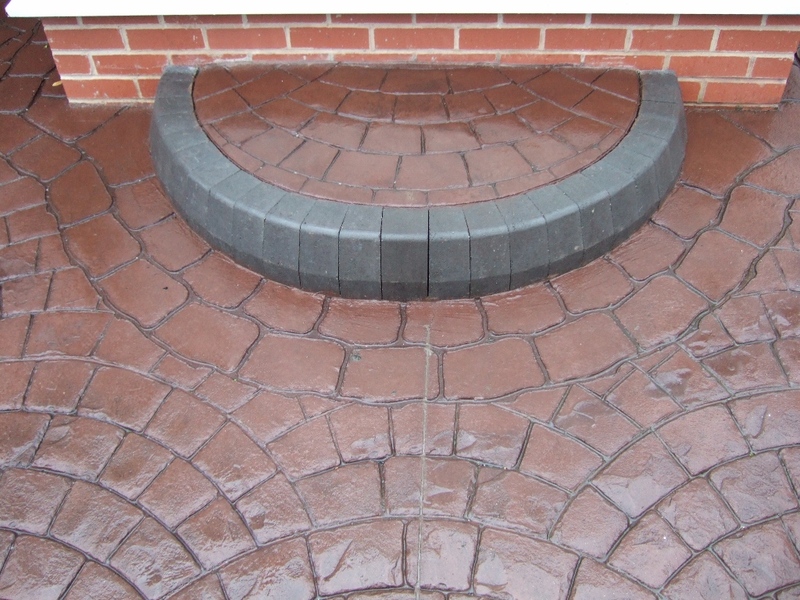 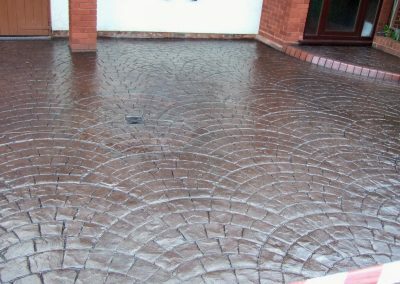 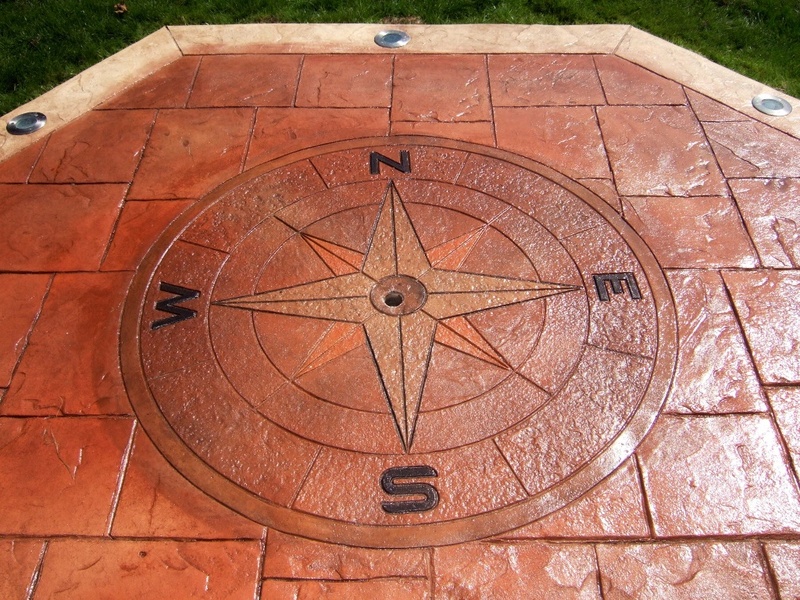 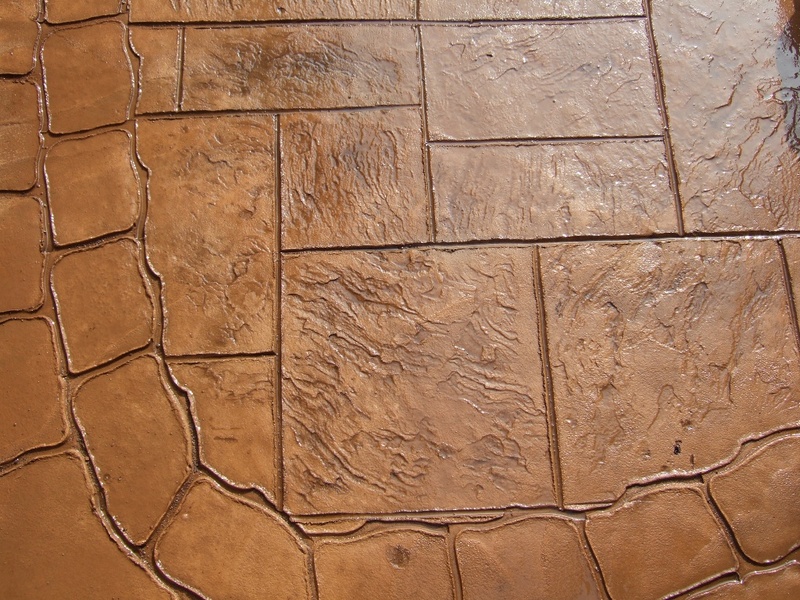 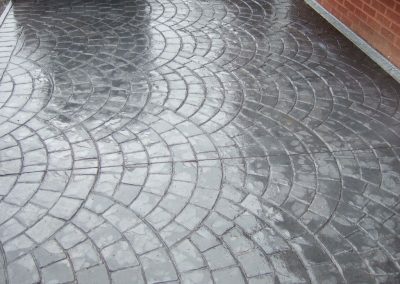 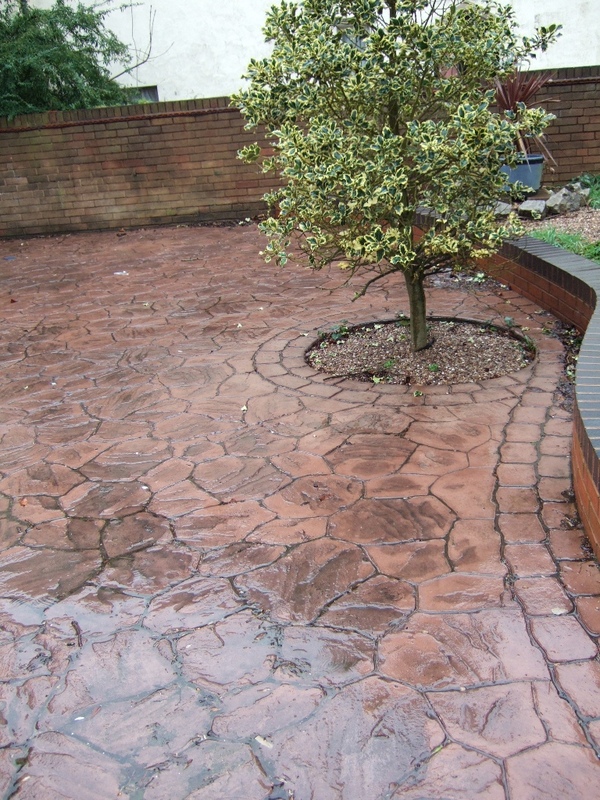 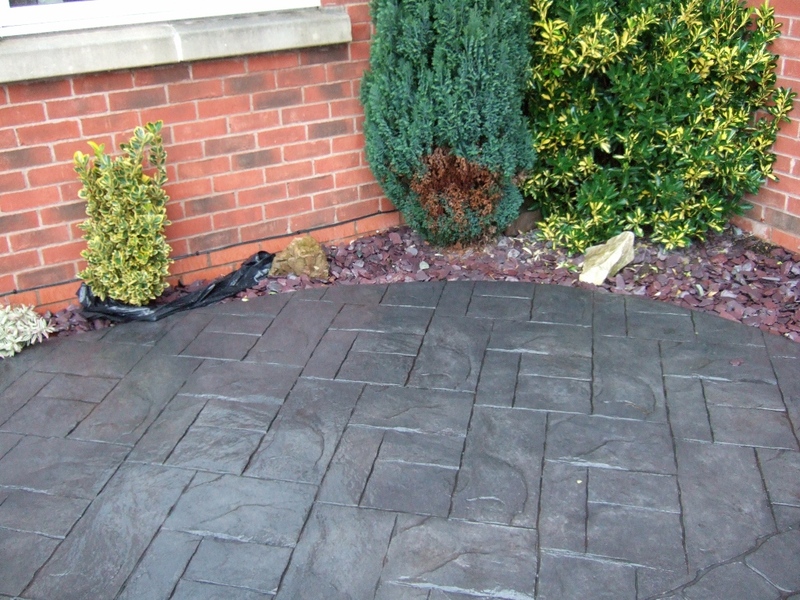 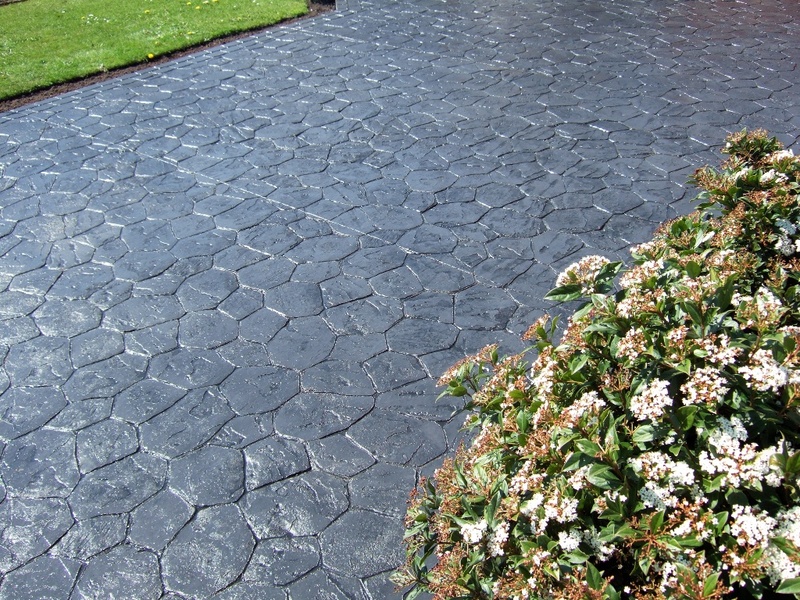 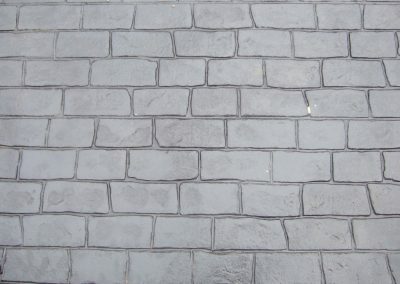 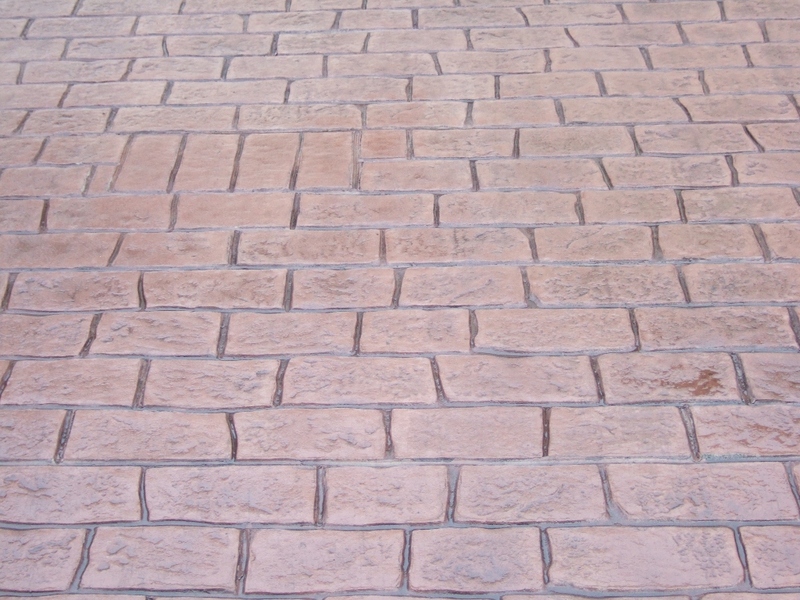 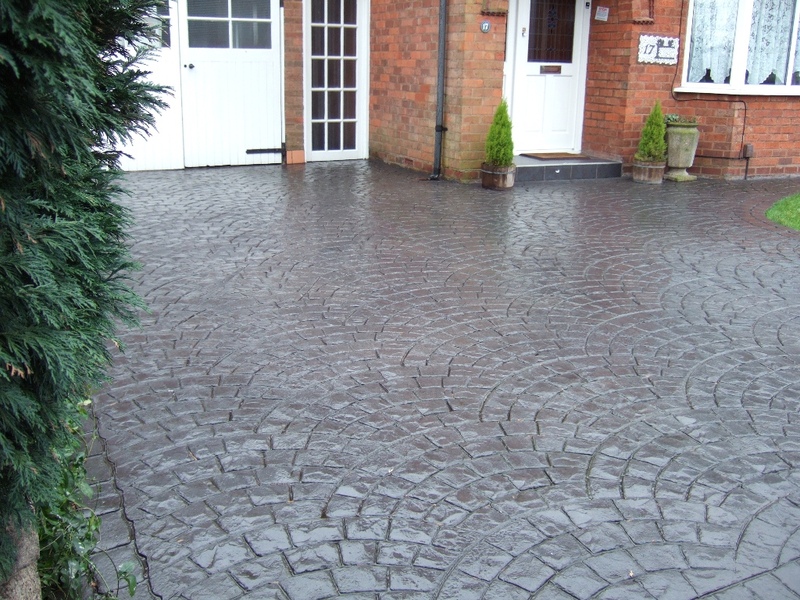 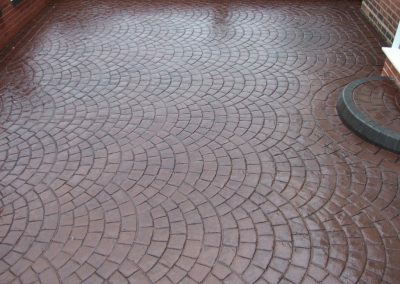 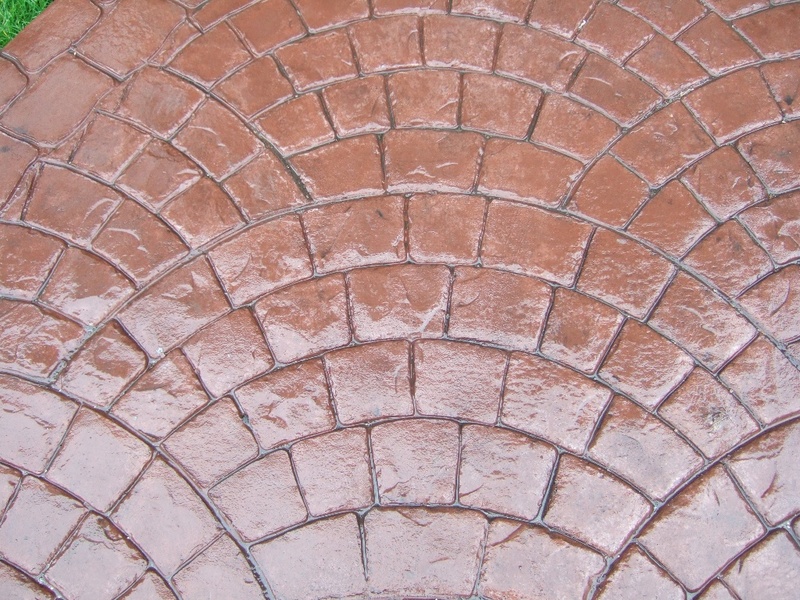 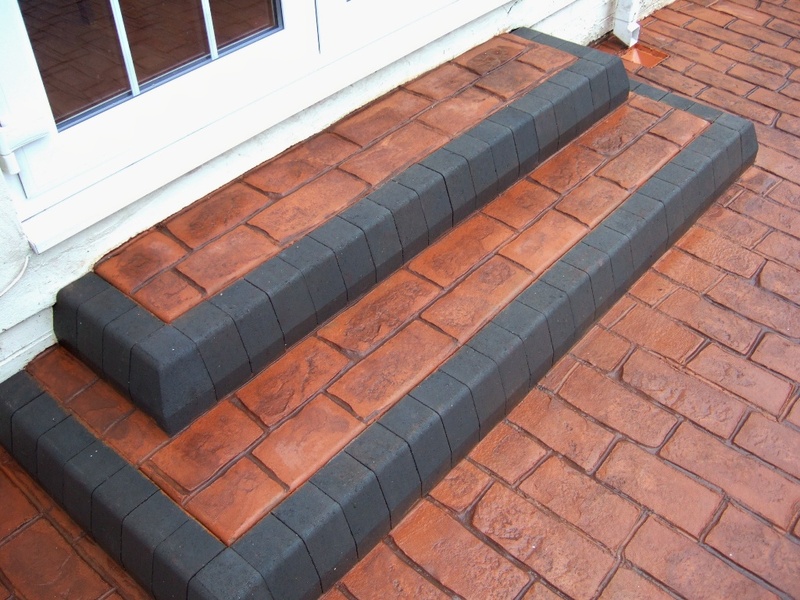 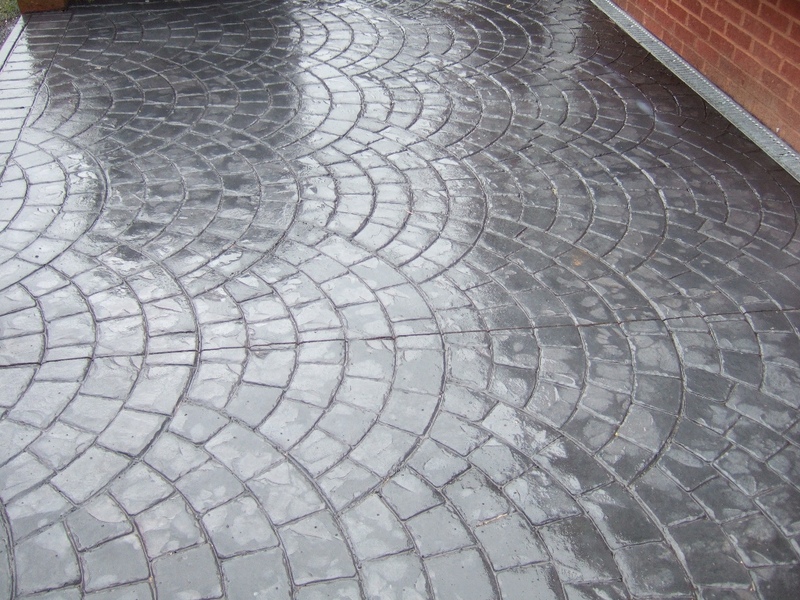 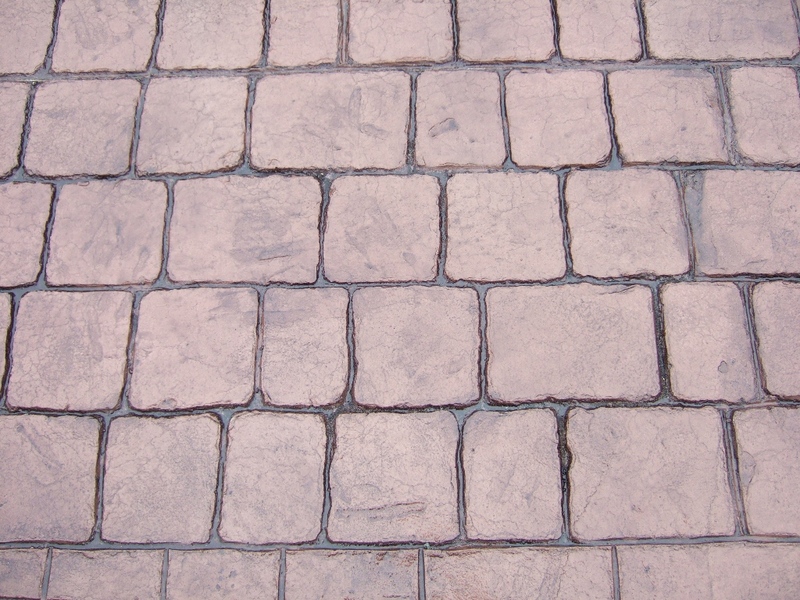 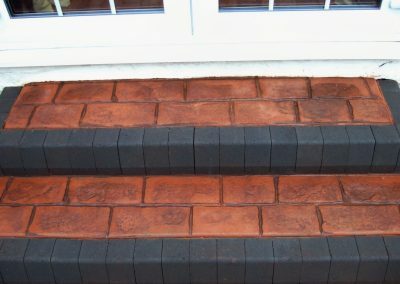 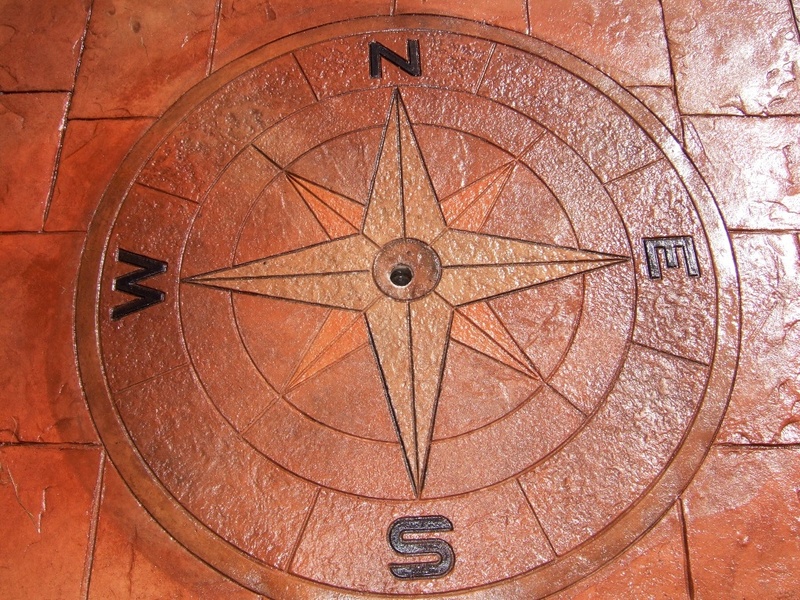 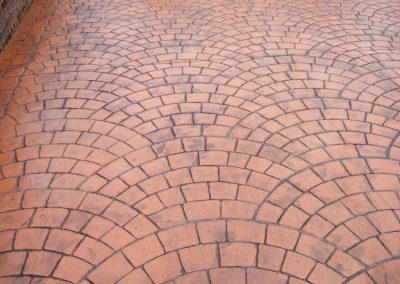 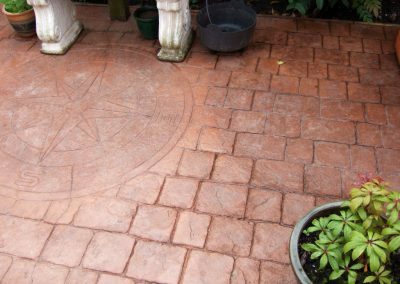 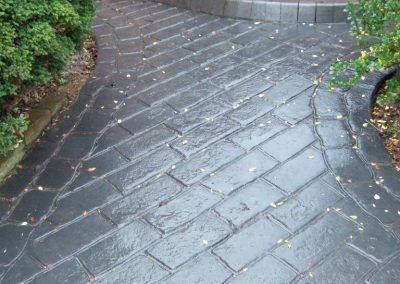 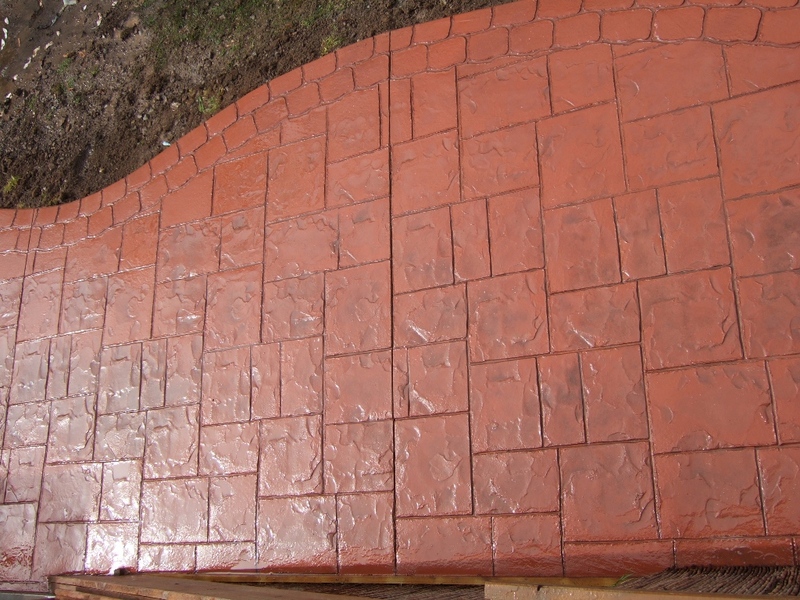 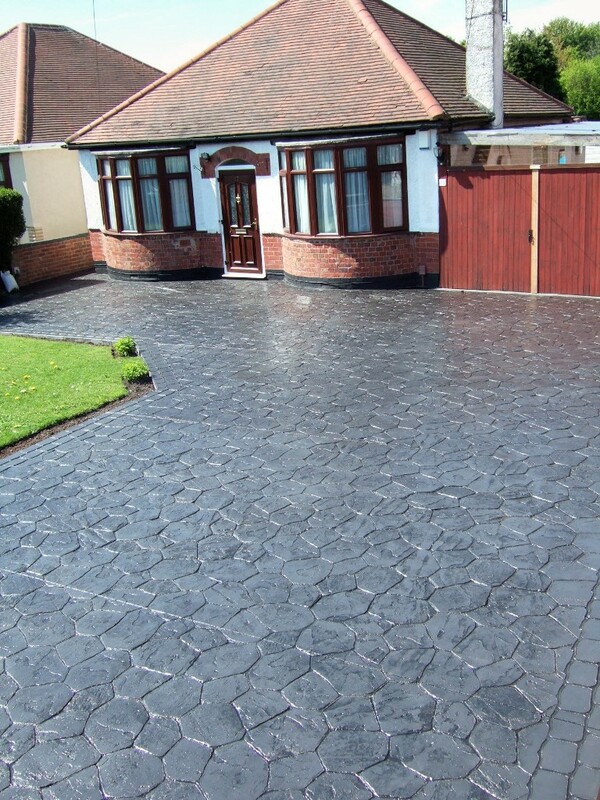 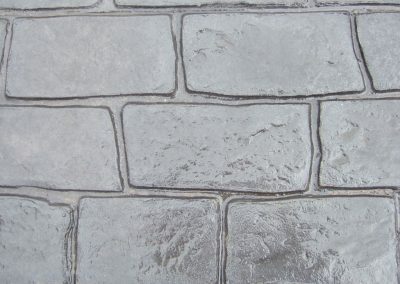 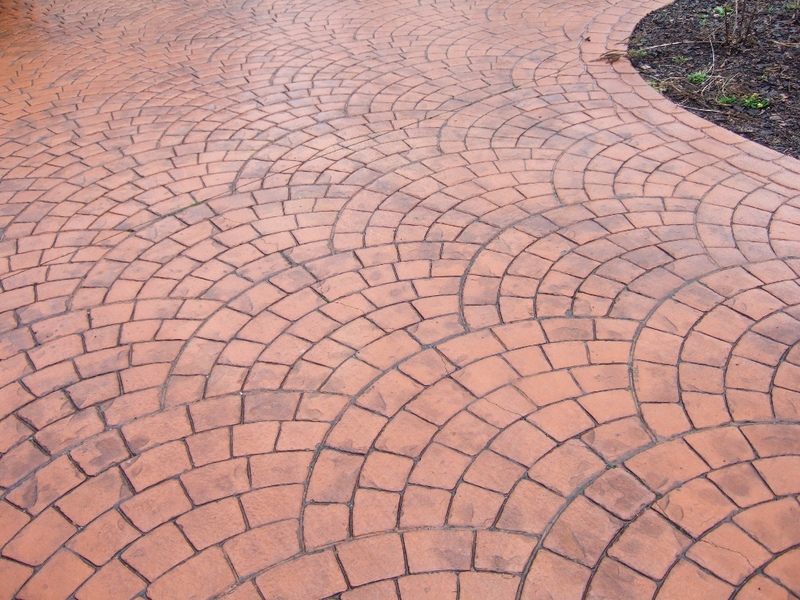 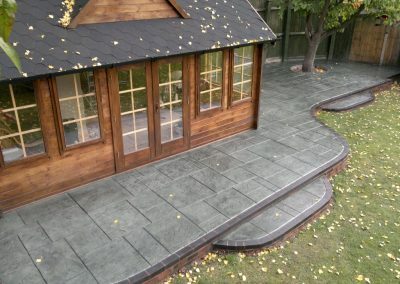 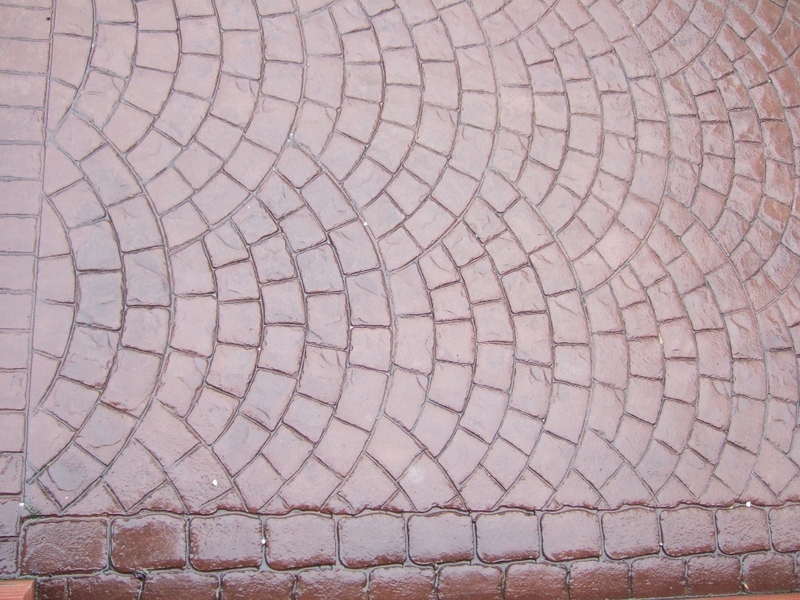 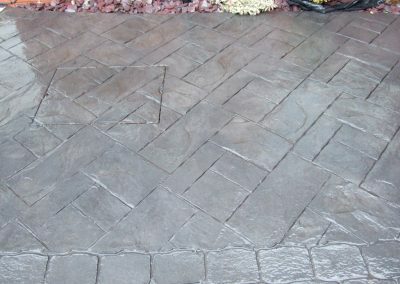 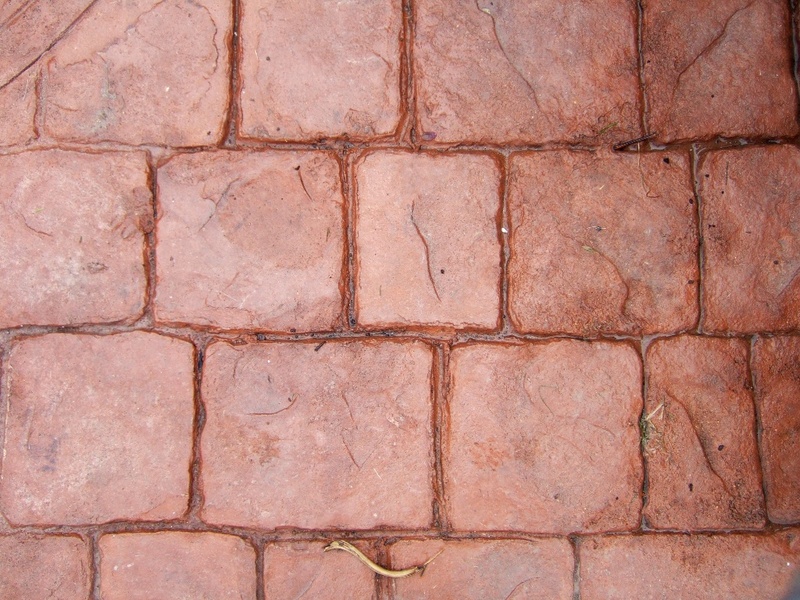 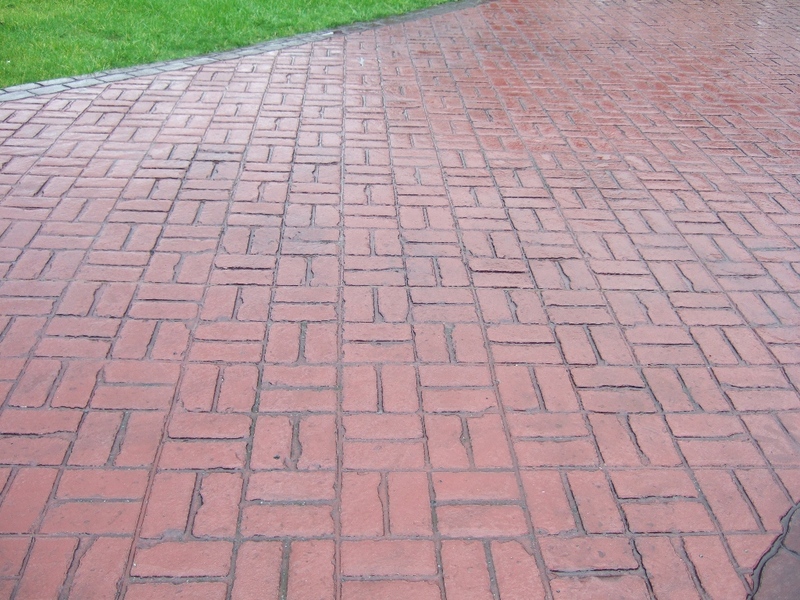 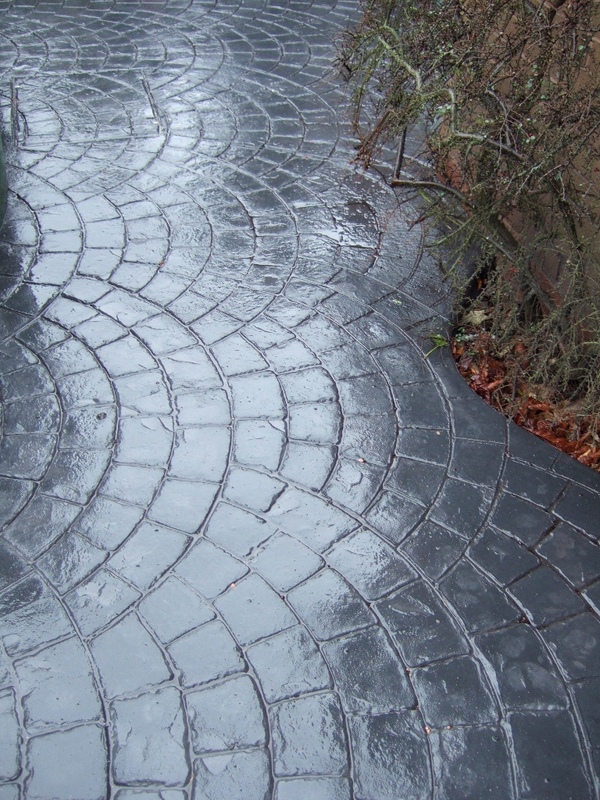 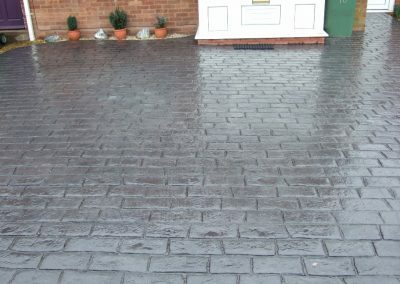 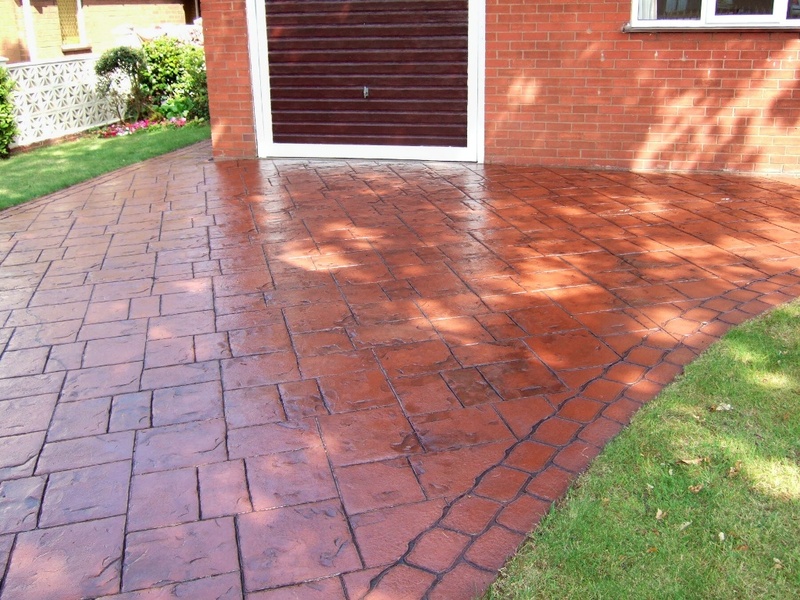 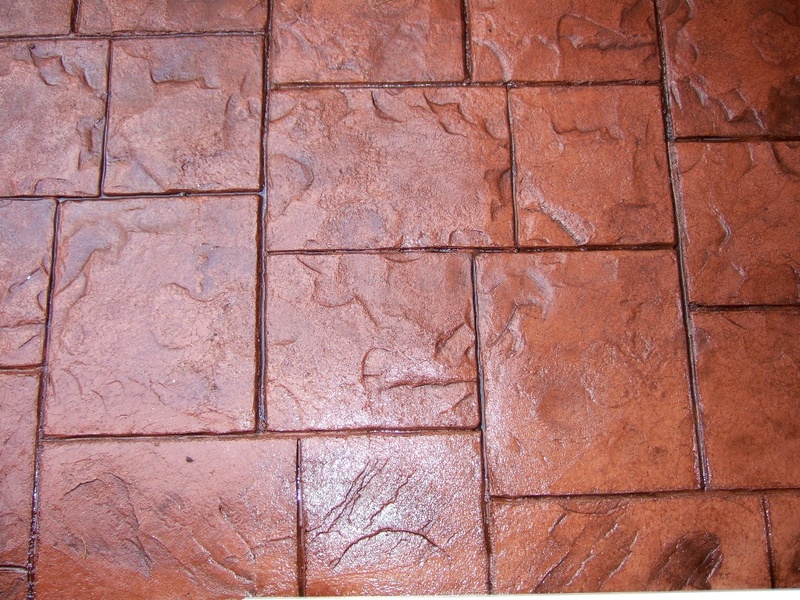 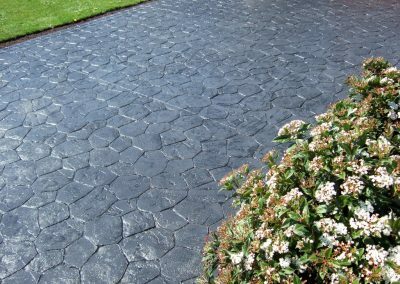 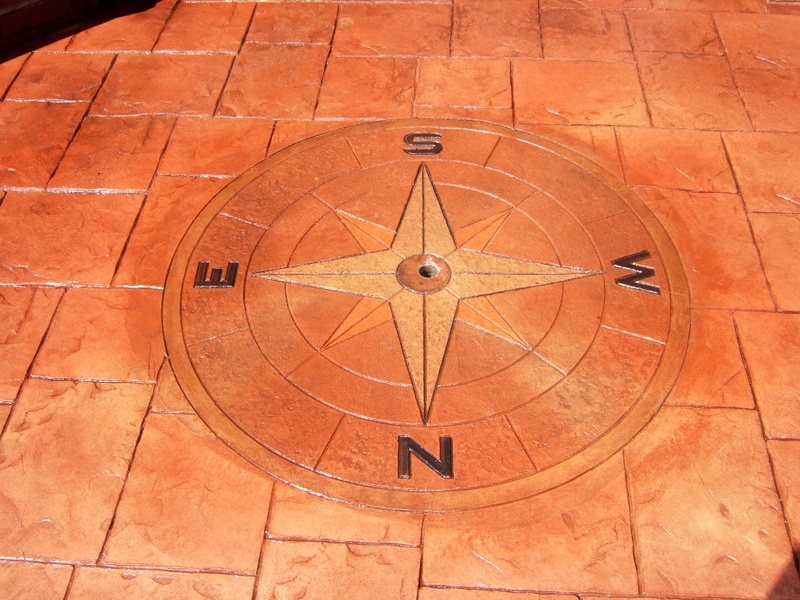 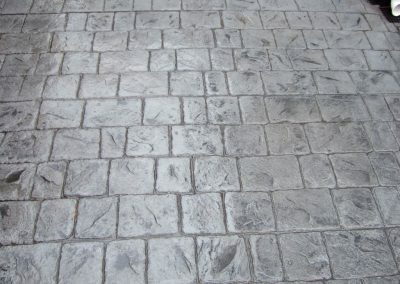 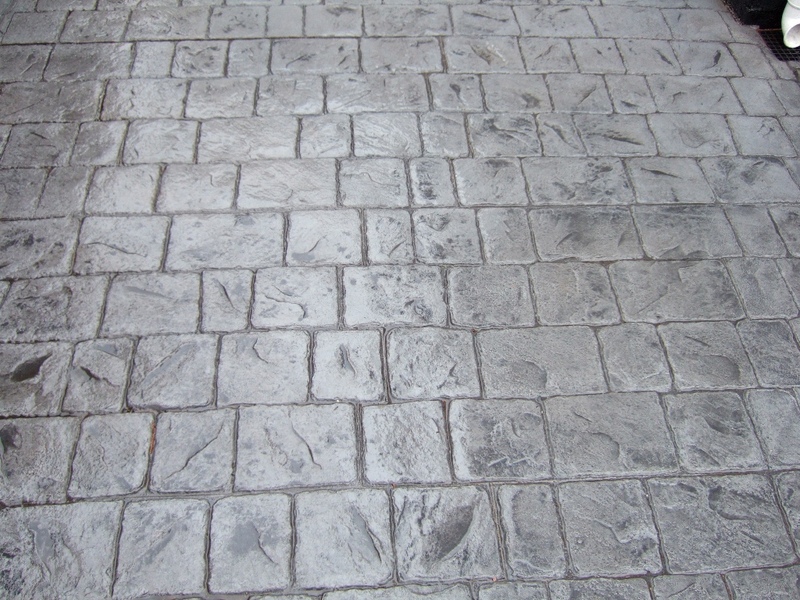 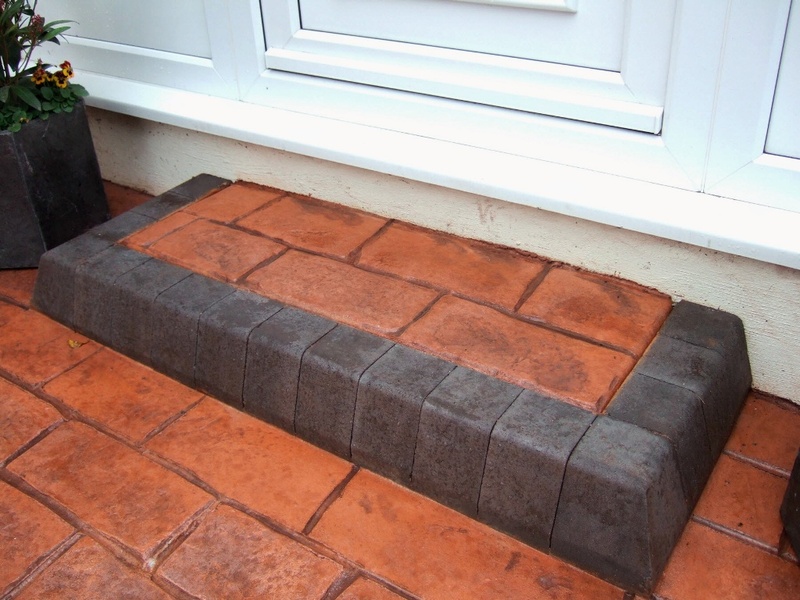 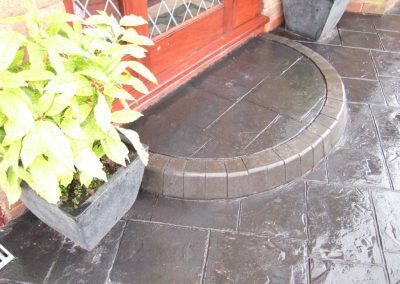 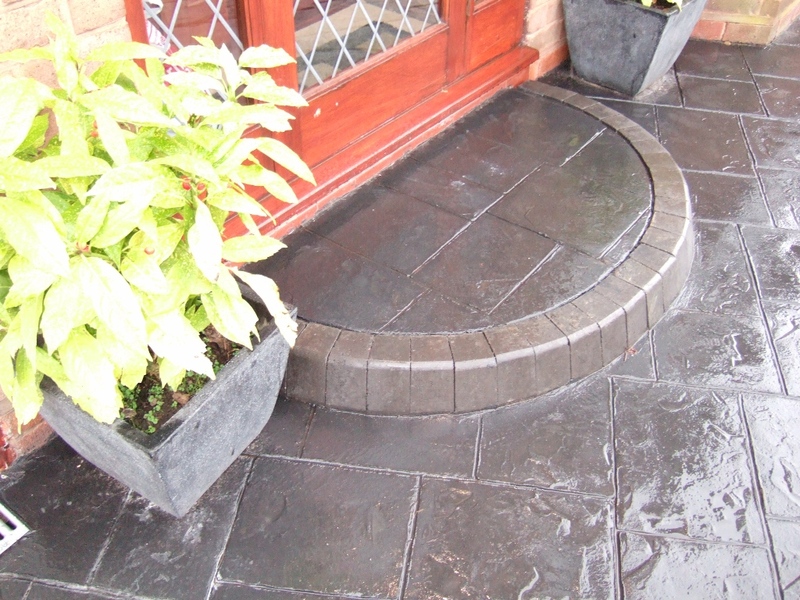 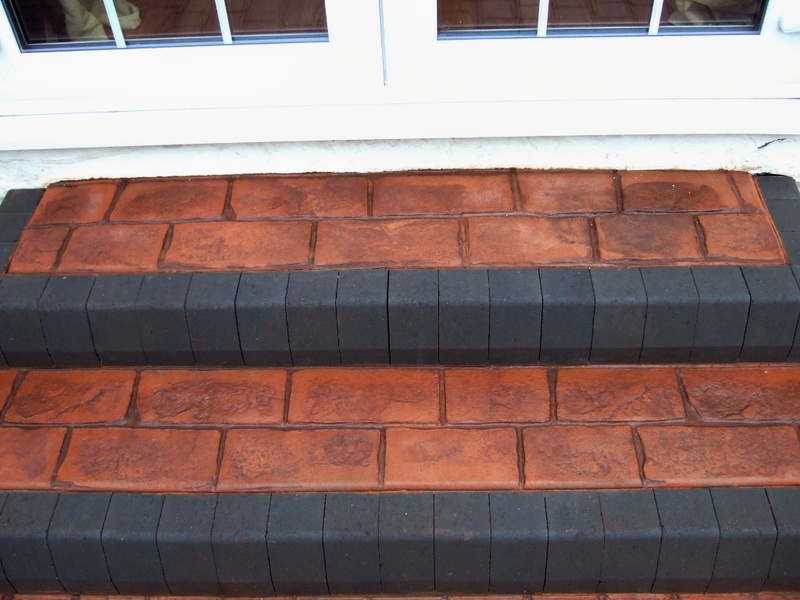 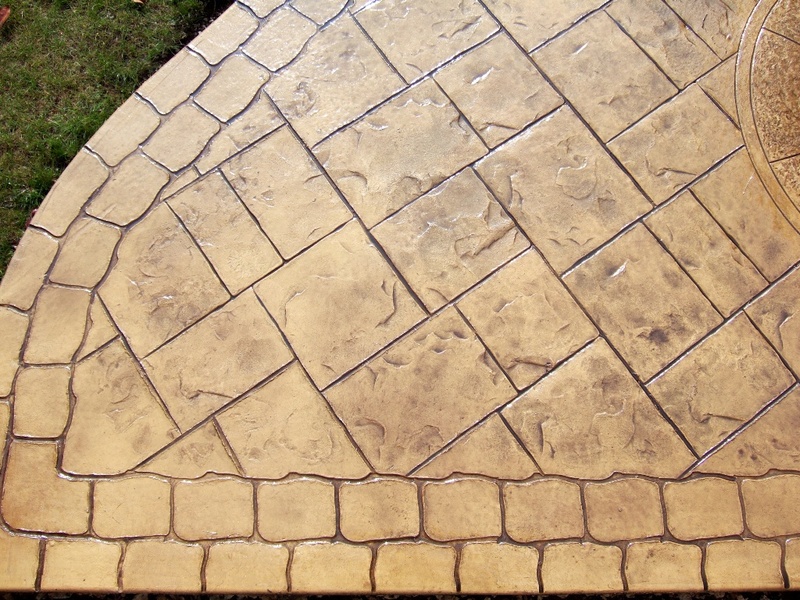 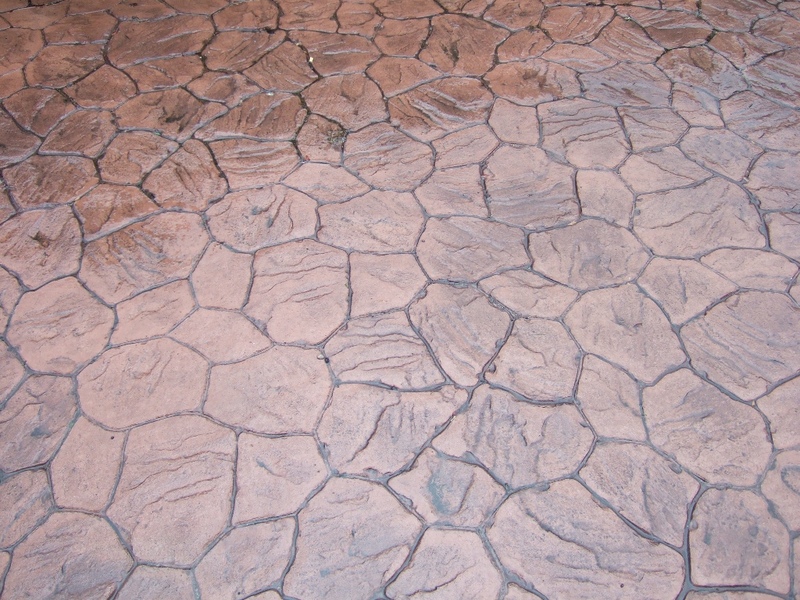 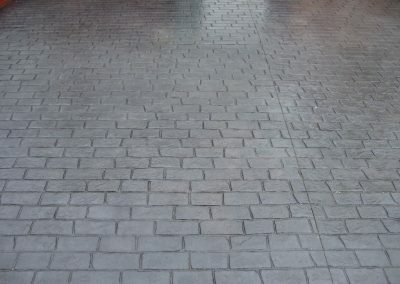 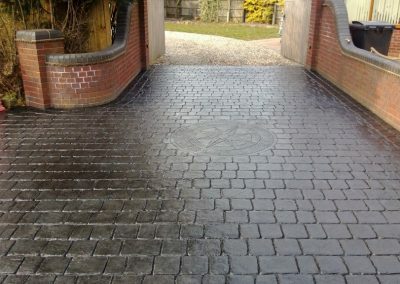 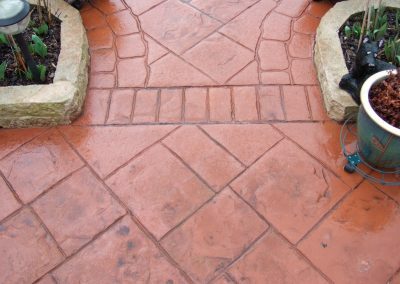 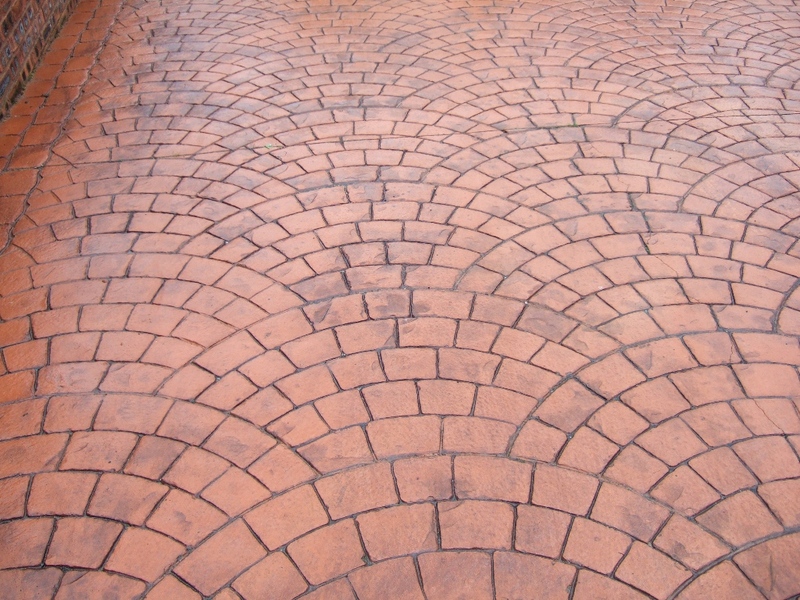 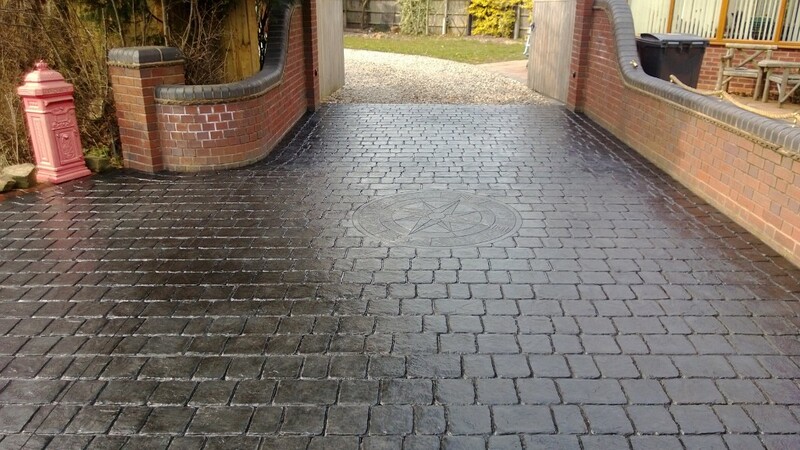 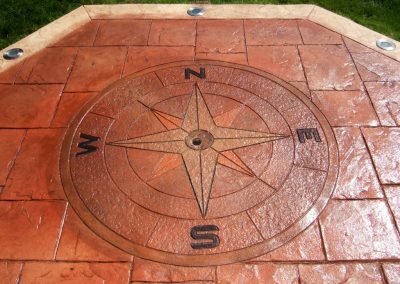 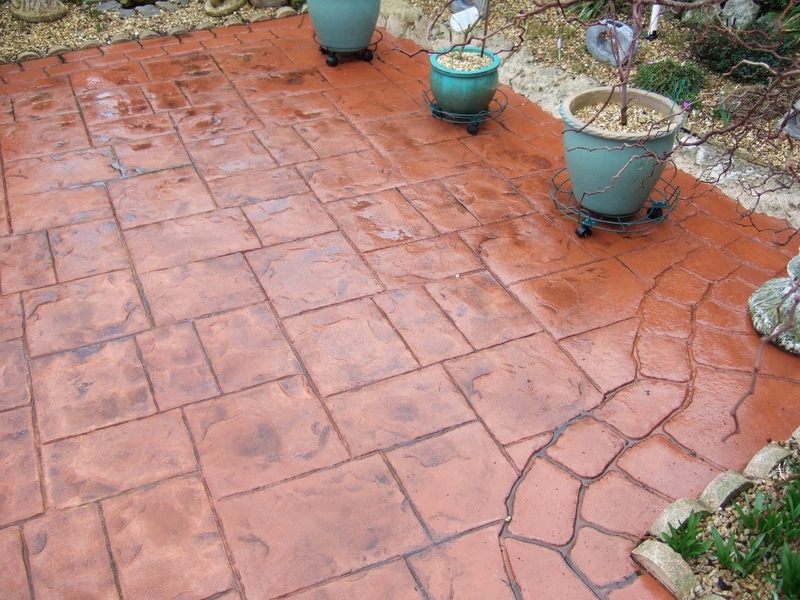 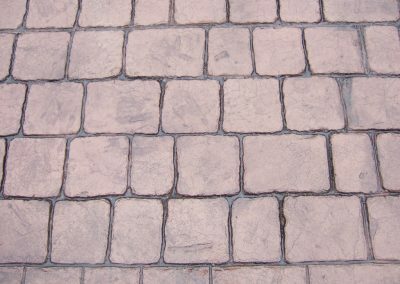 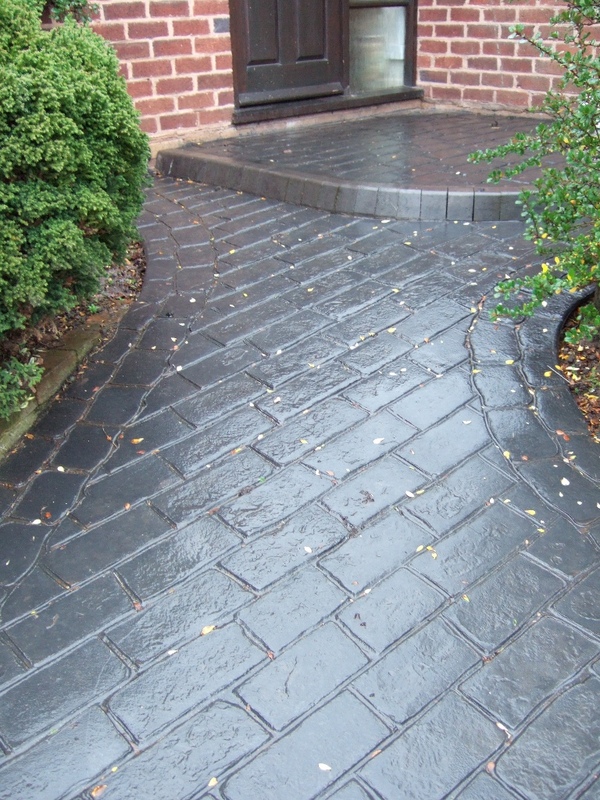 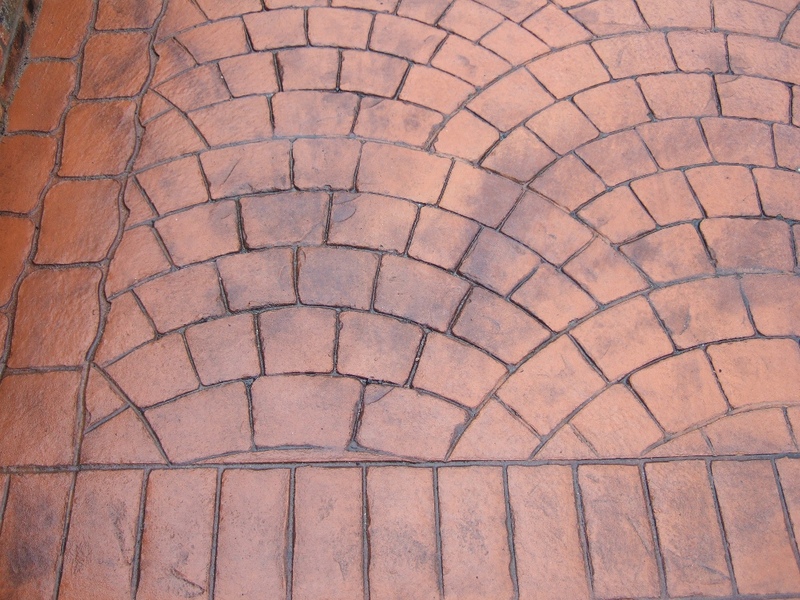 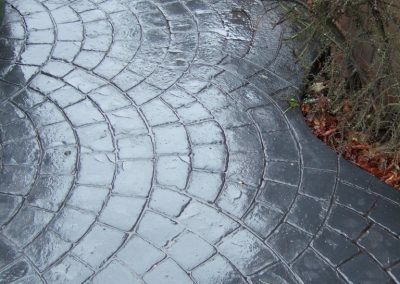 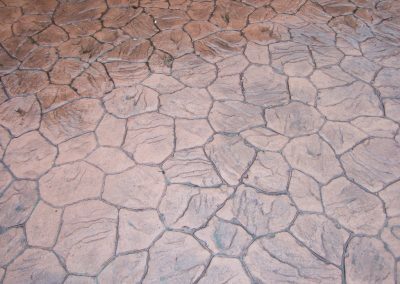 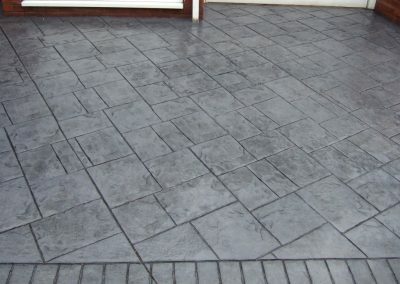 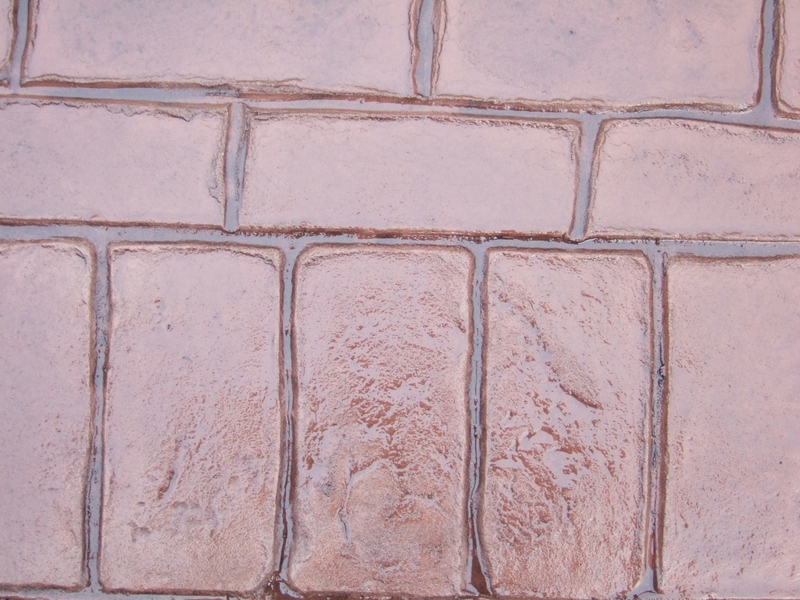 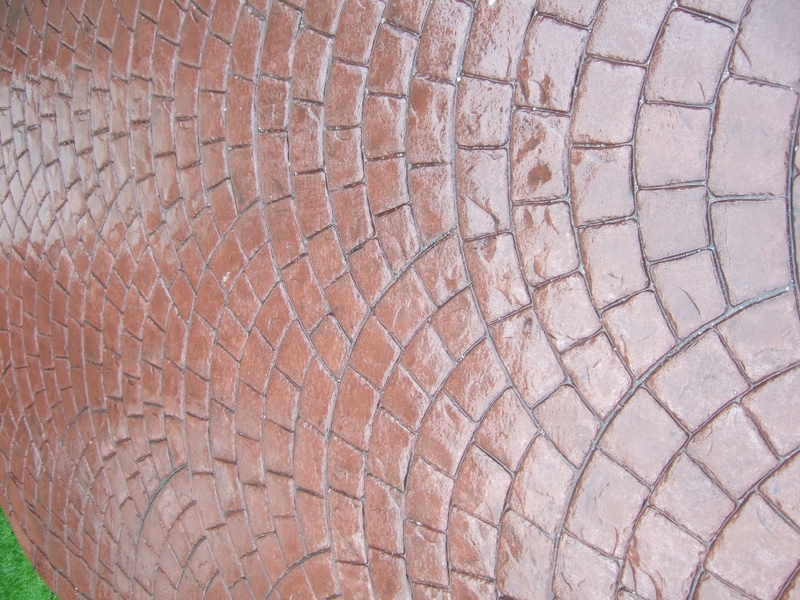 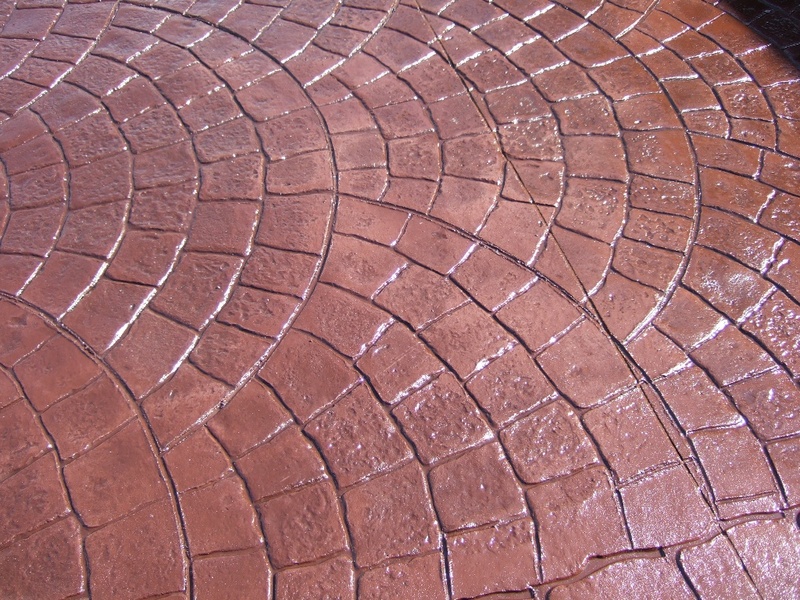 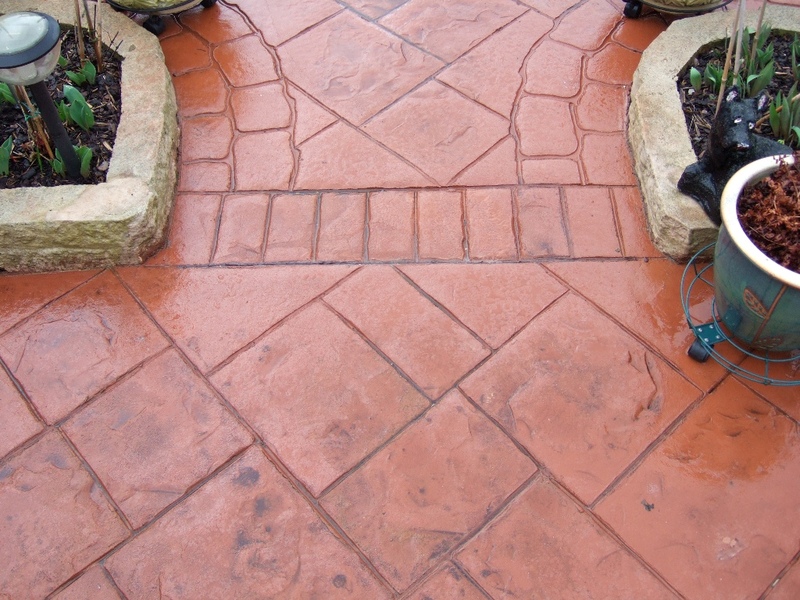 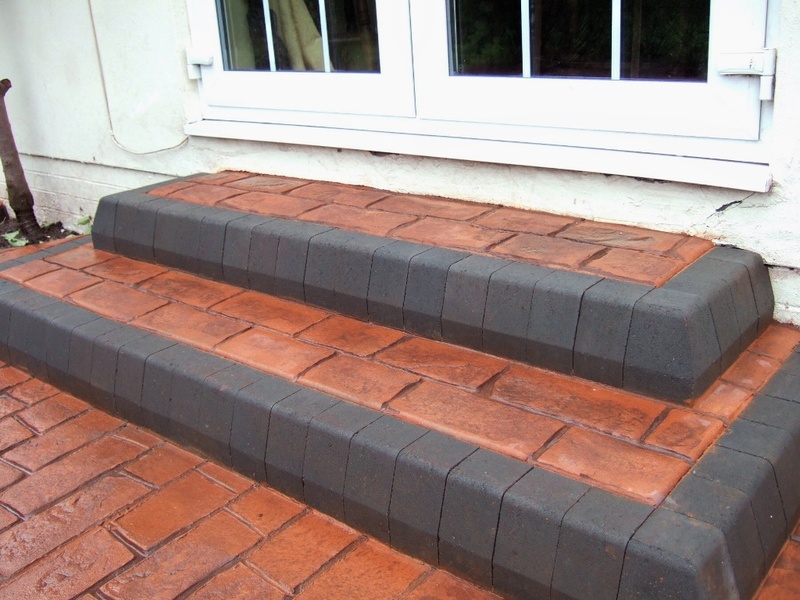 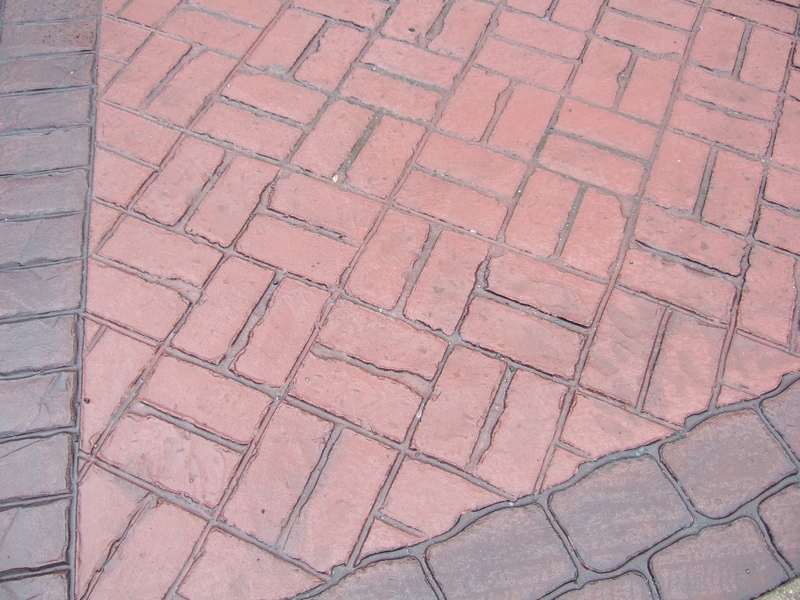 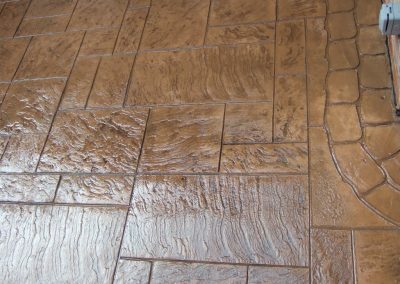 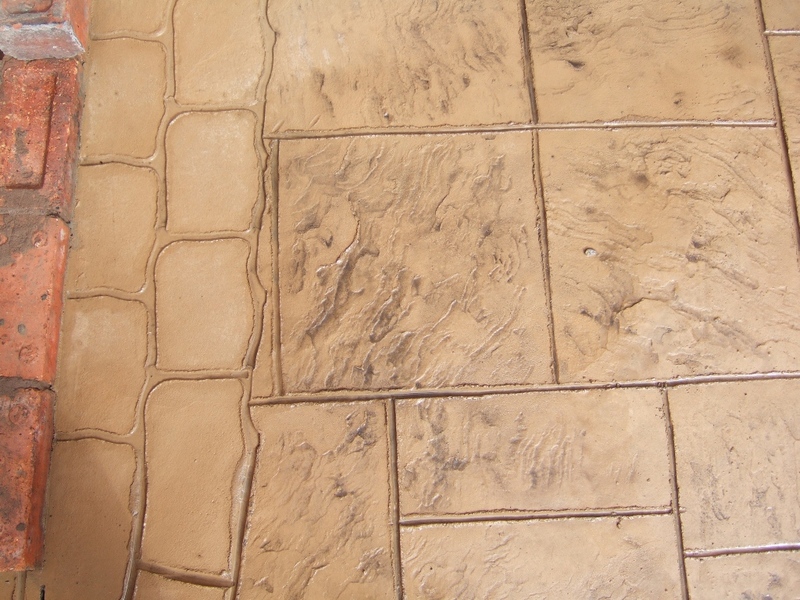 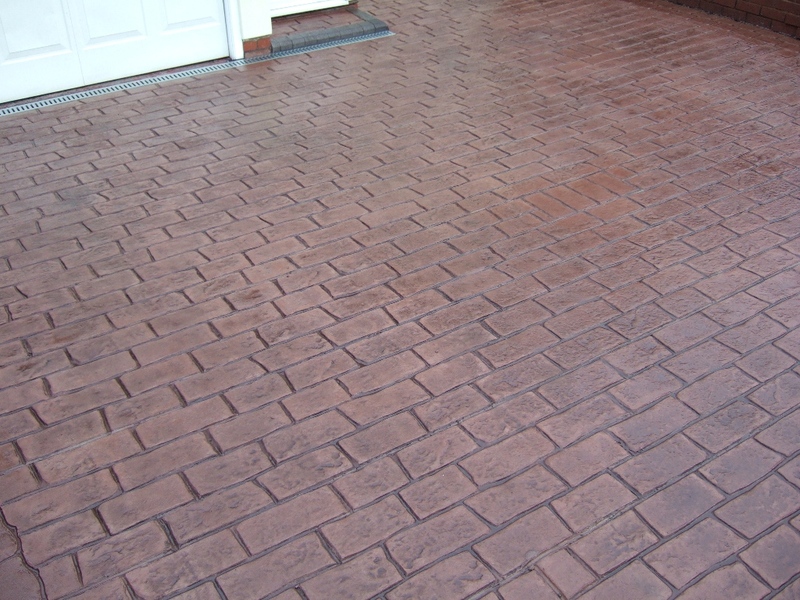 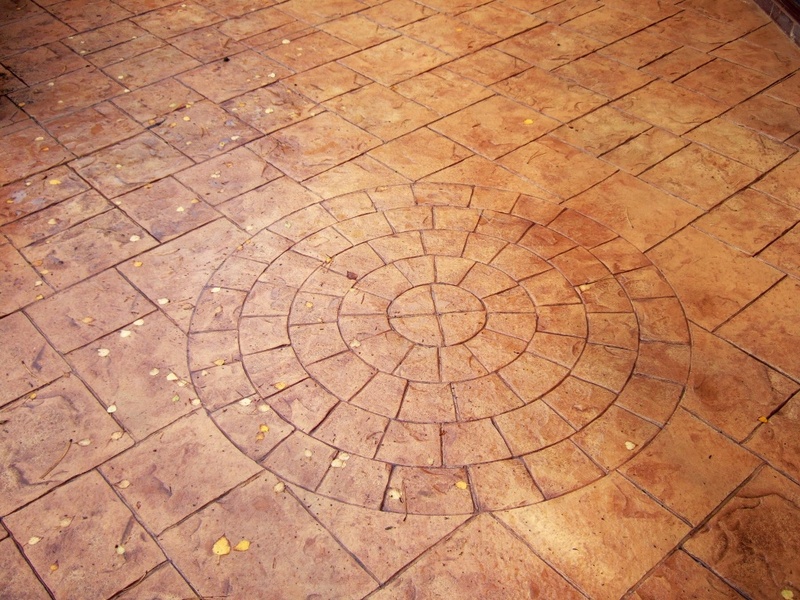 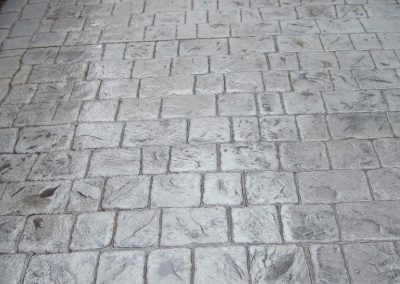 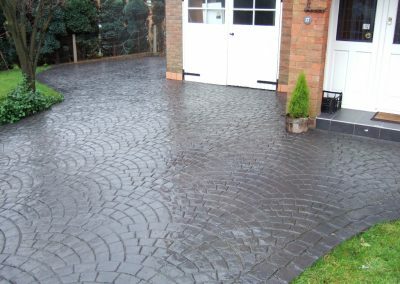 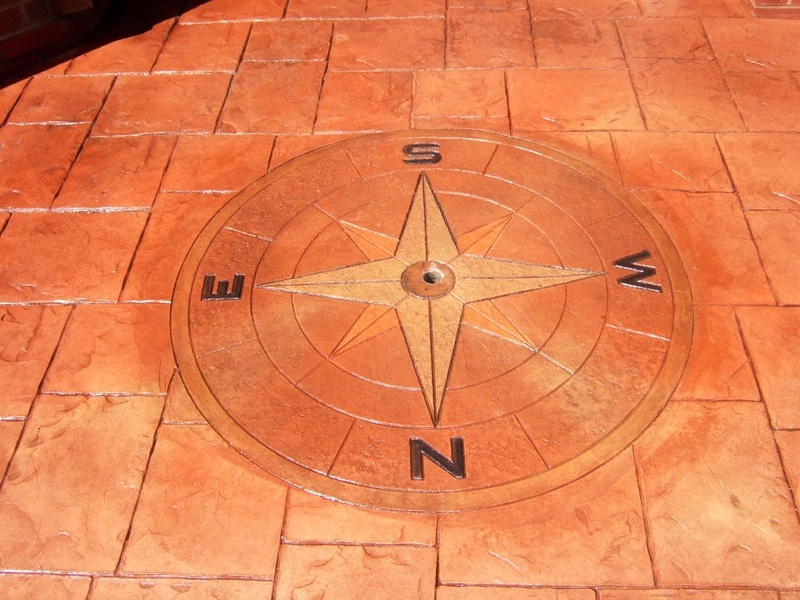 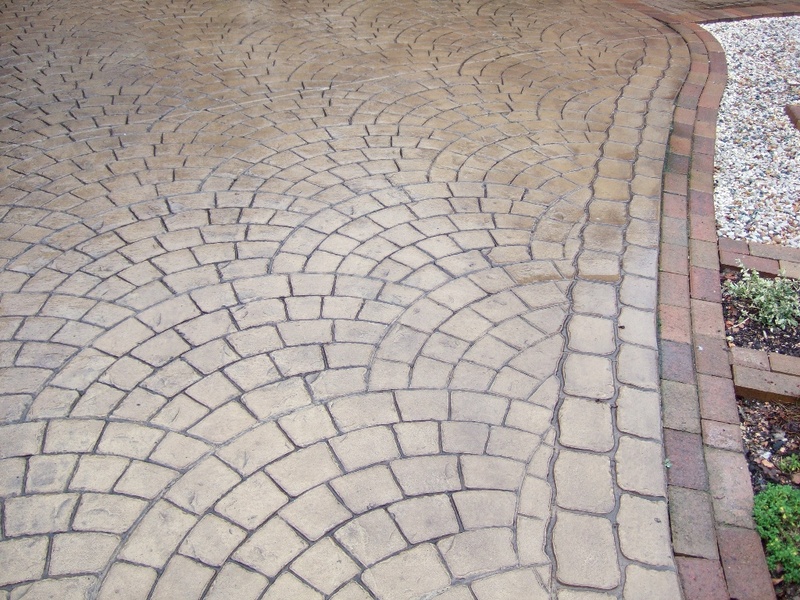 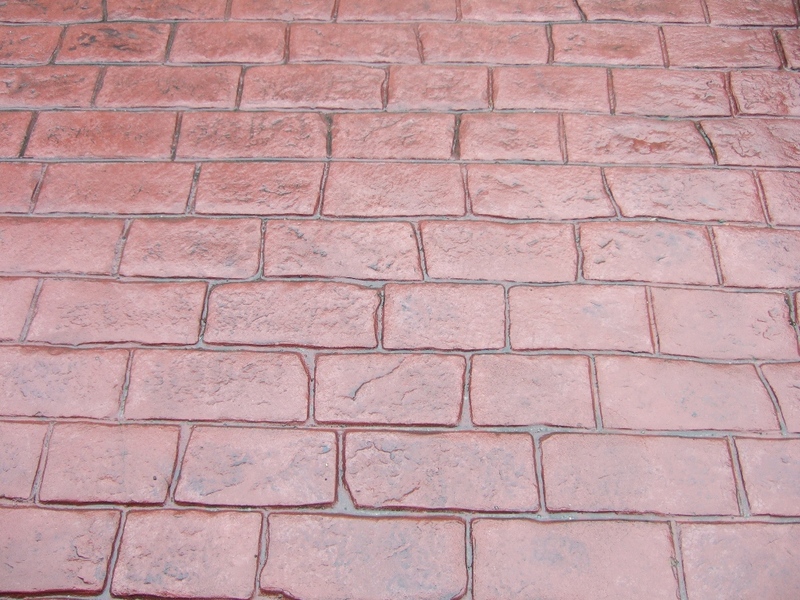 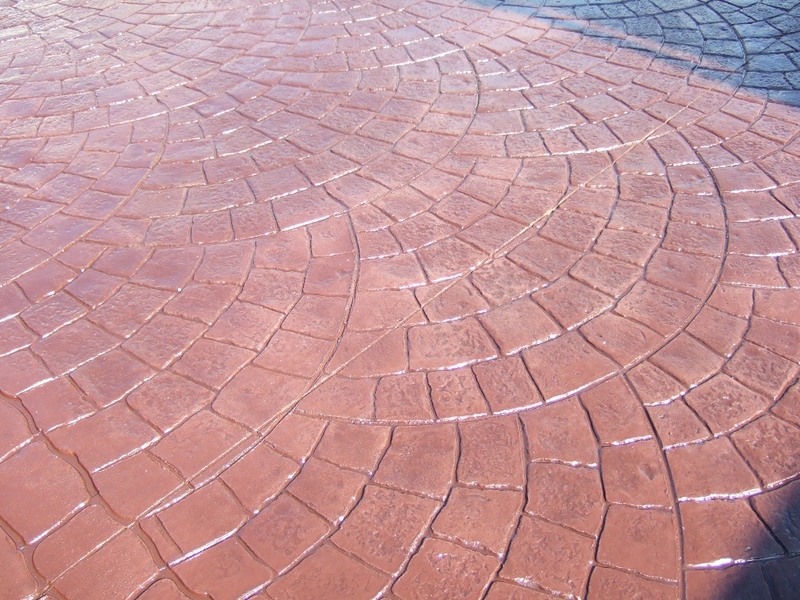 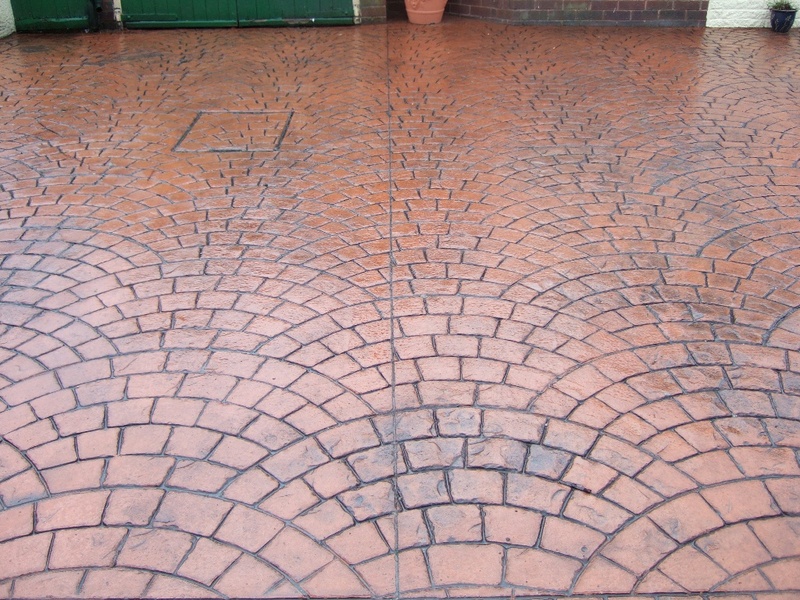 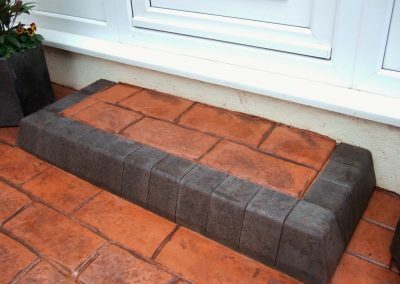 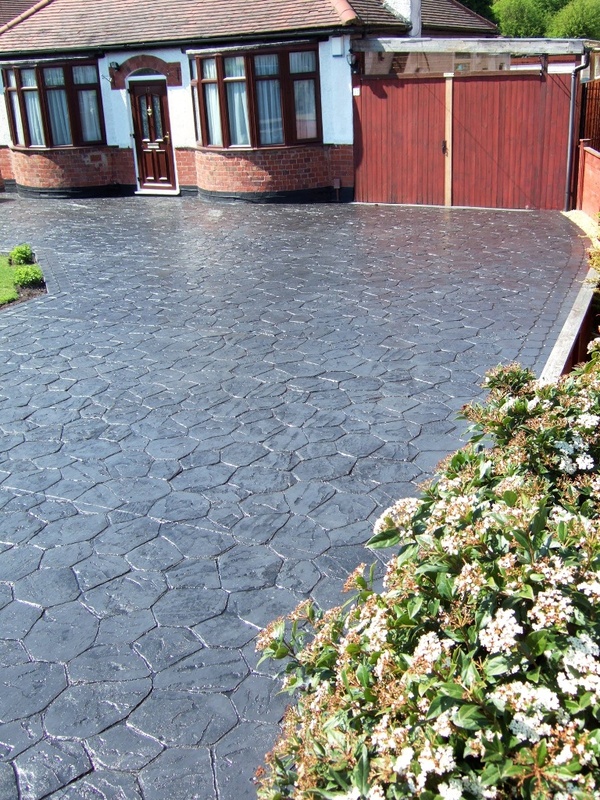 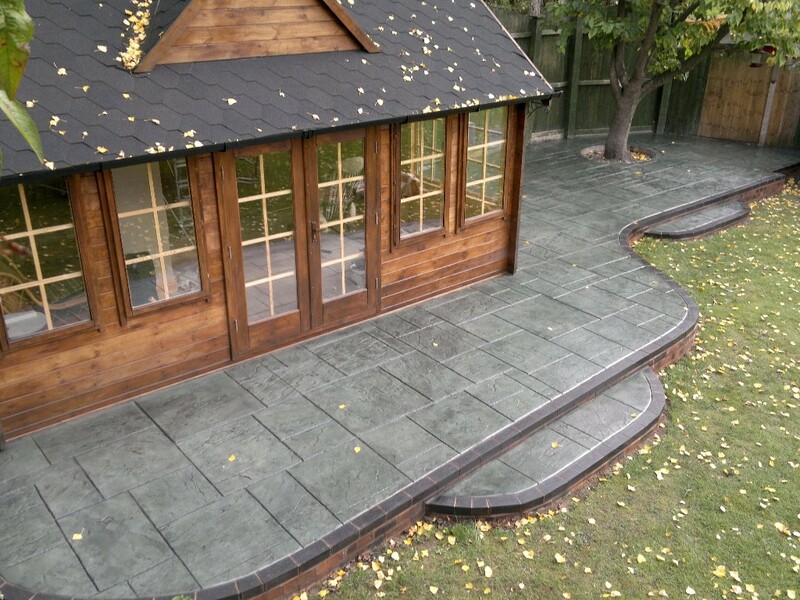 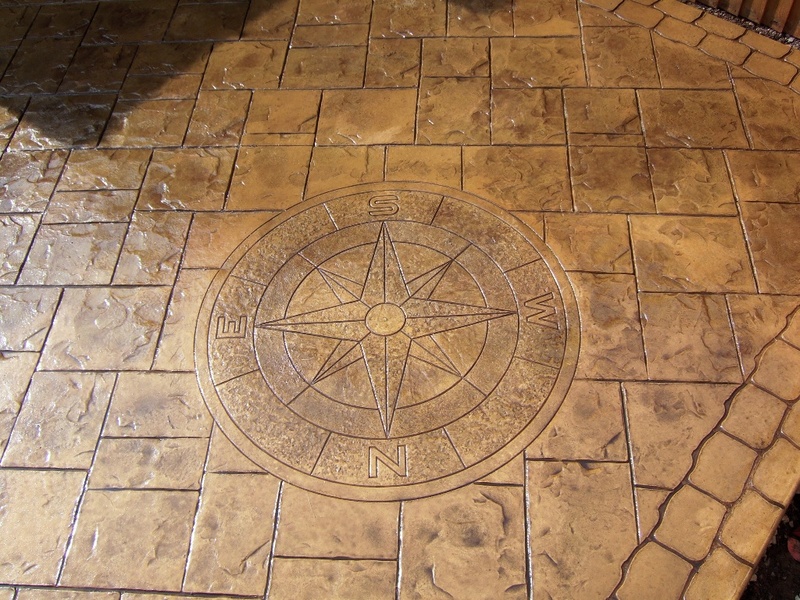 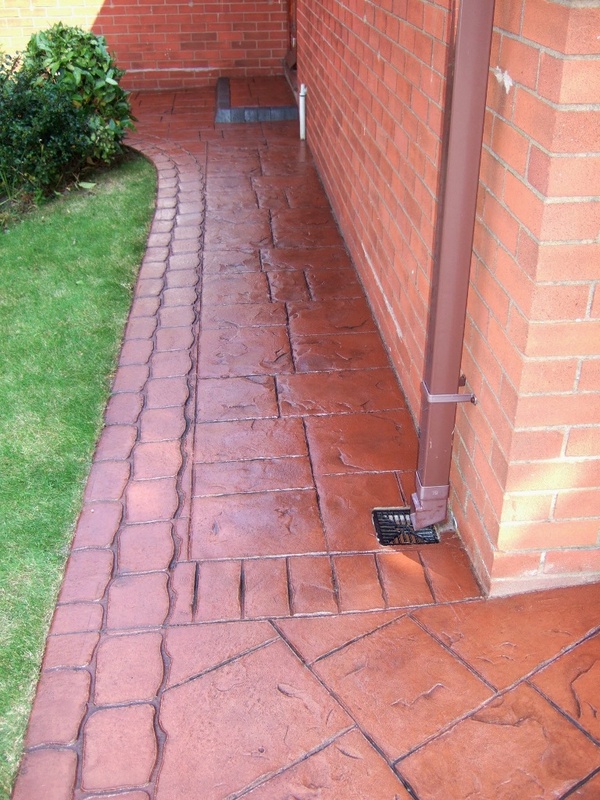 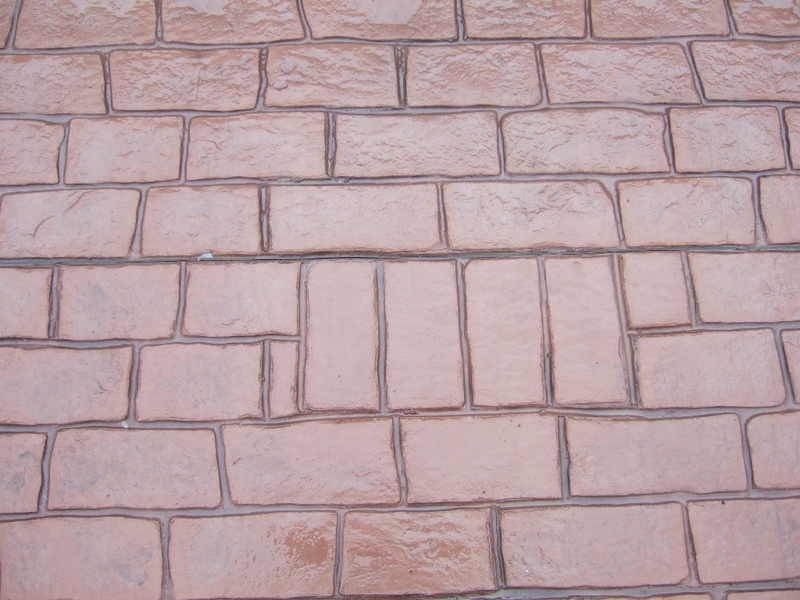 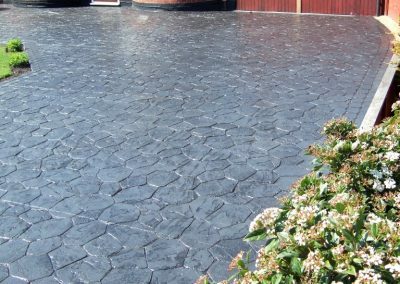 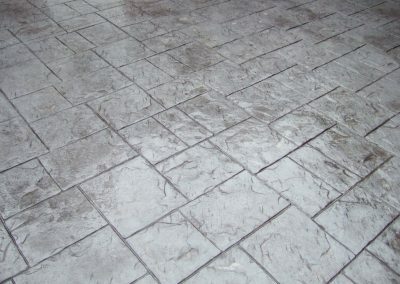 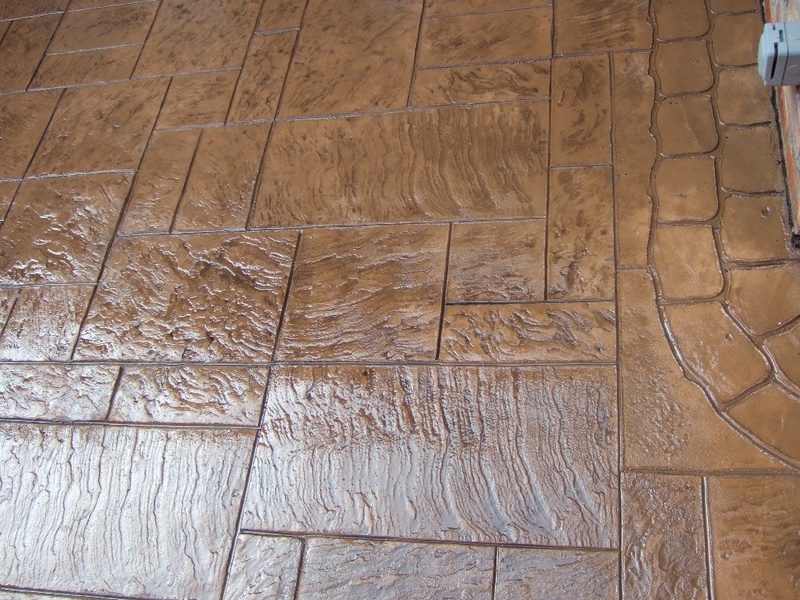 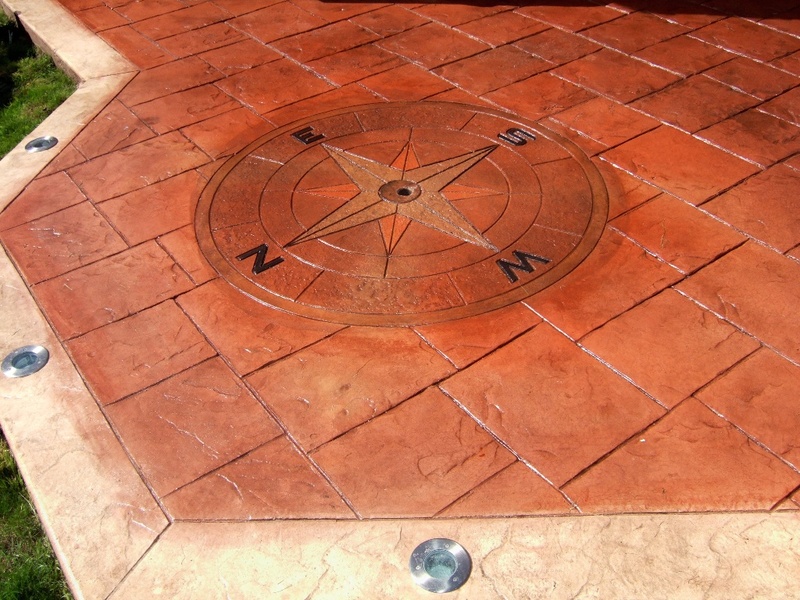 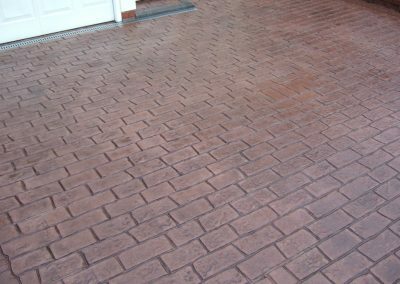 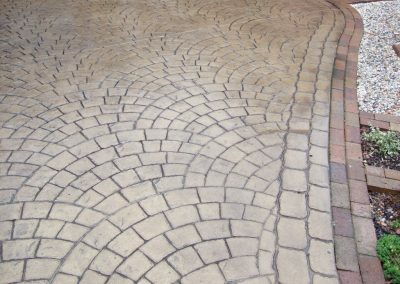 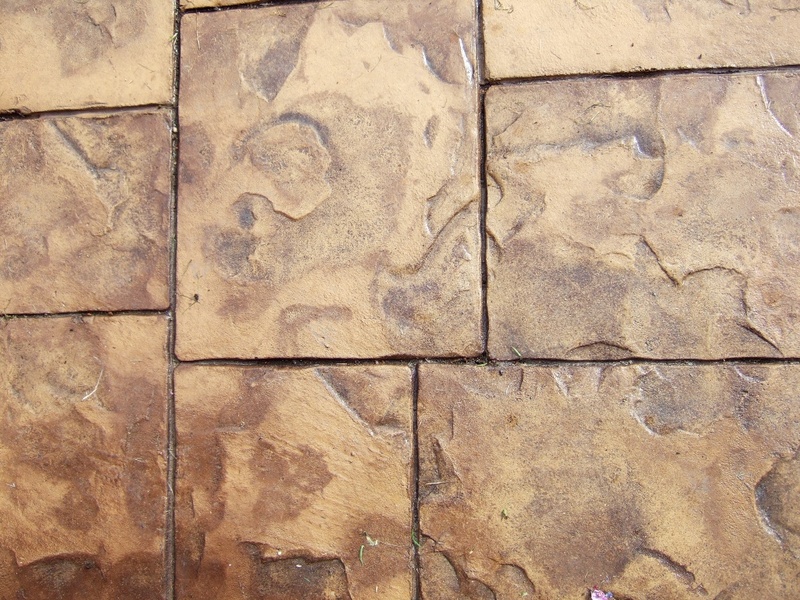 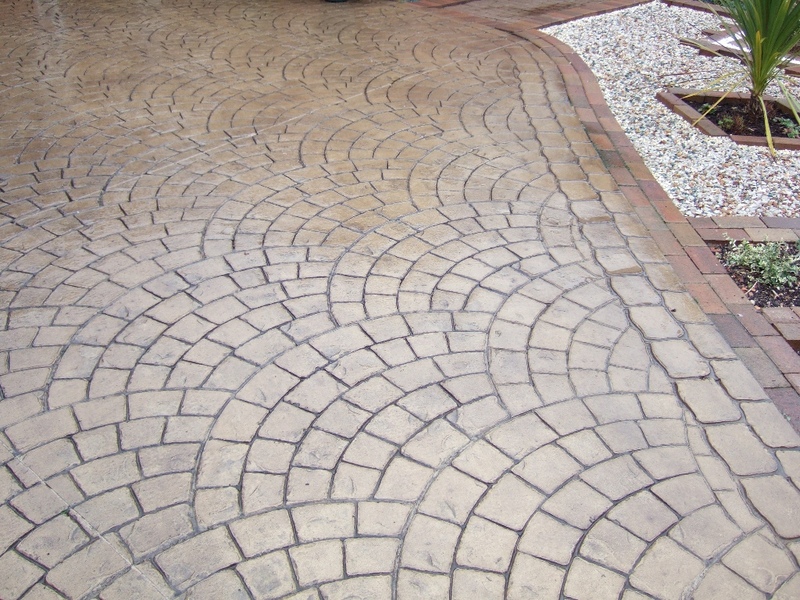 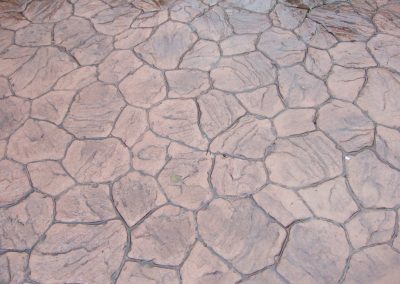 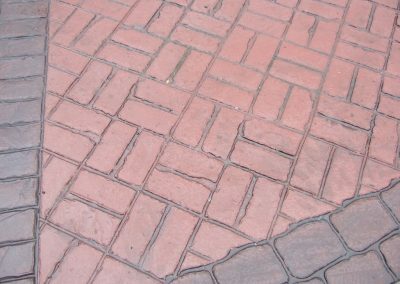 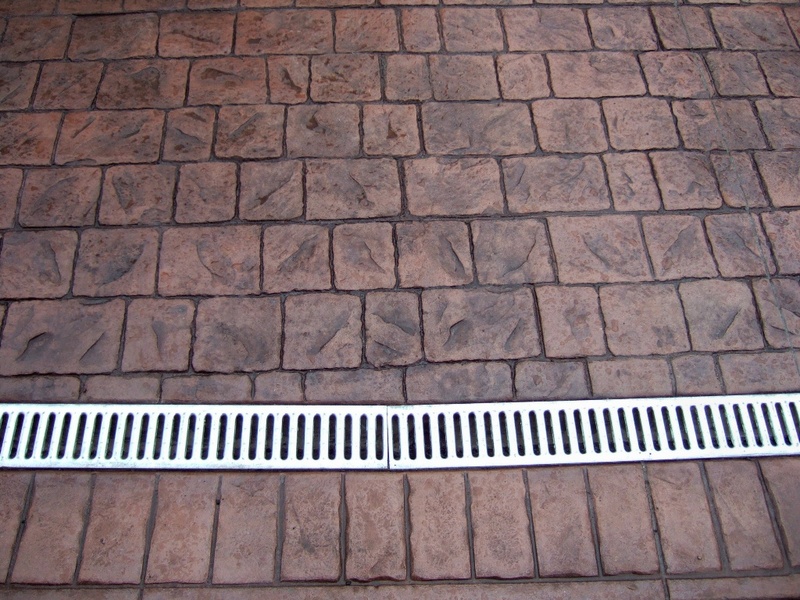 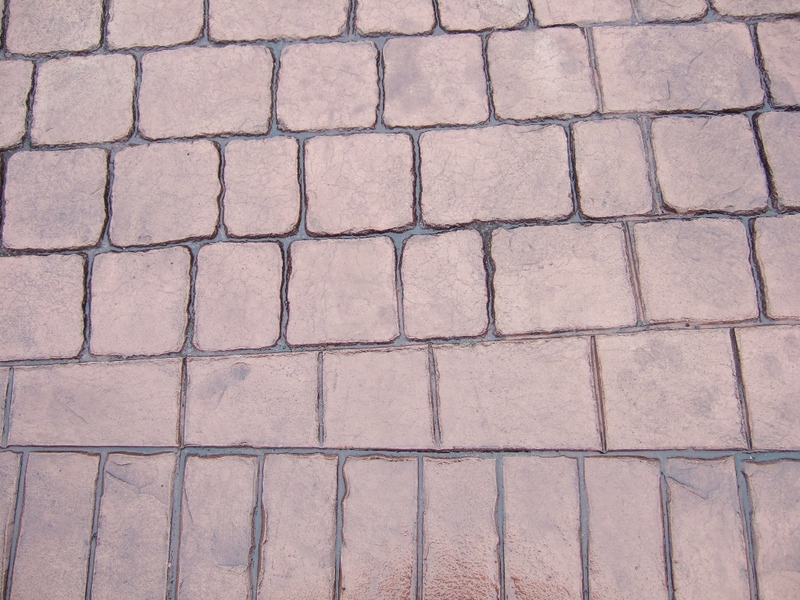 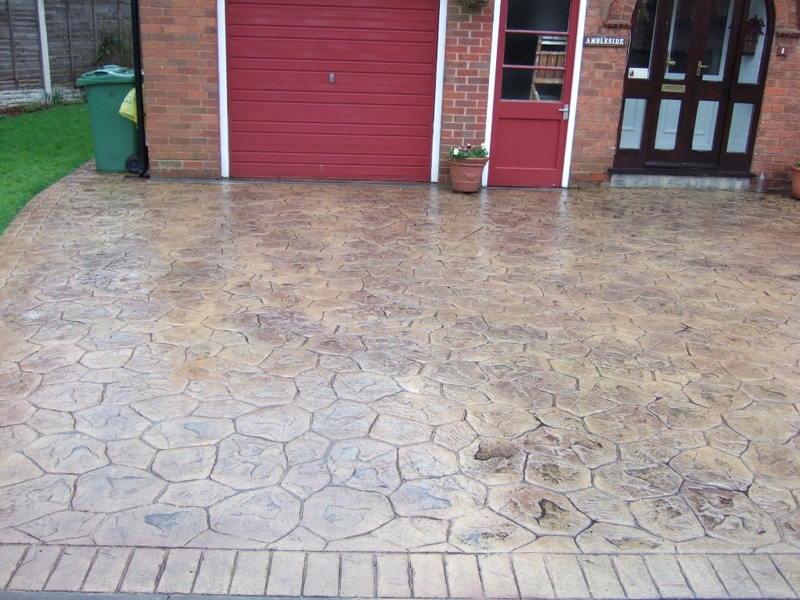 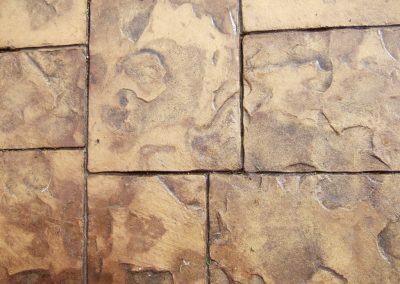 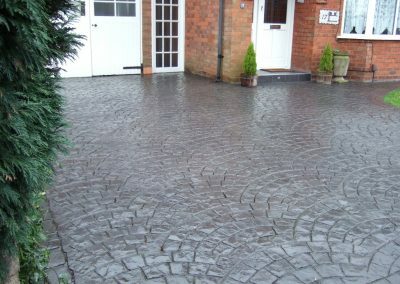 These can be mixed together to create that truly unique one-off driveway! 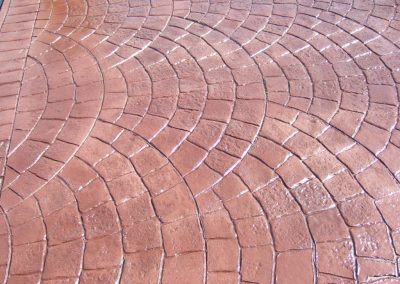 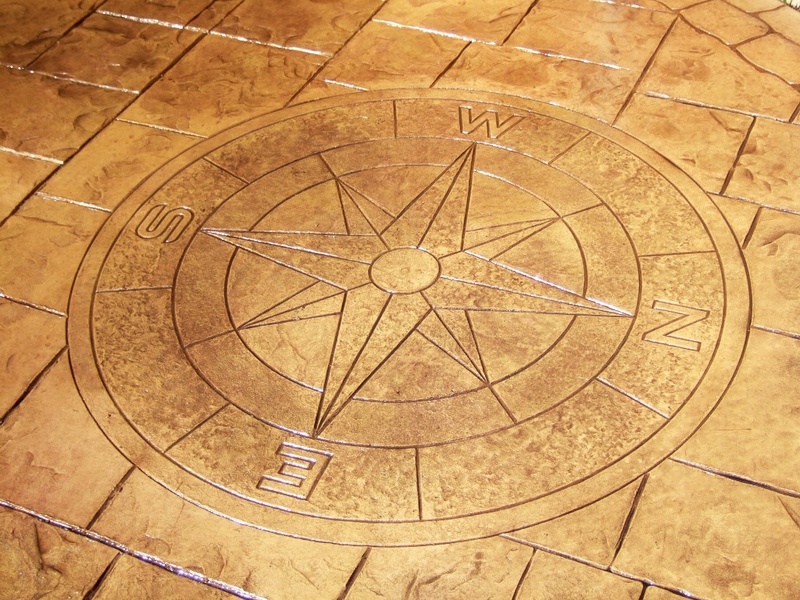 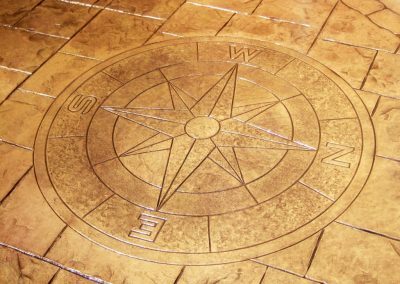 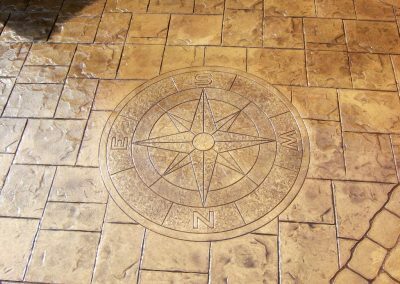 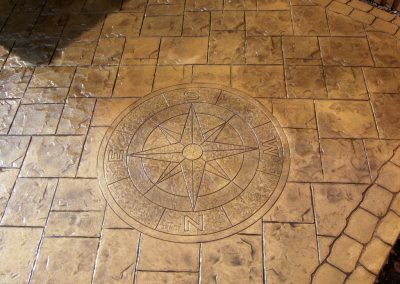 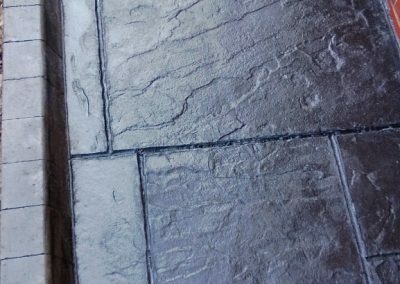 Due to the increased interest of Imprinted Concrete, the technology is ever changing, this gives you, the customer, an ever increasing choice of styles, designs and colours that are available to you. 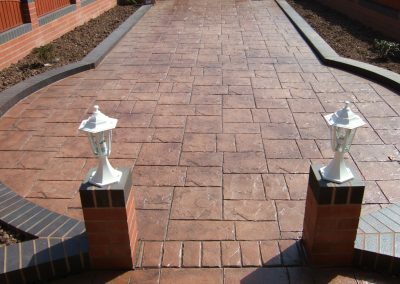 Browse our online selection of patterns and colours but please note, included are just a small range of what is available due to the constant updating of patterns and colours available, upon a site survey we will update you on all the current and newly introduced patterns and colours.